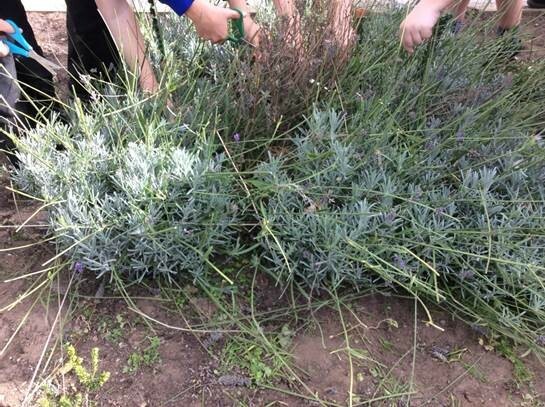 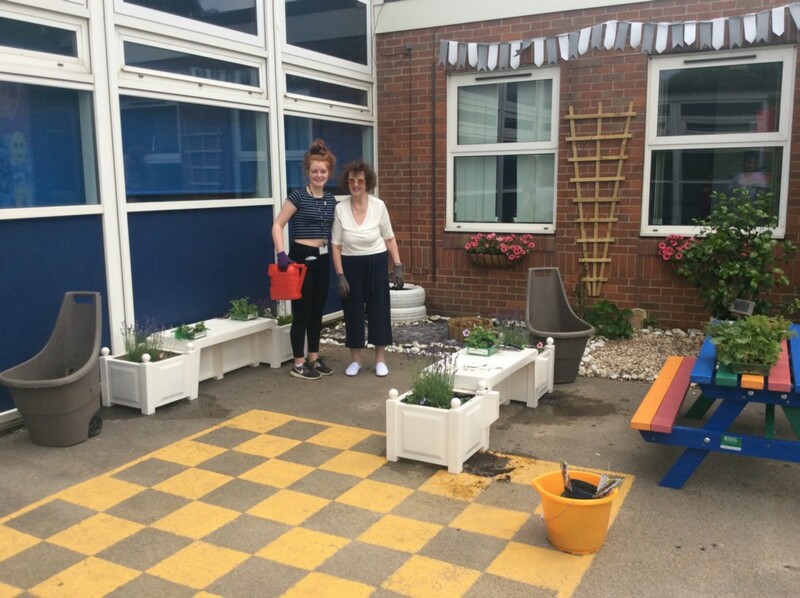 Thank you to all the community members who help the school by giving their time and support. 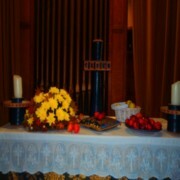 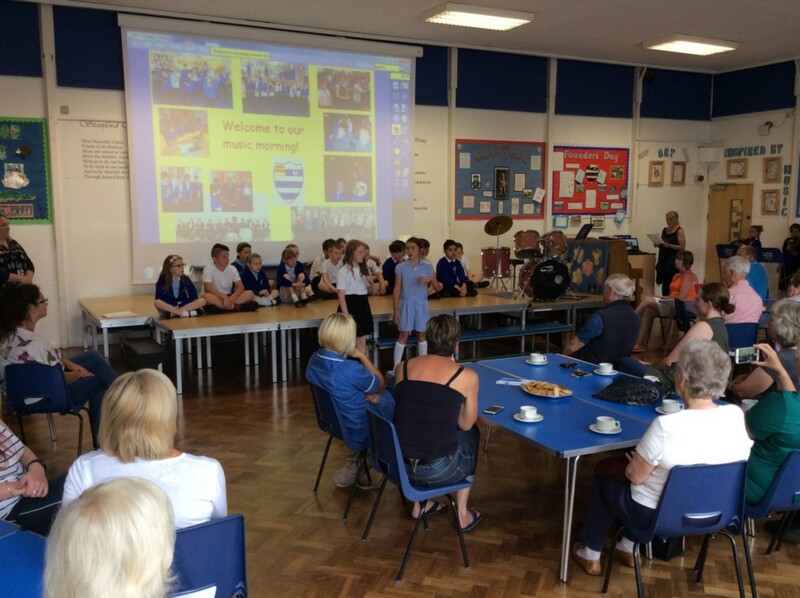 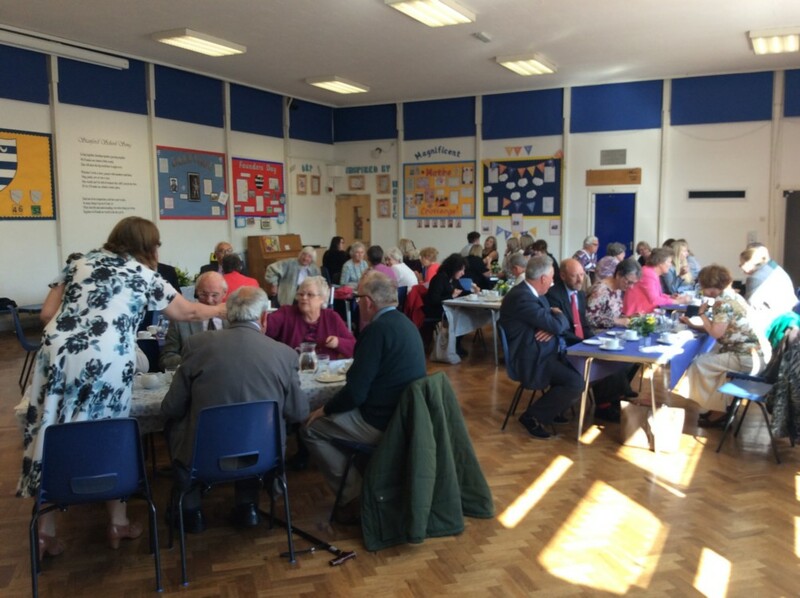 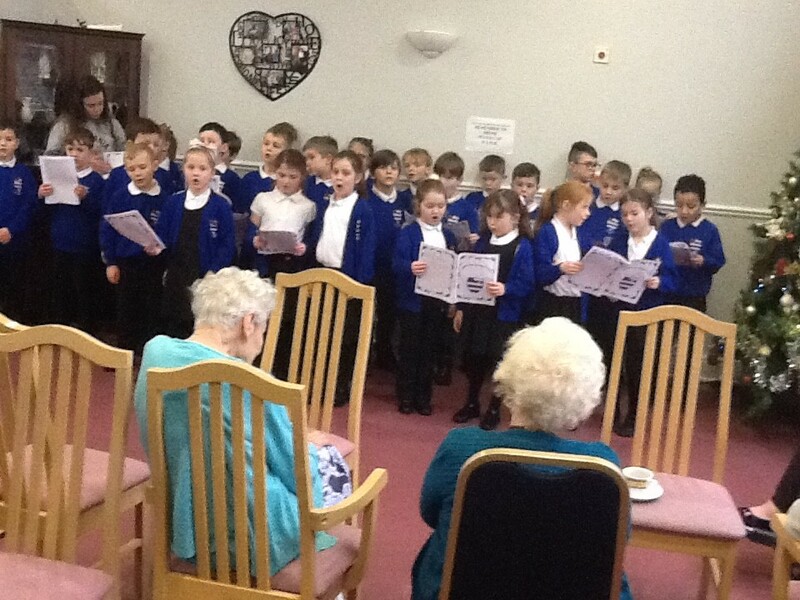 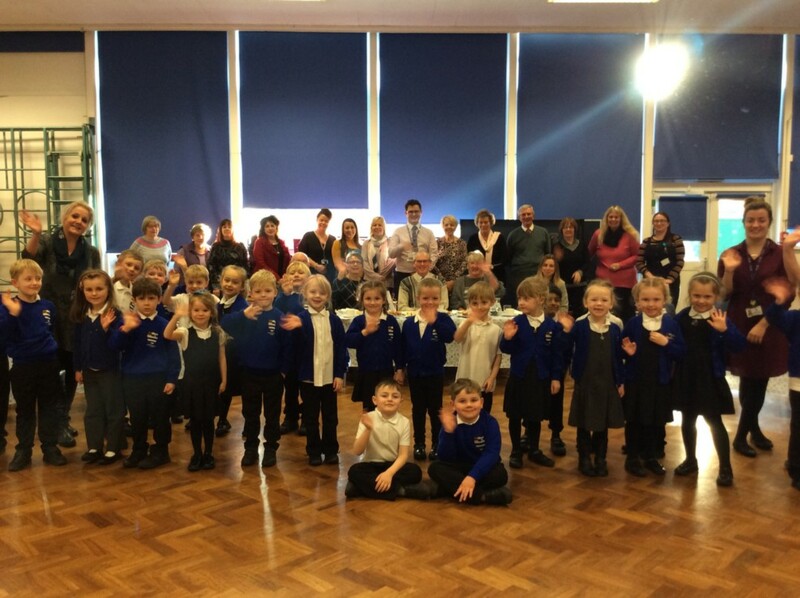 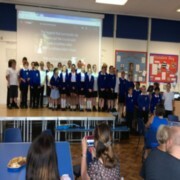 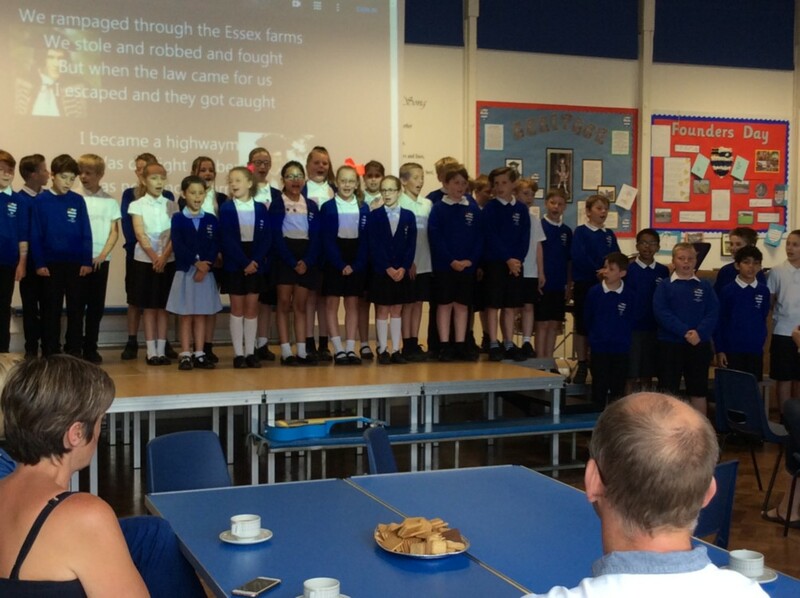 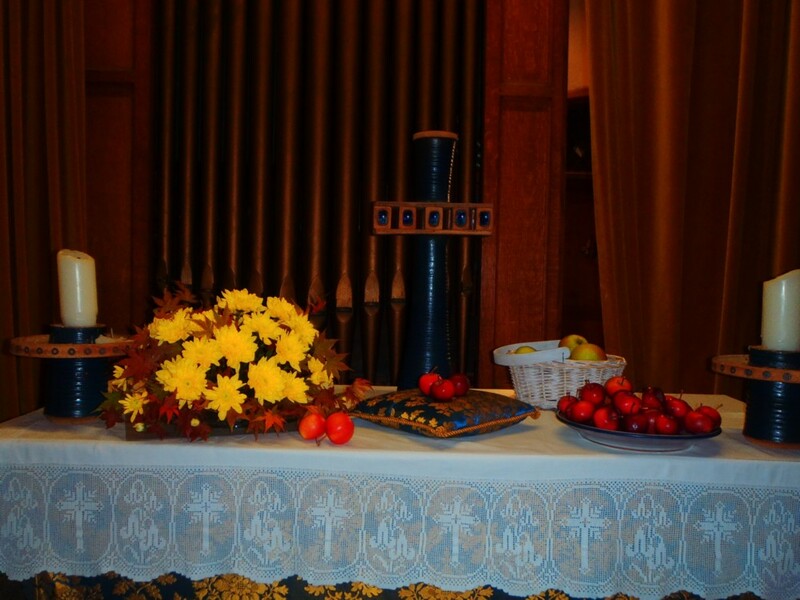 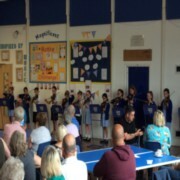 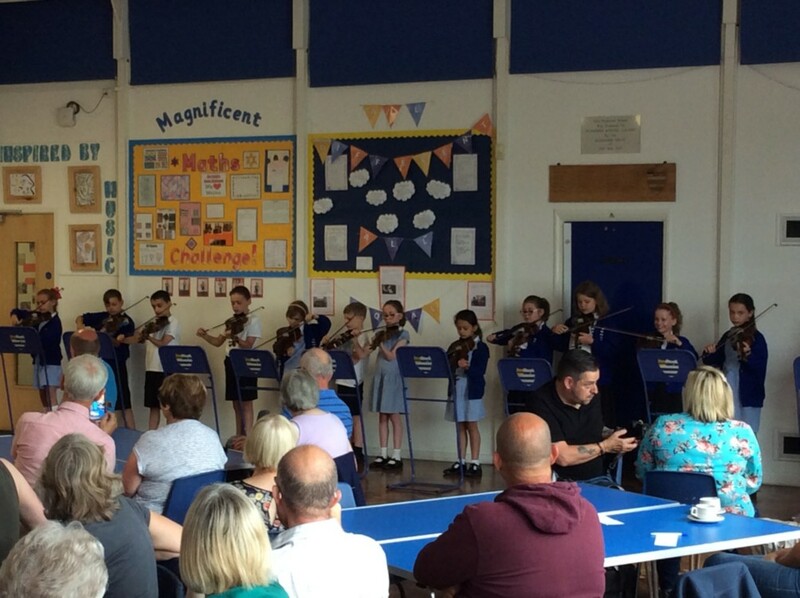 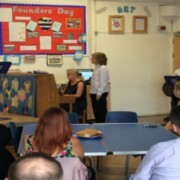 They enjoyed our ‘Community Thank You High Tea’ and the poetry performances from all the pupils. 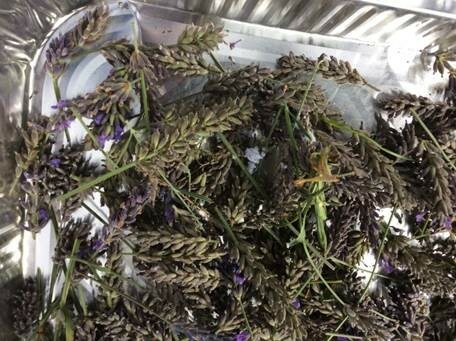 Sunflower ClassCan we make a profit? 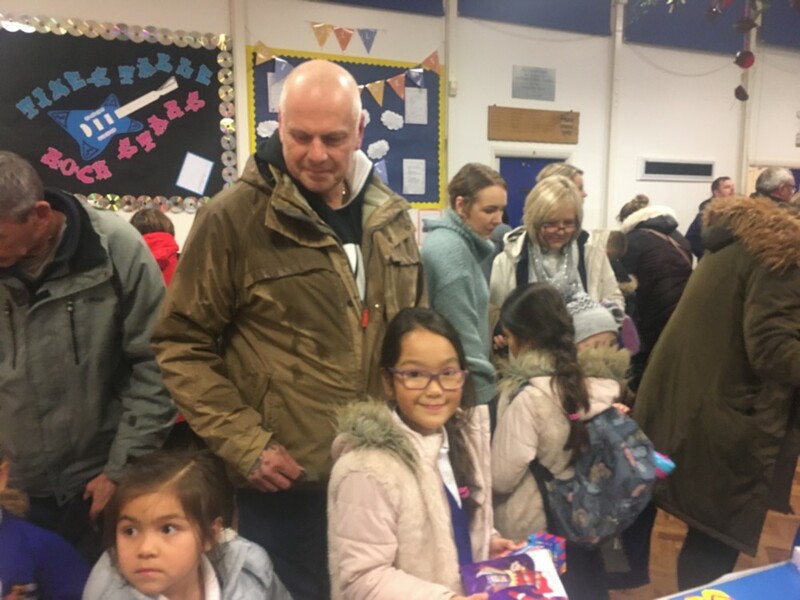 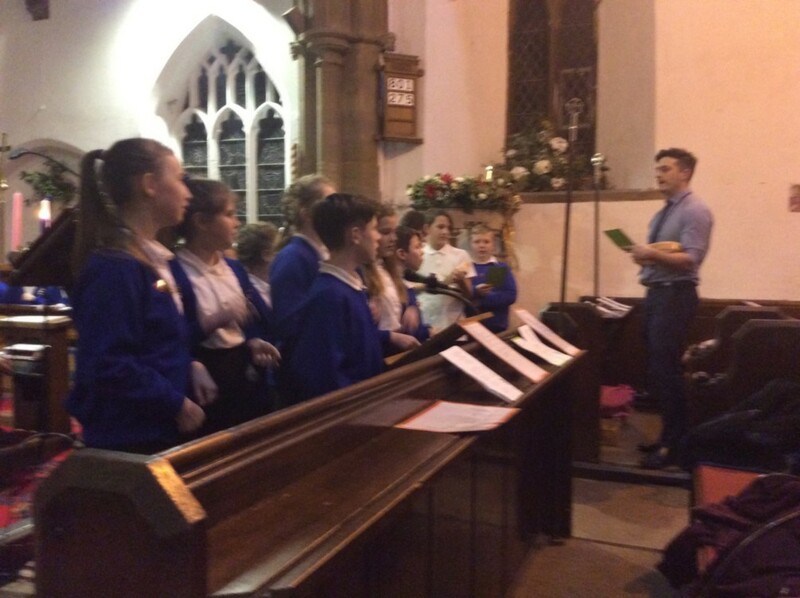 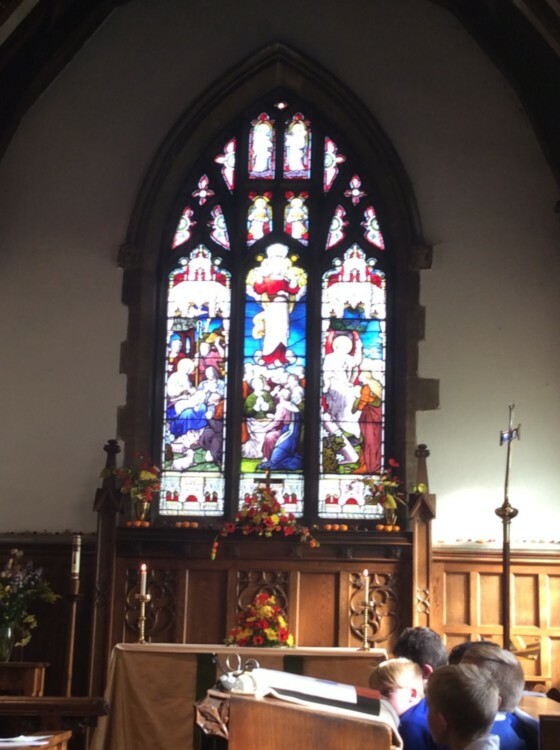 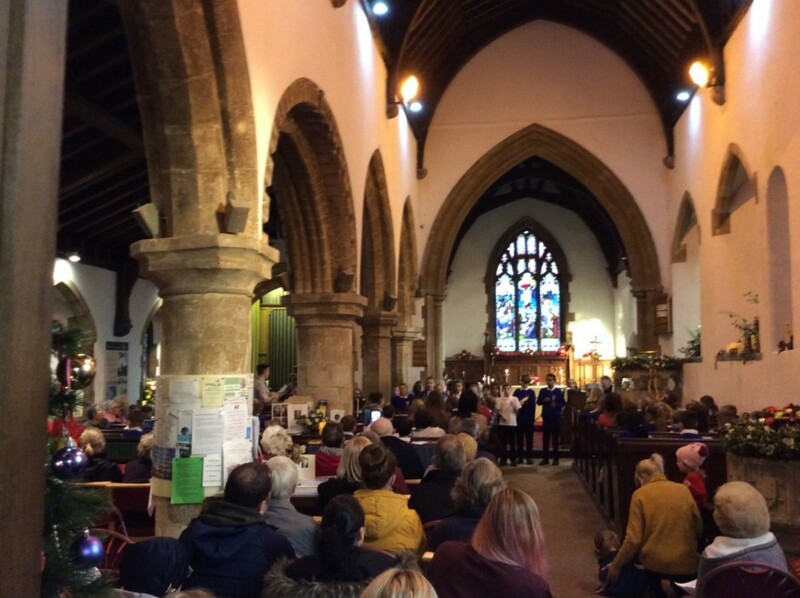 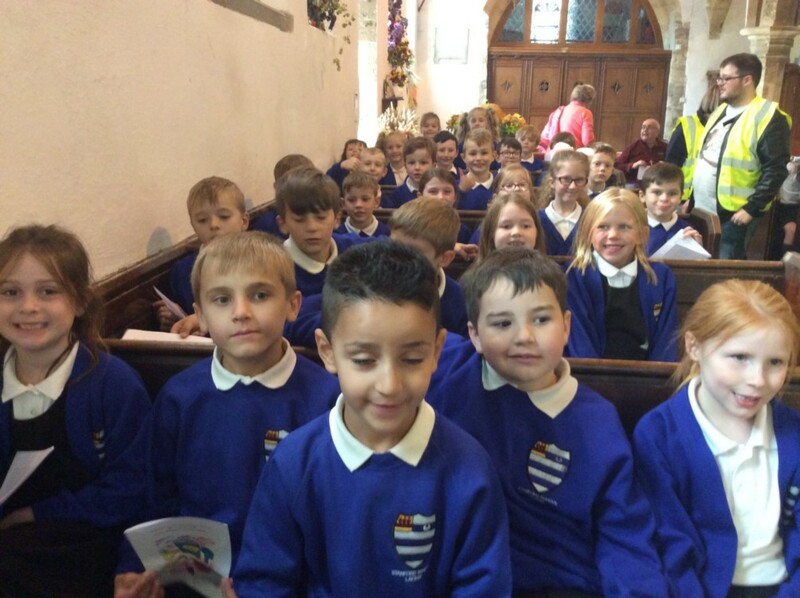 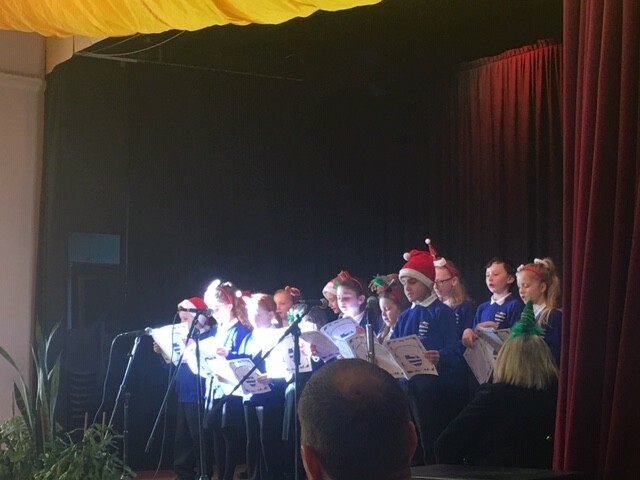 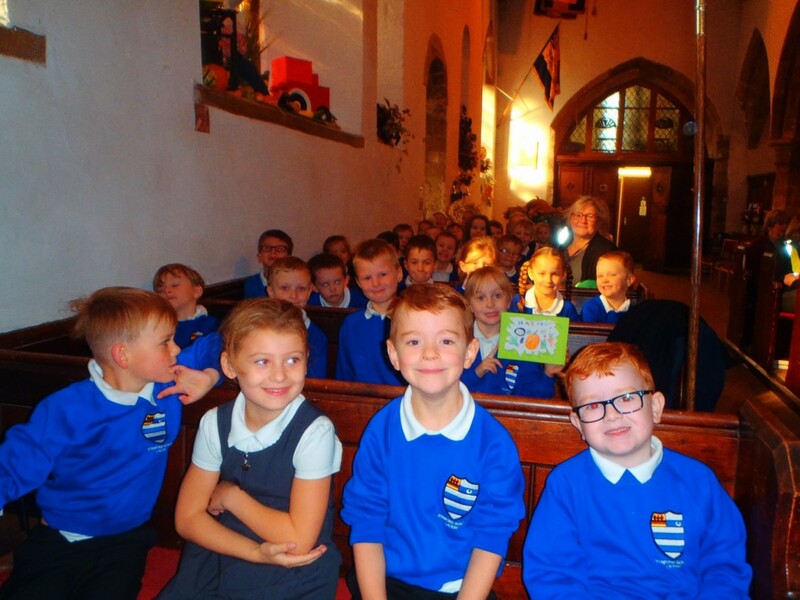 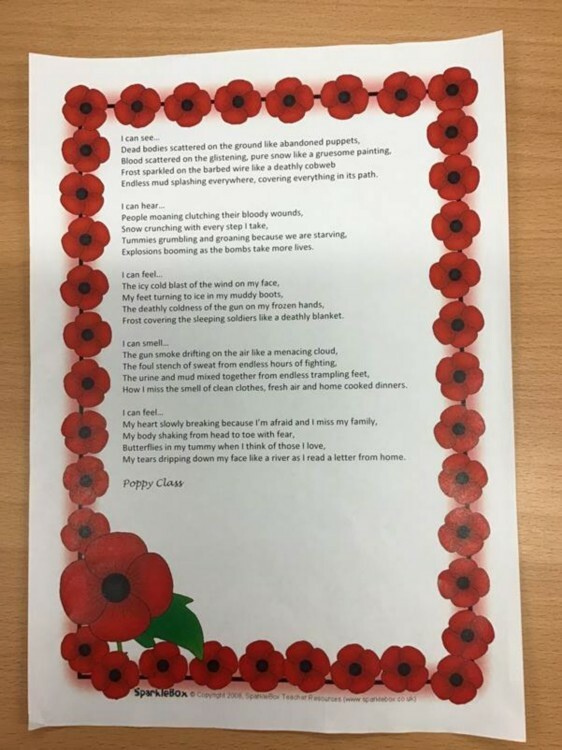 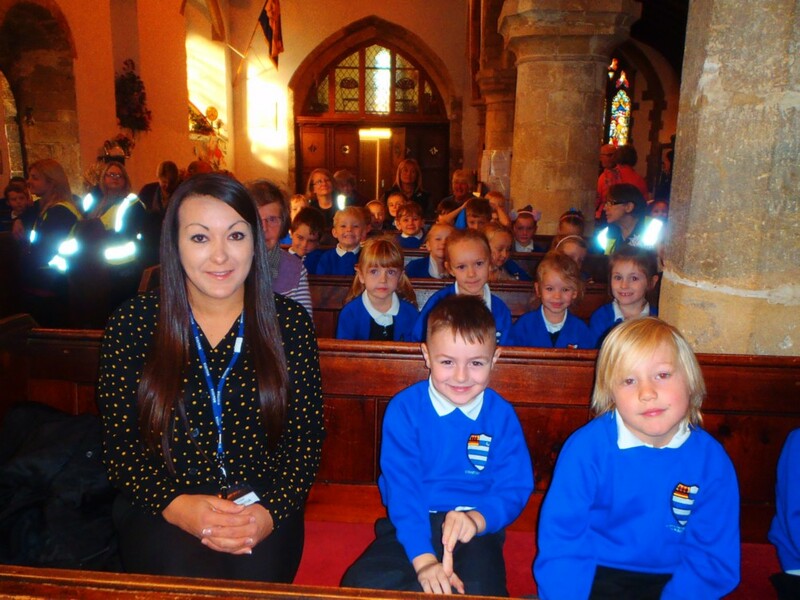 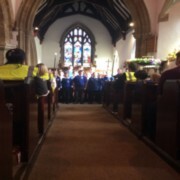 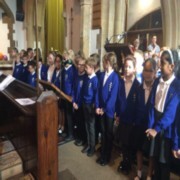 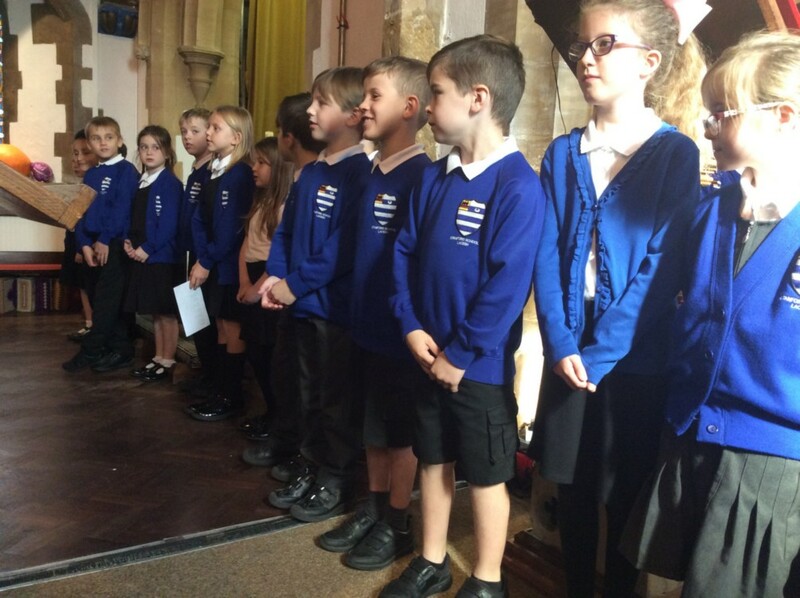 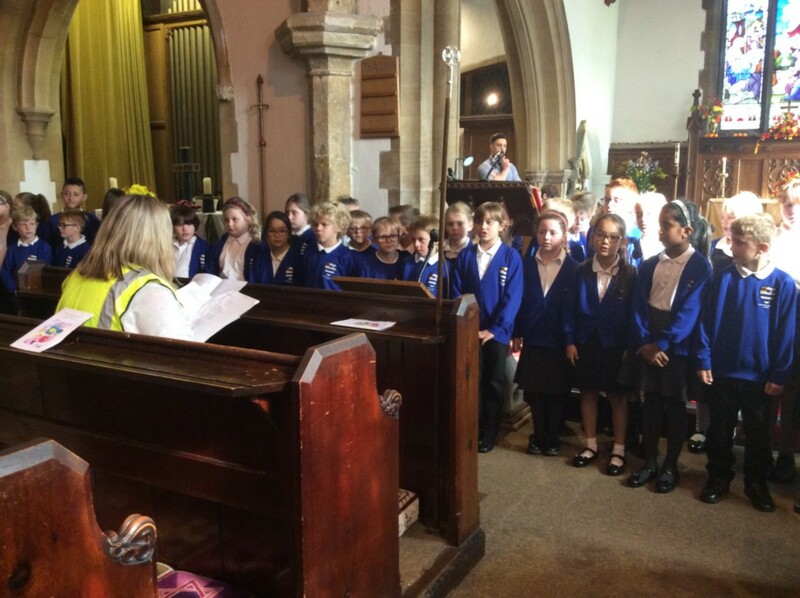 Well done to all the pupils from the School Choir and Poppy Class who joined us at Caistor Christmas Market on Sunday and sang some beautiful Christmas songs. 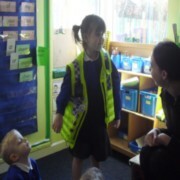 We really appreciate your time and help. 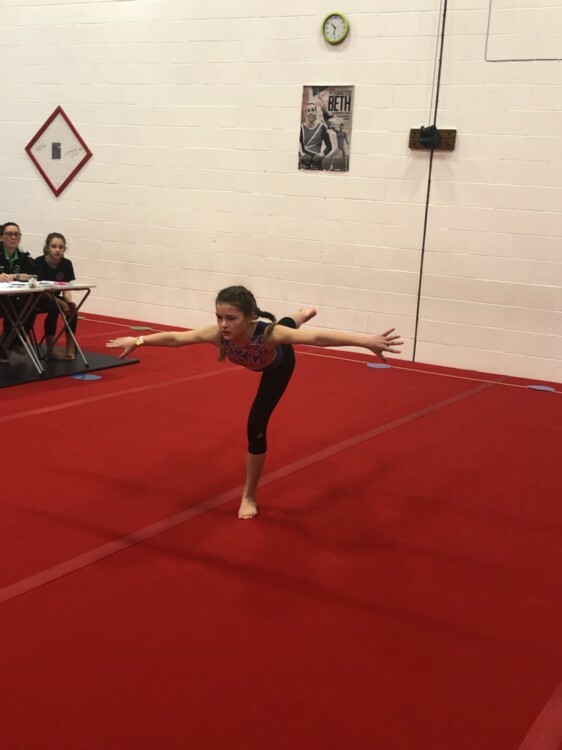 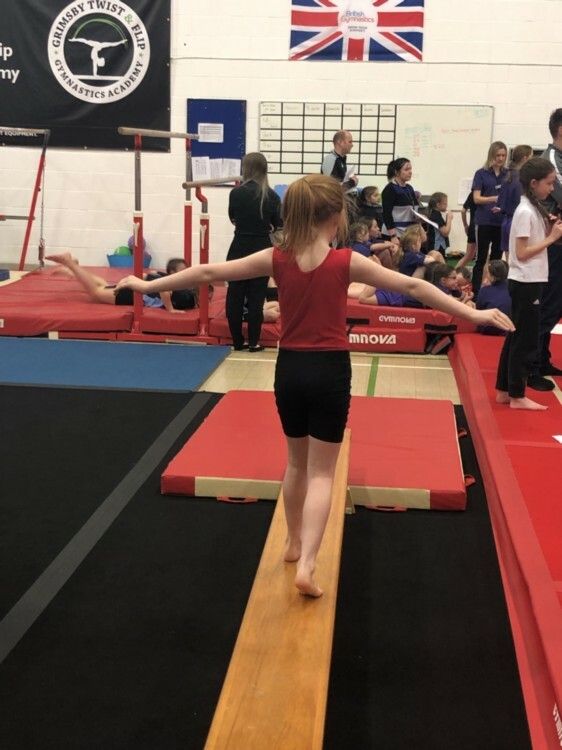 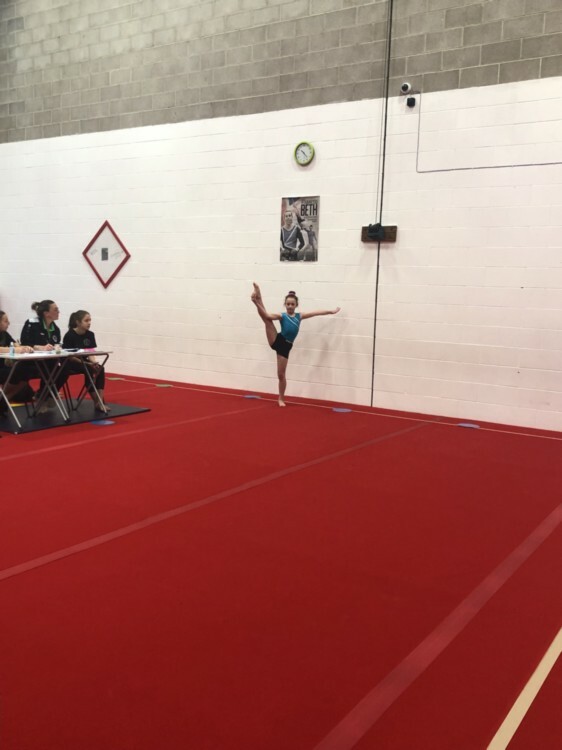 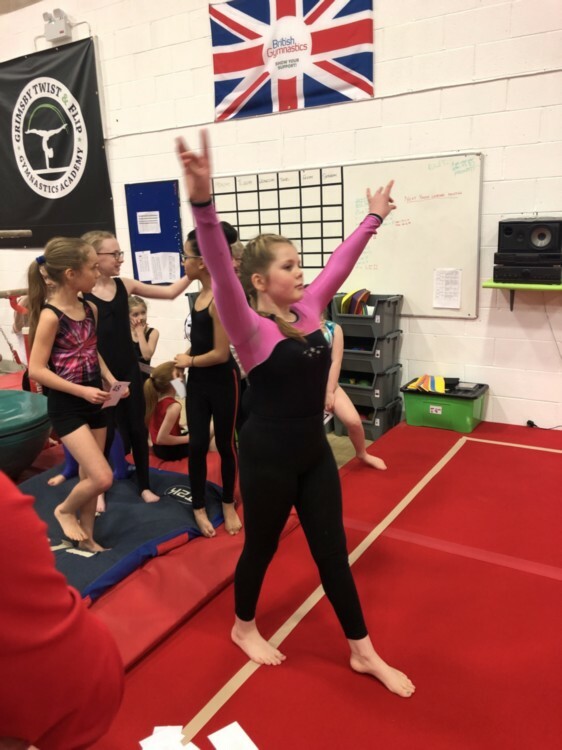 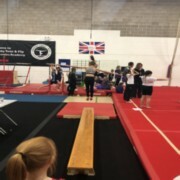 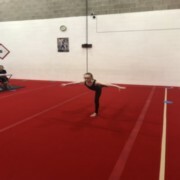 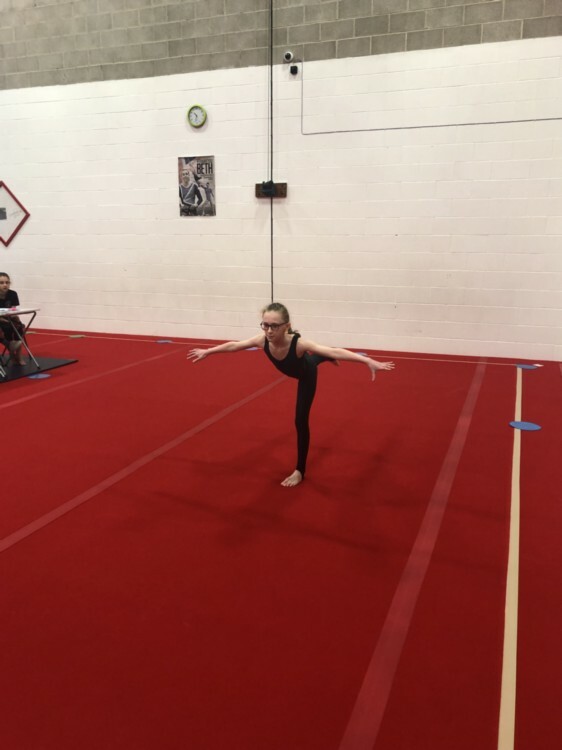 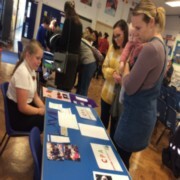 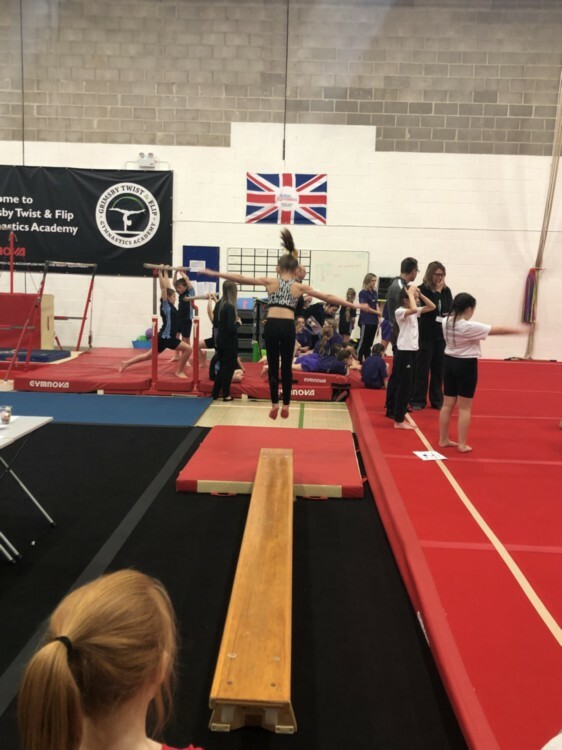 A special mention to Miss Perrin for leading the event and all other staff and parents/carers at the event for their support too. 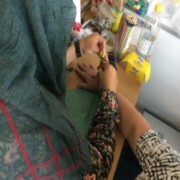 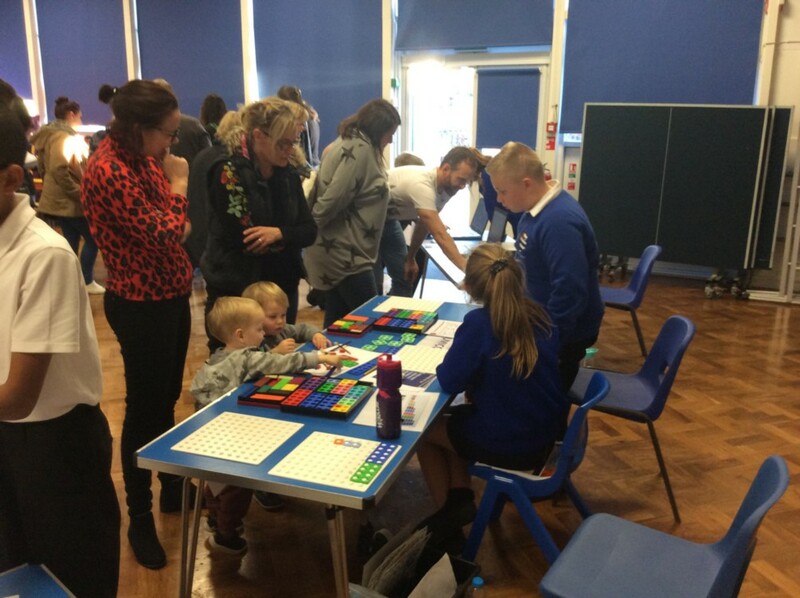 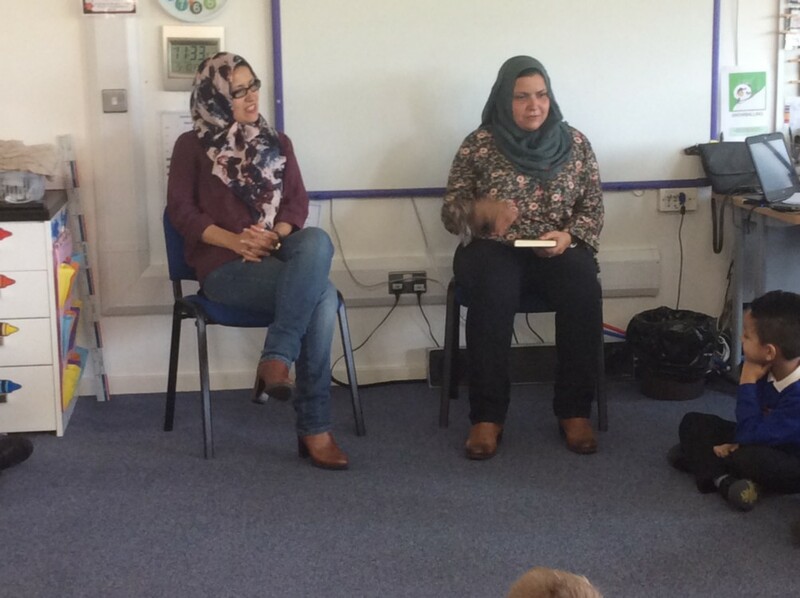 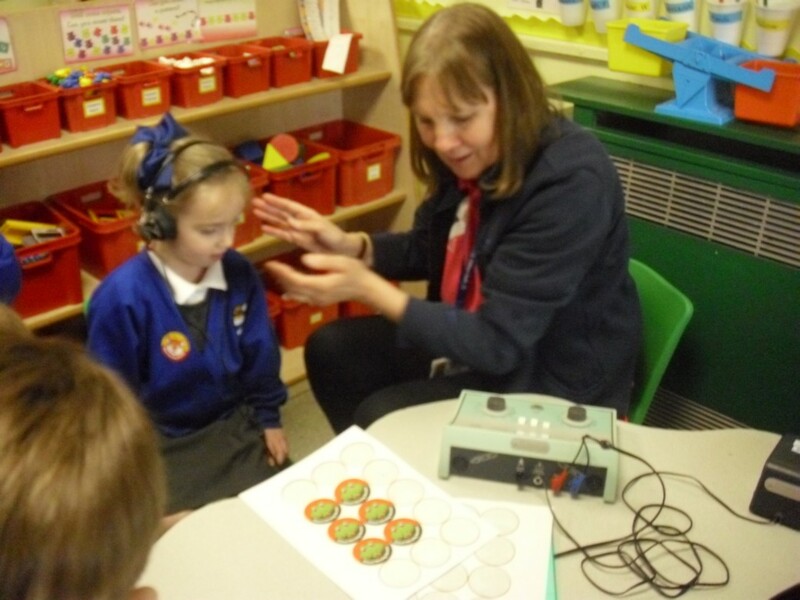 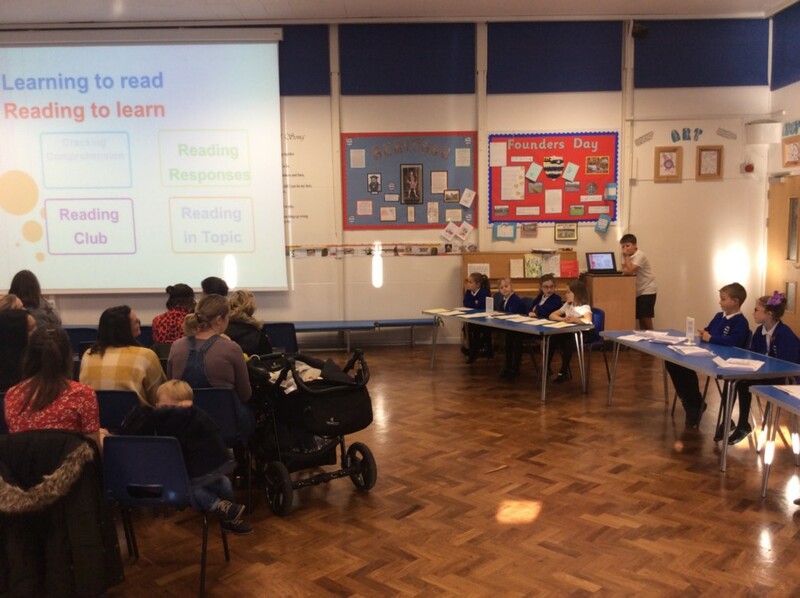 On Friday 2nd November, a Maths and Reading workshop was held for parents. 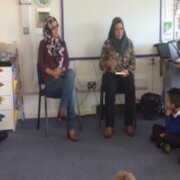 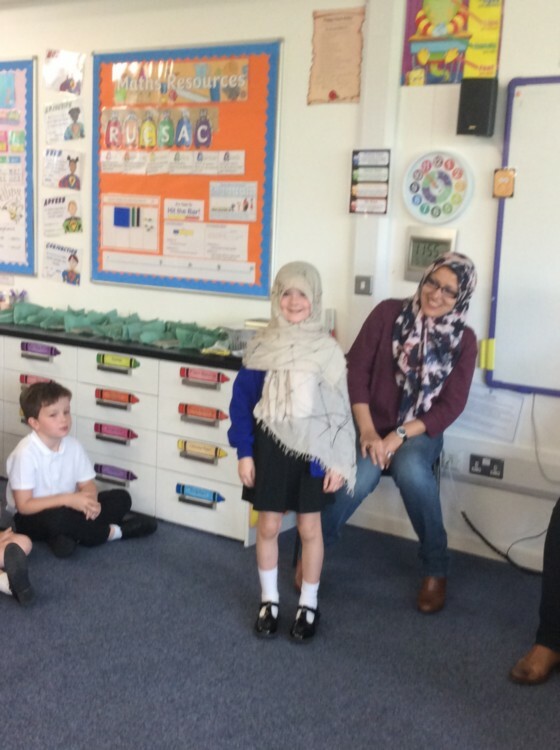 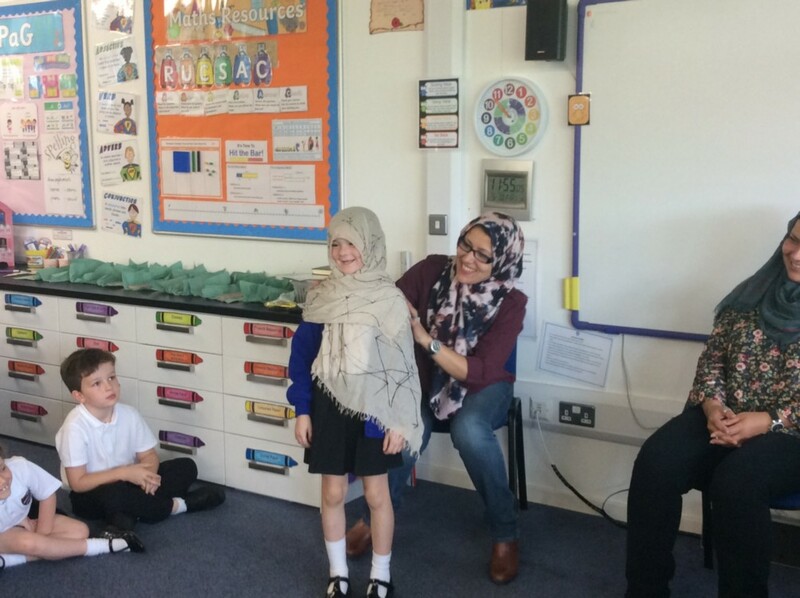 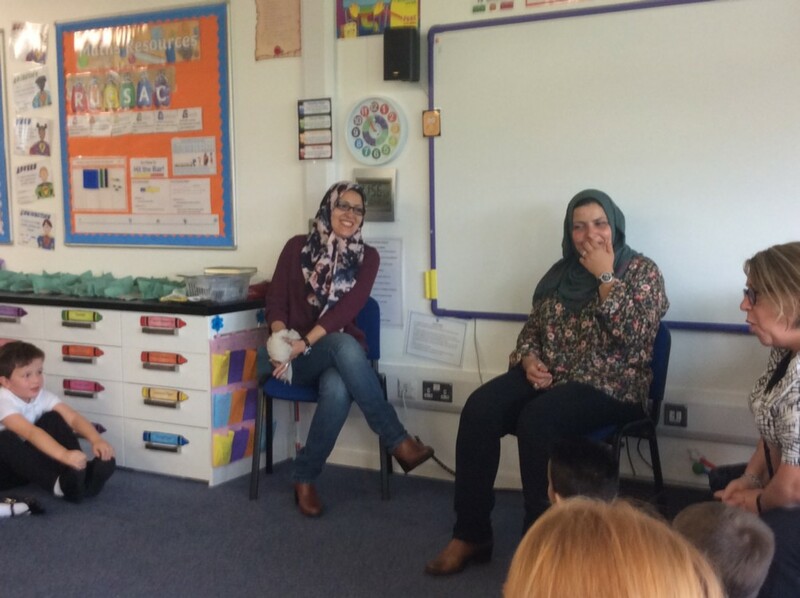 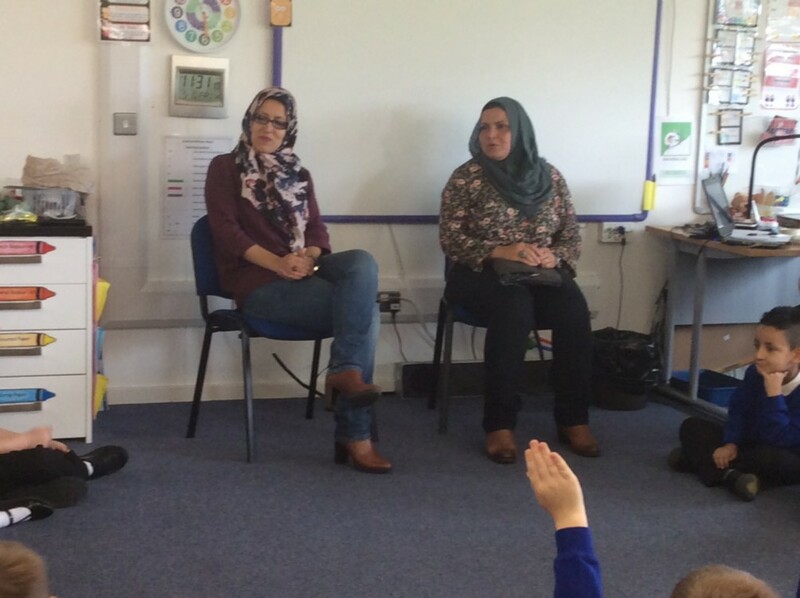 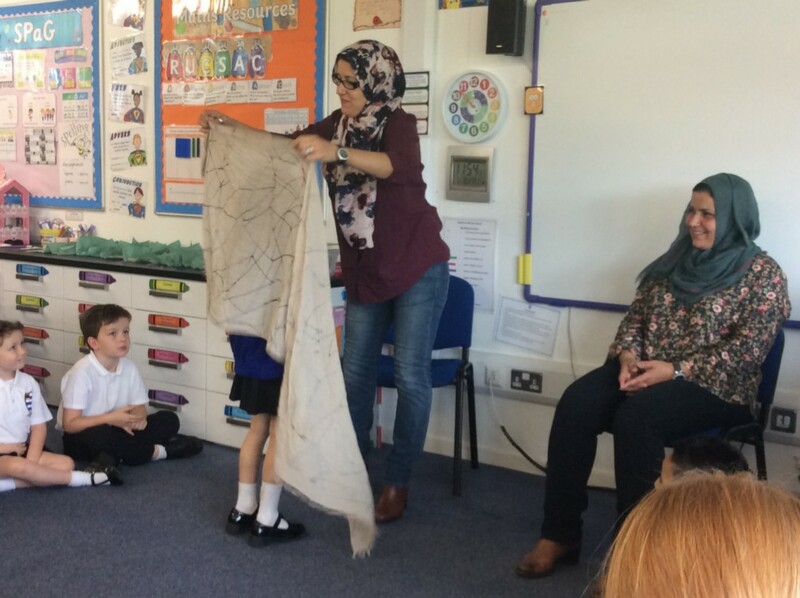 It was an interactive workshop where parents could learn about the different ways we learn. 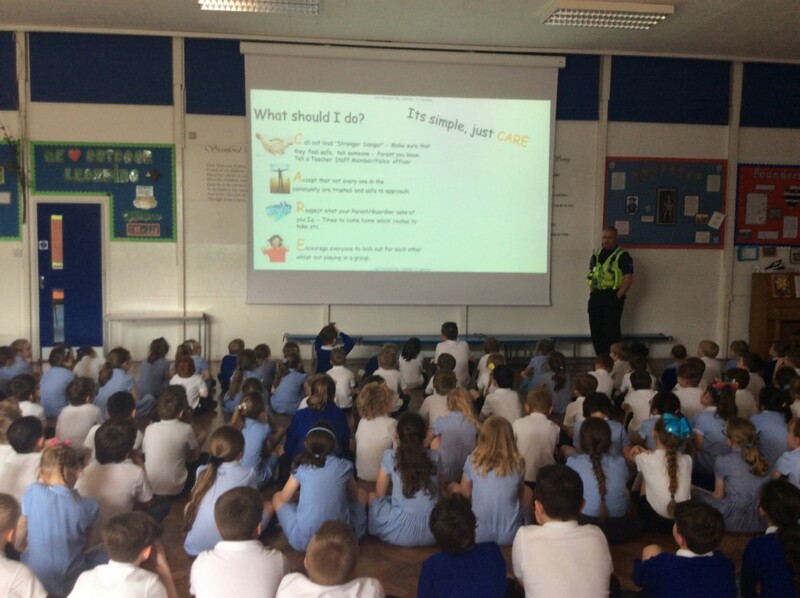 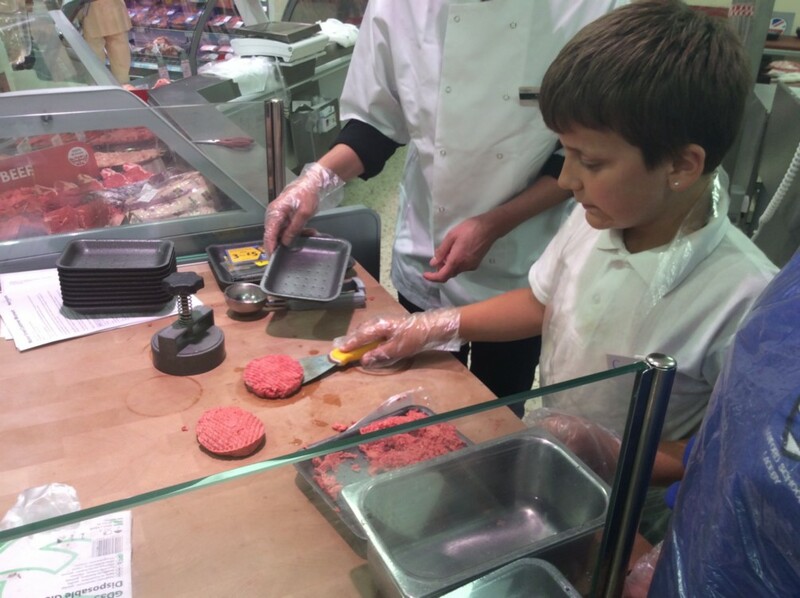 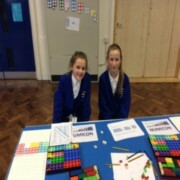 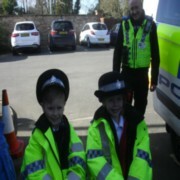 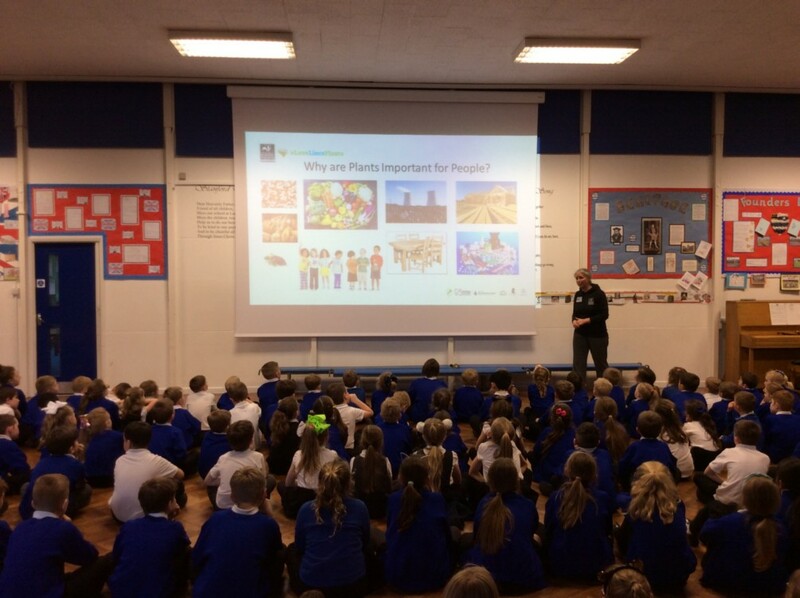 The pupils were brilliant in showcasing what we do at Stanford. 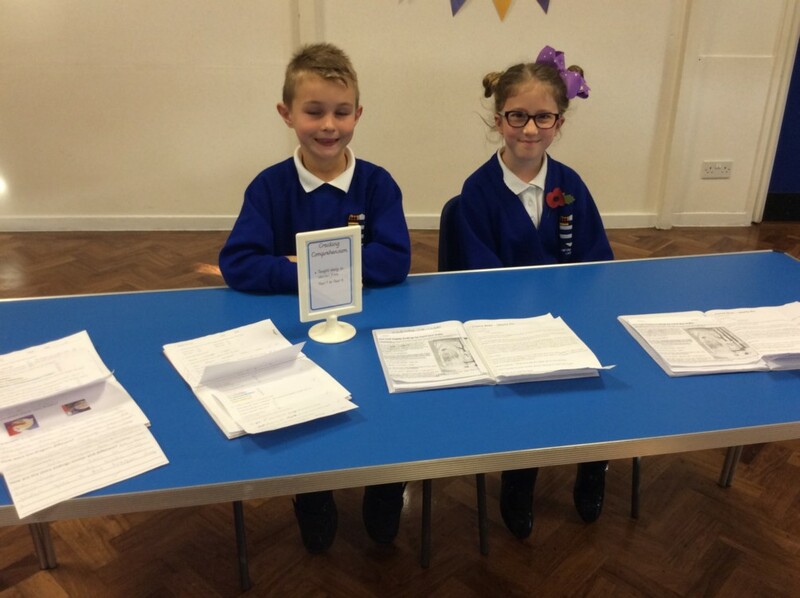 Please find all documents on our Math and English Page. 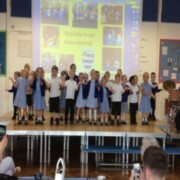 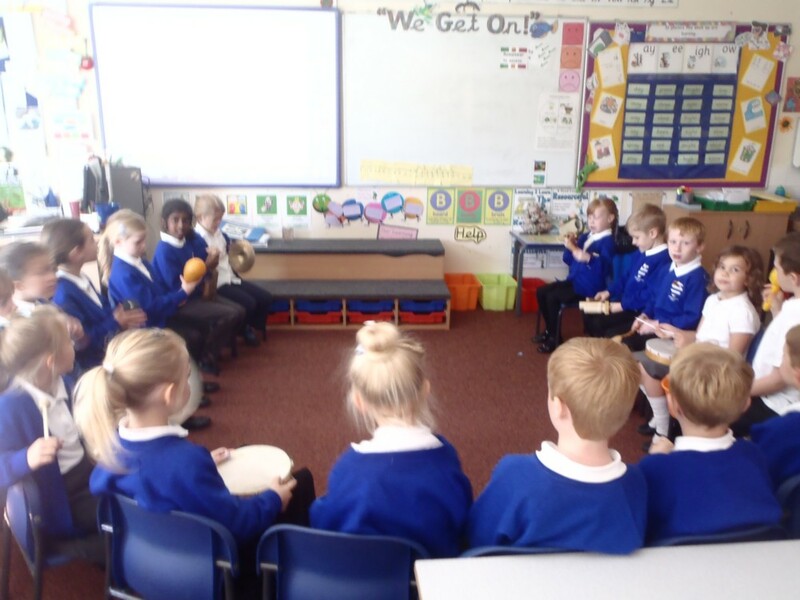 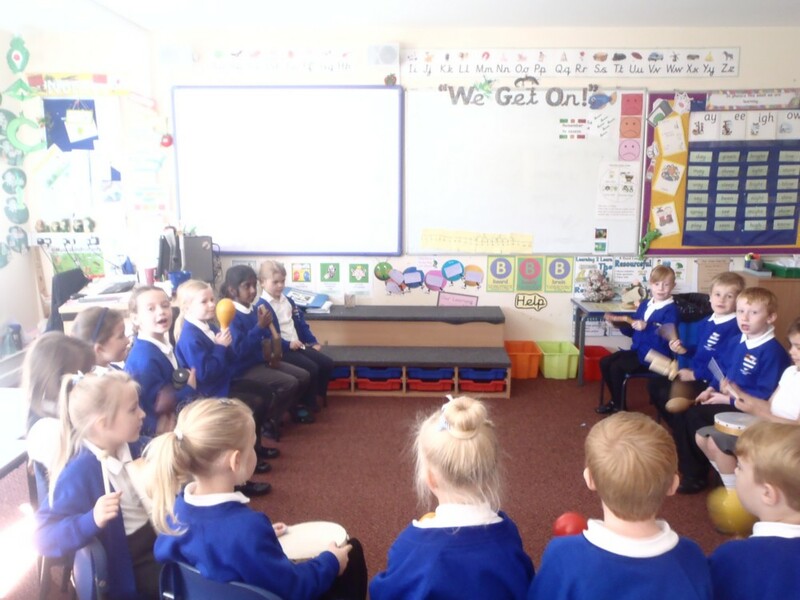 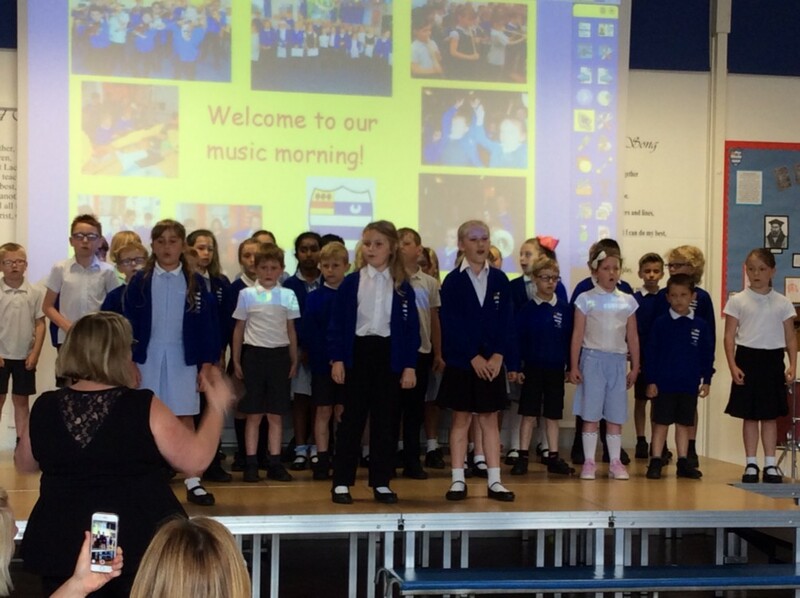 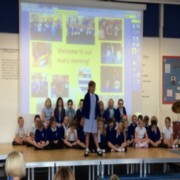 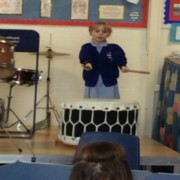 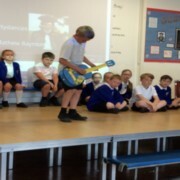 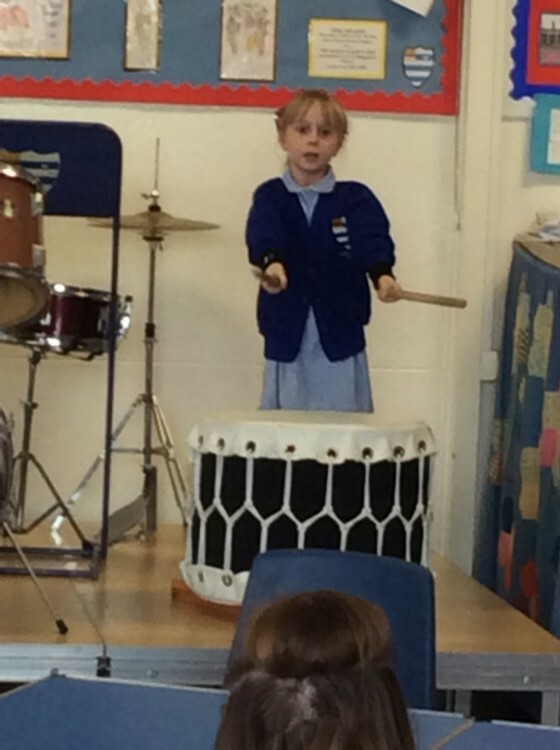 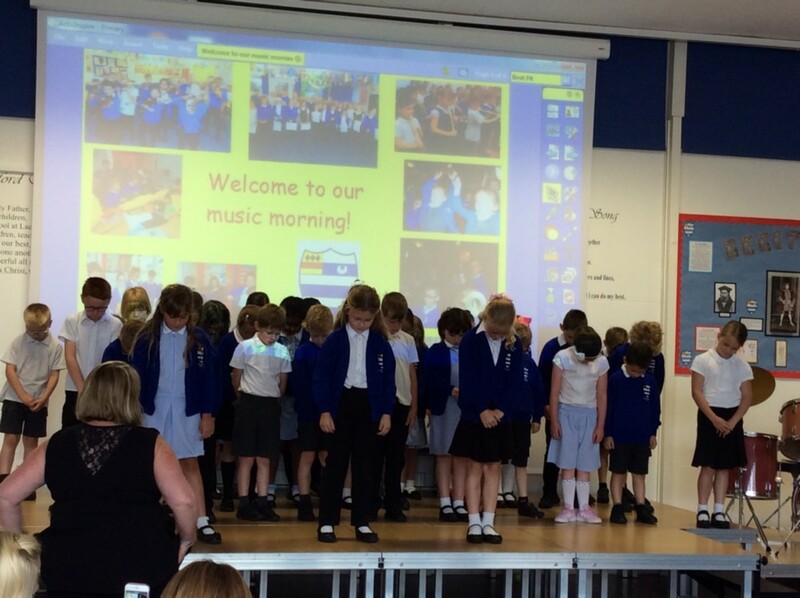 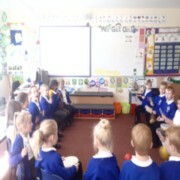 Thank you Sunflower Class for a lovely musical assembly. 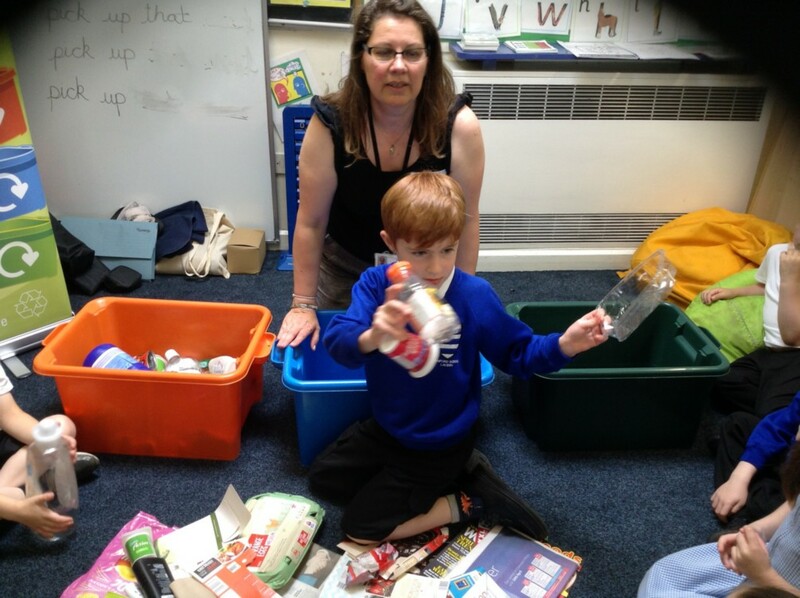 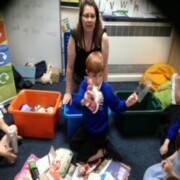 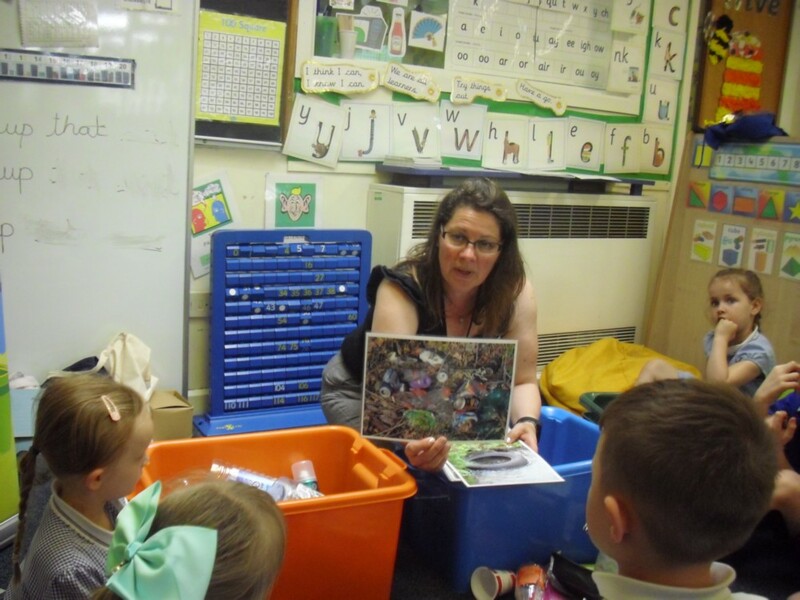 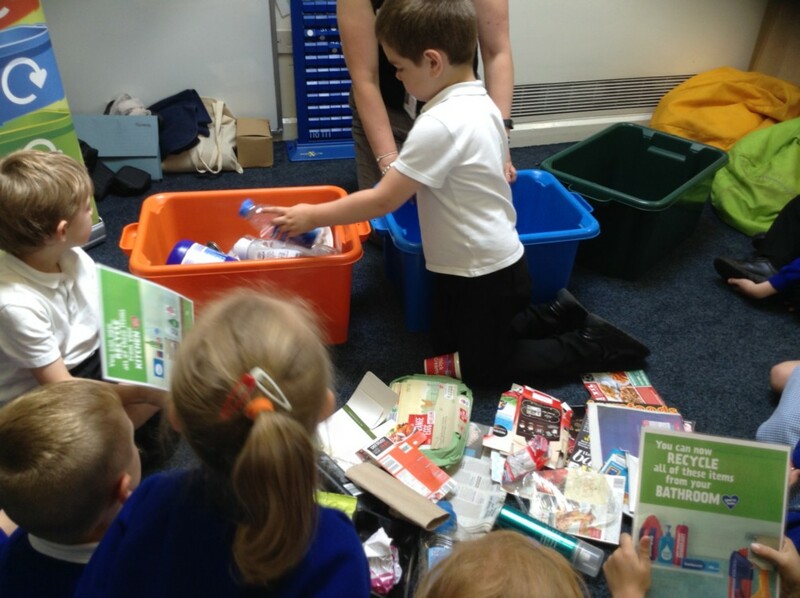 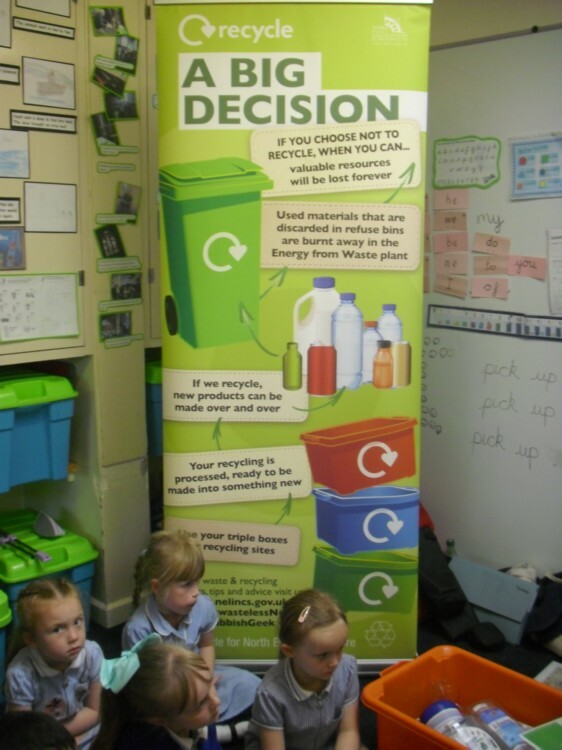 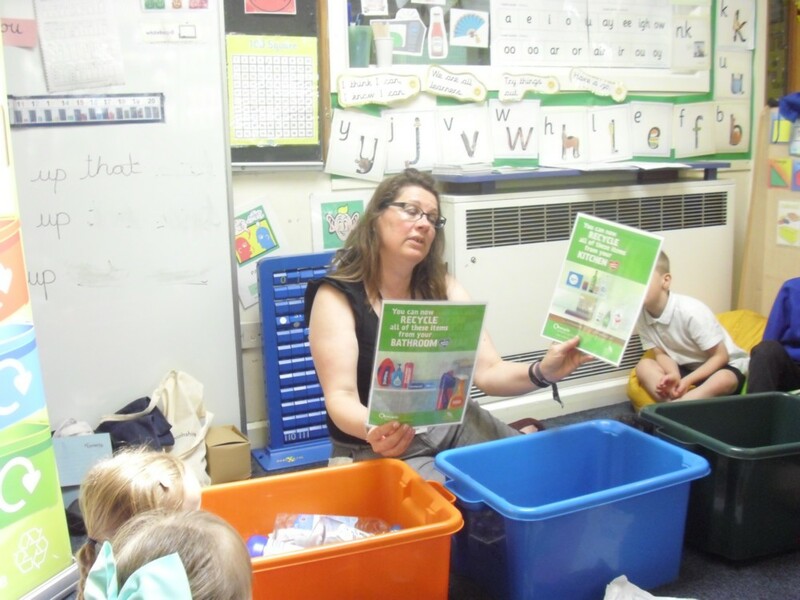 We really enjoyed seeing and hearing the use of recyclable materials to create important messages about helping the environment. 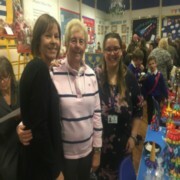 Thank you to Mrs Brady, Mrs Wink and an extra special mention to Mrs Groves for leading the event. 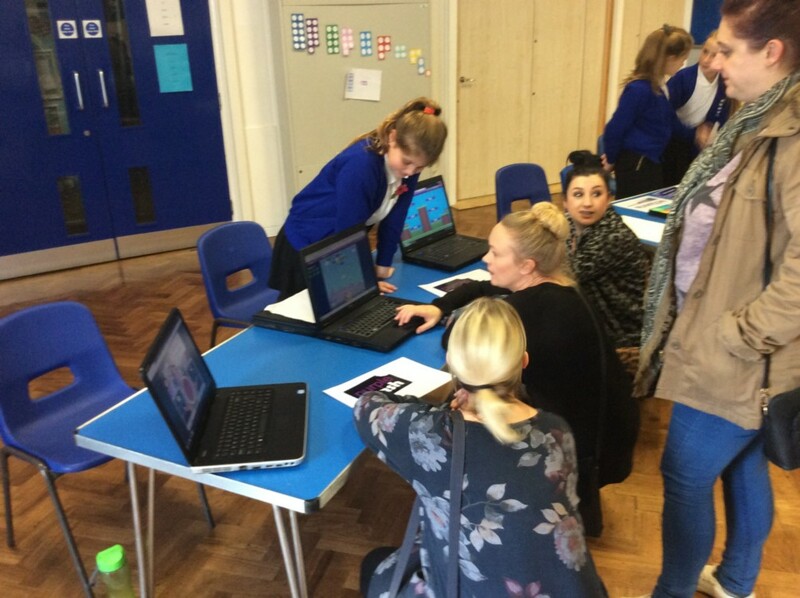 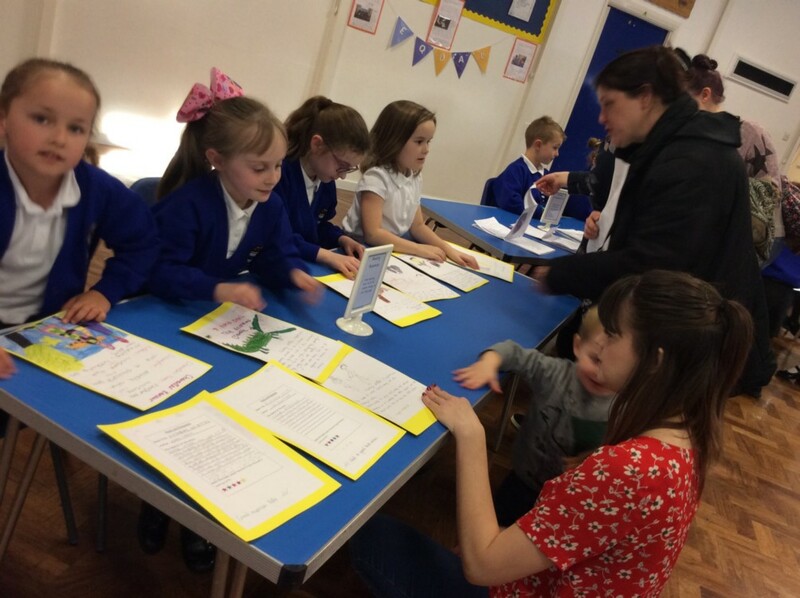 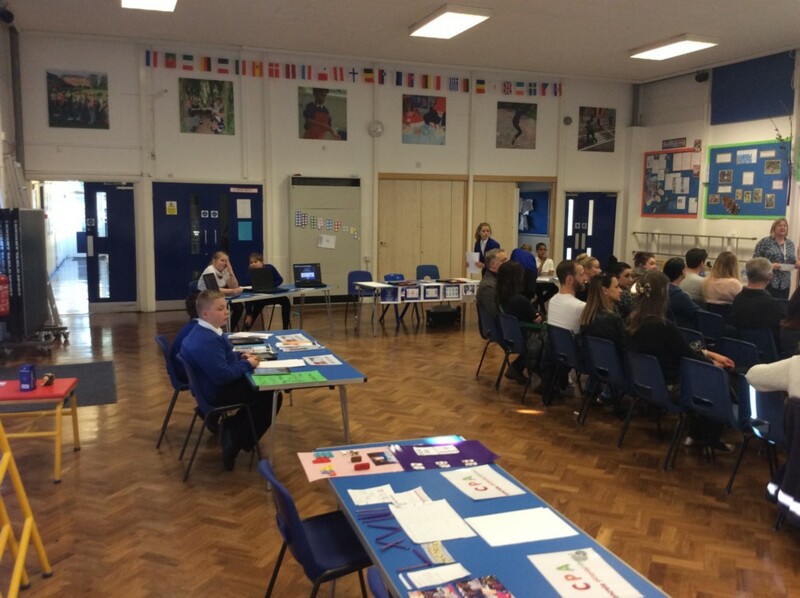 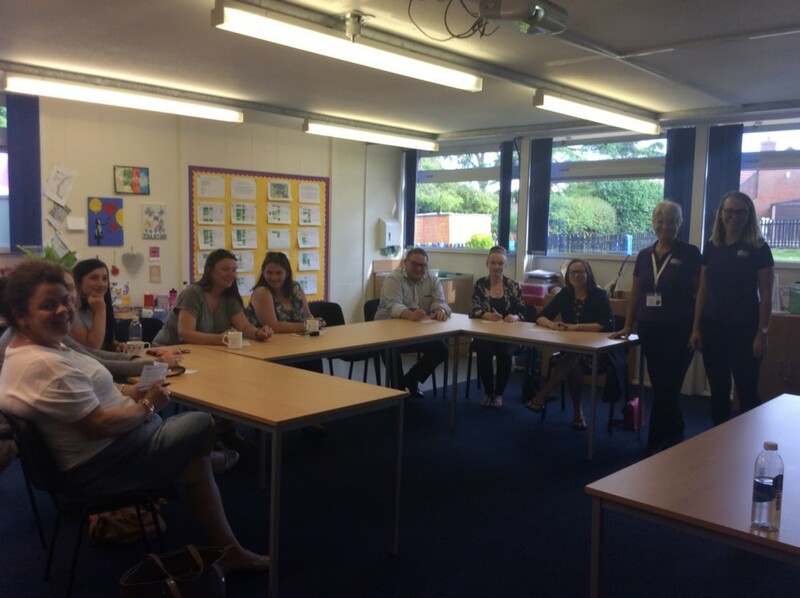 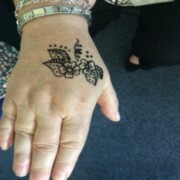 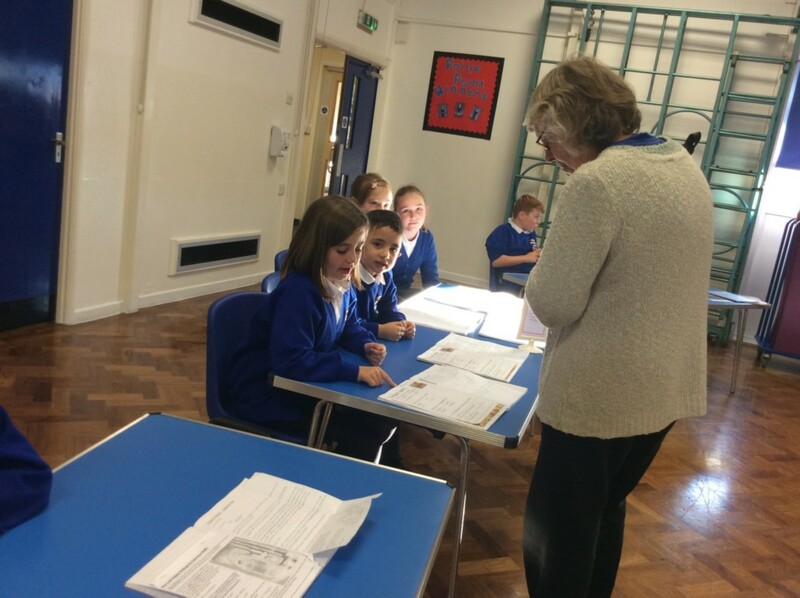 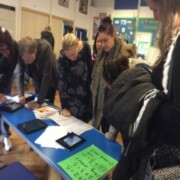 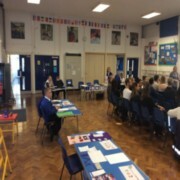 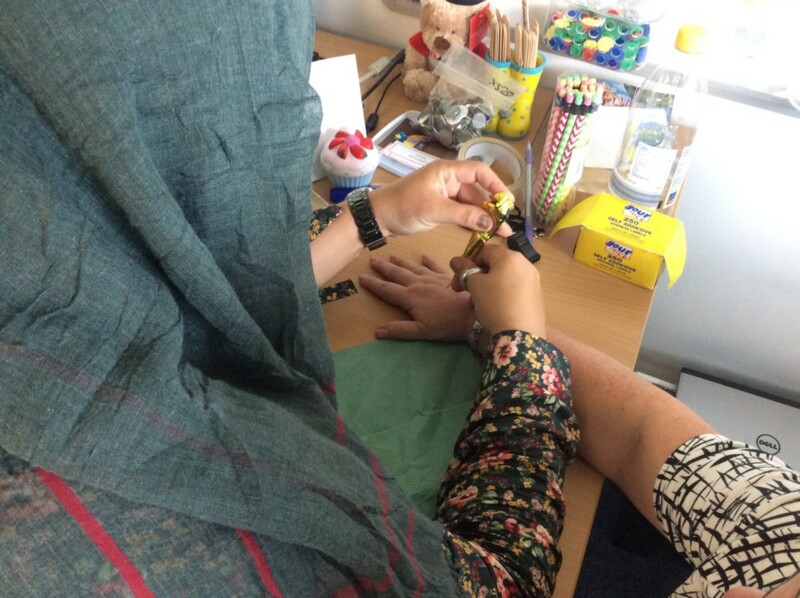 The positive feedback from parents/carers was greatly appreciated as was their participation! 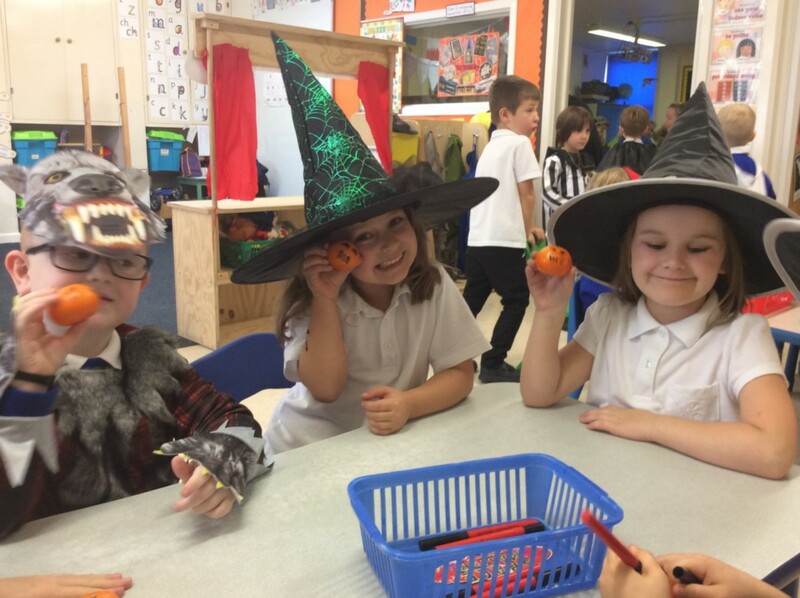 Halloween fun was had by all who joined the event at school today - ghoulish treats and fun dares! 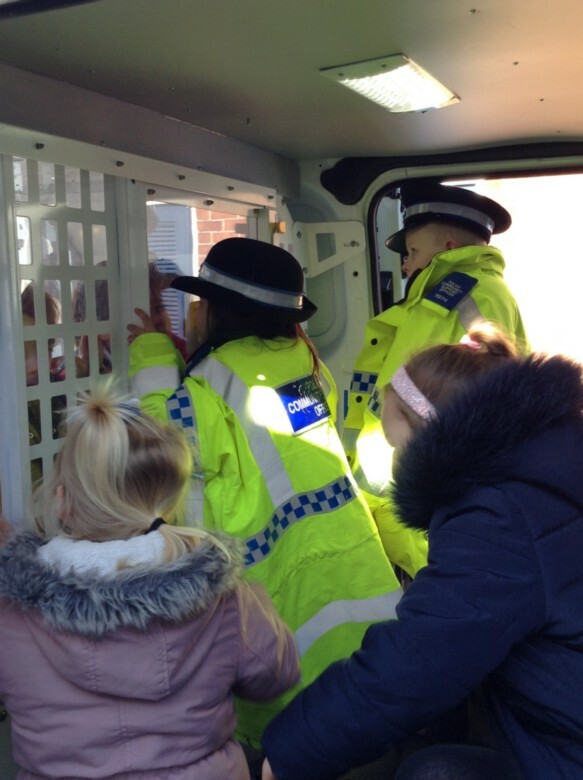 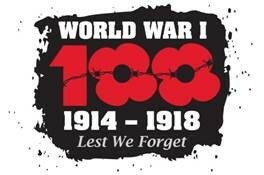 Thank you to all the staff and volunteers who helped organise the event. 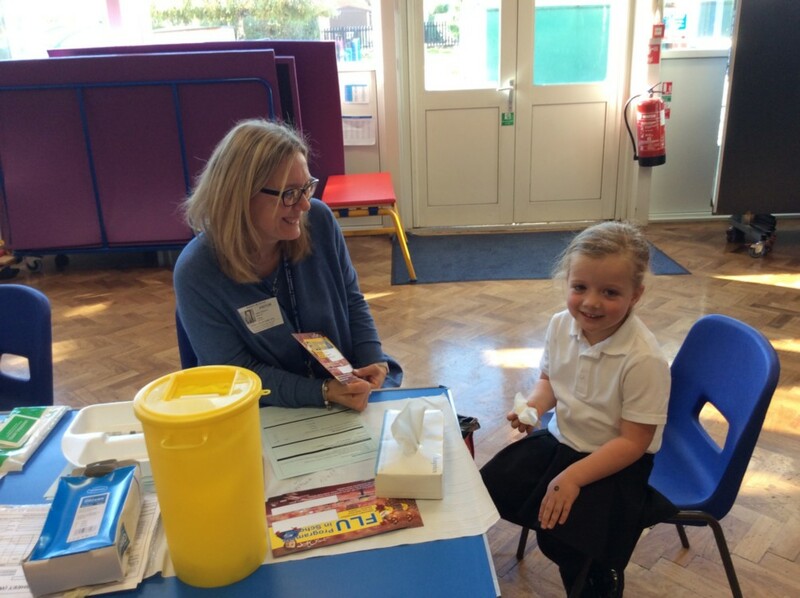 Well done to all the pupils who had their Flu Vac today. 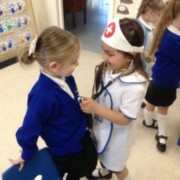 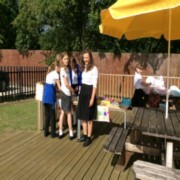 Thanks to the School Nurse Team for their help. 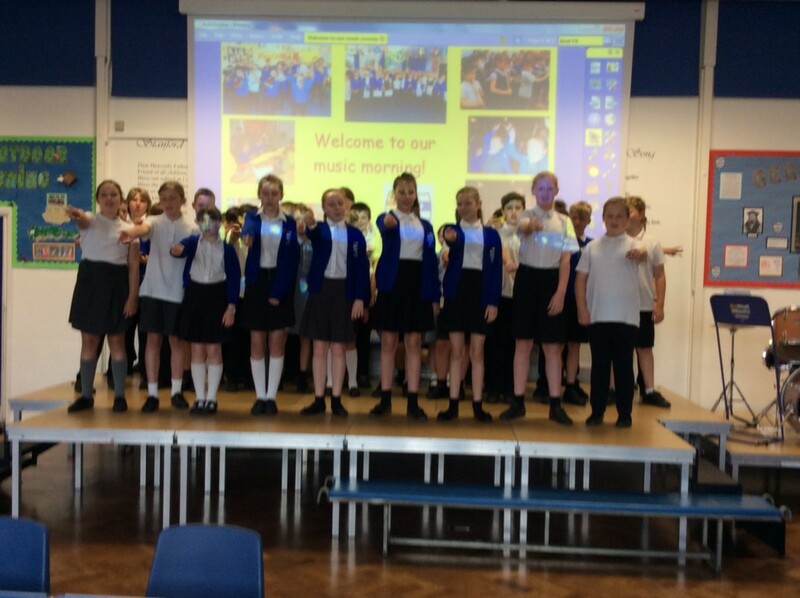 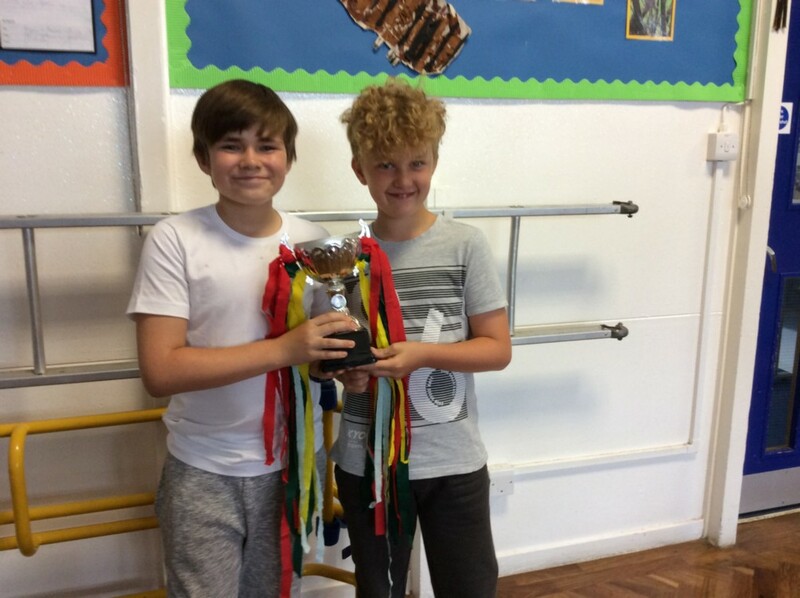 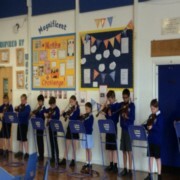 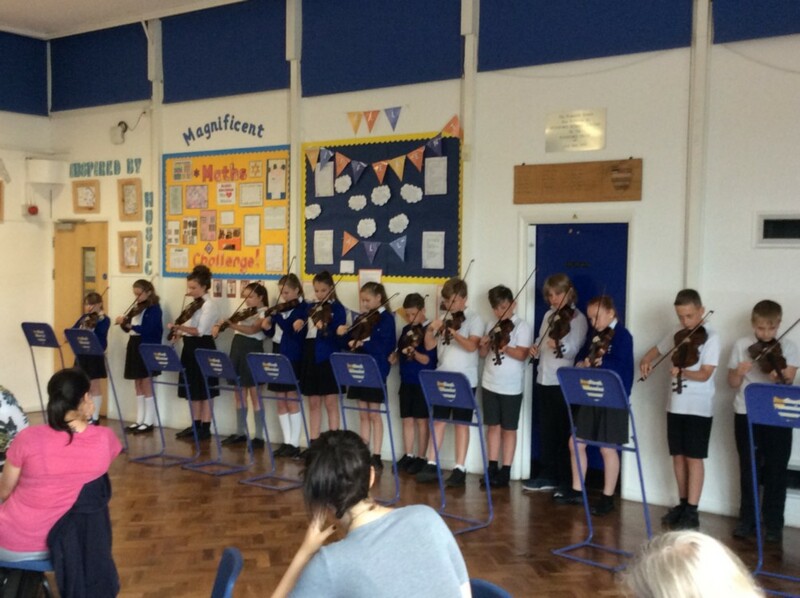 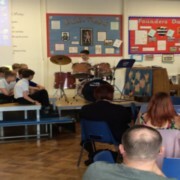 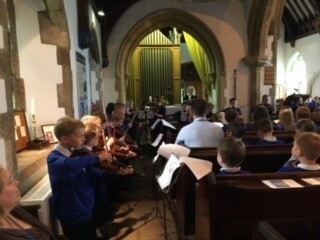 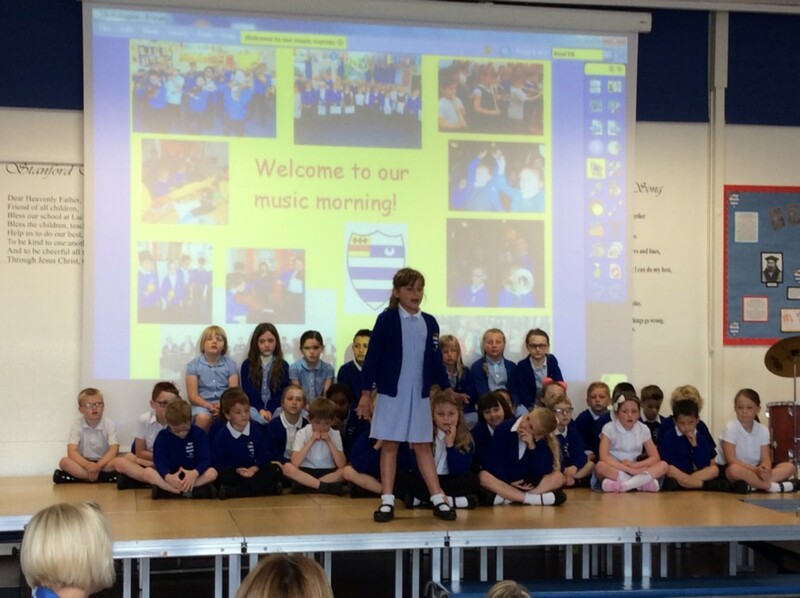 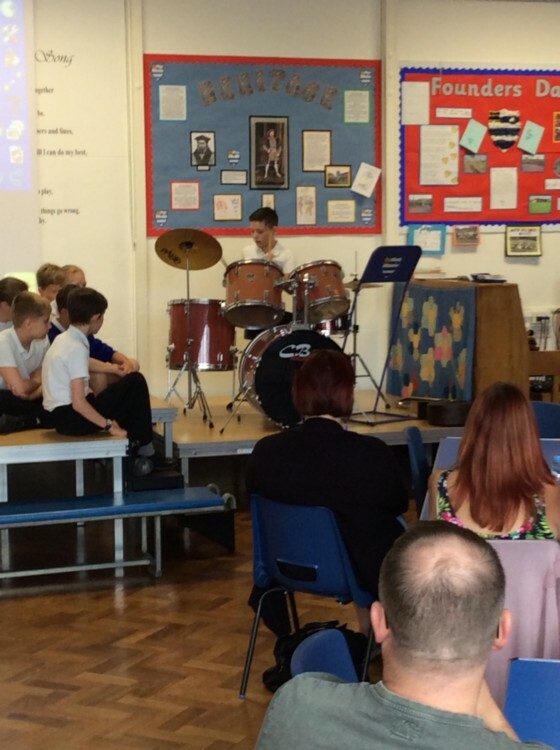 Well done to everyone who participated in our wonderful music festival. 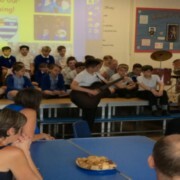 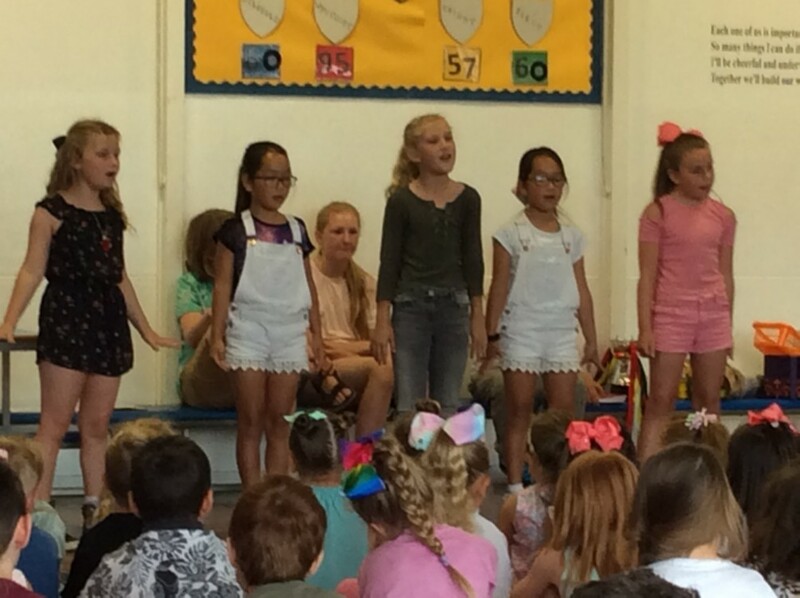 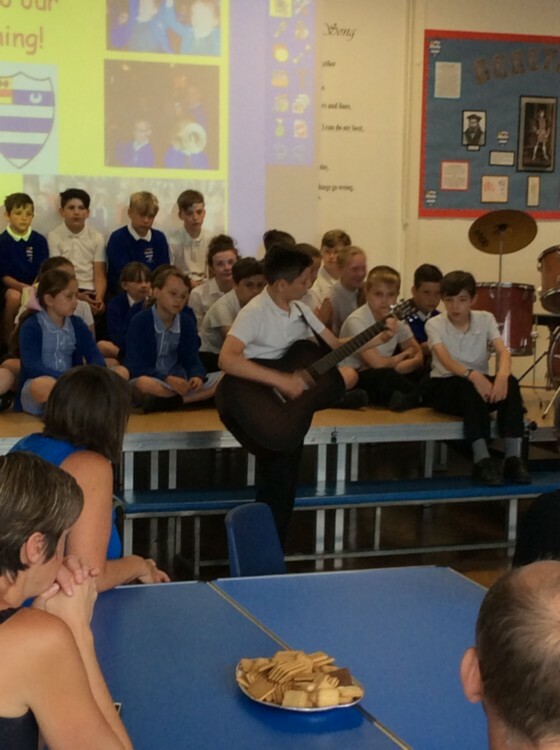 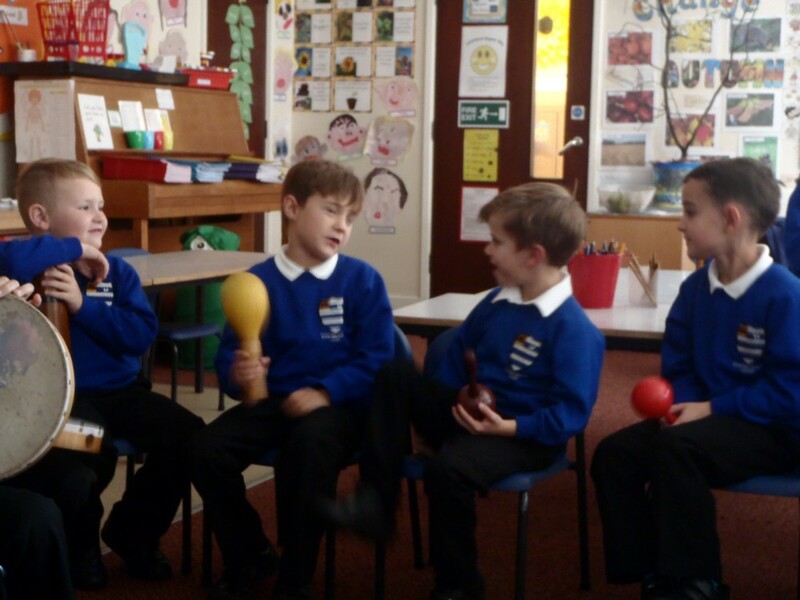 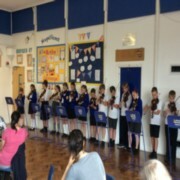 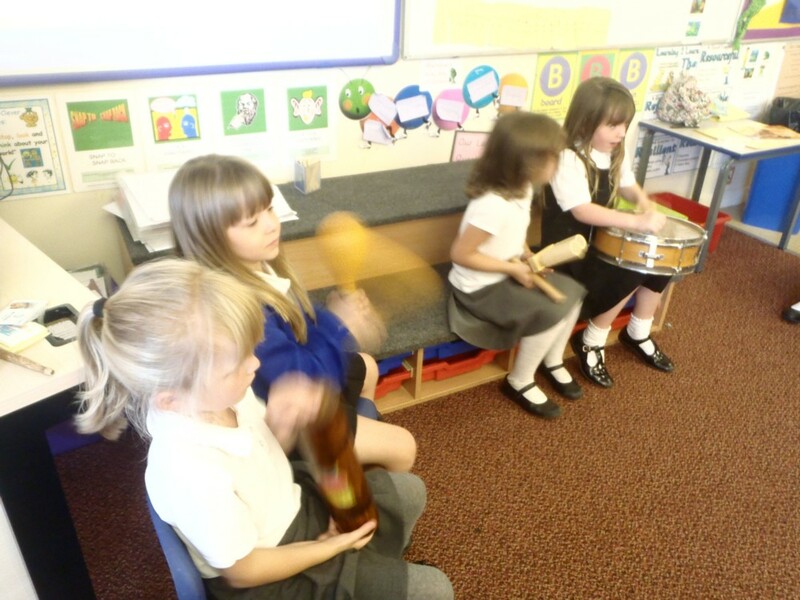 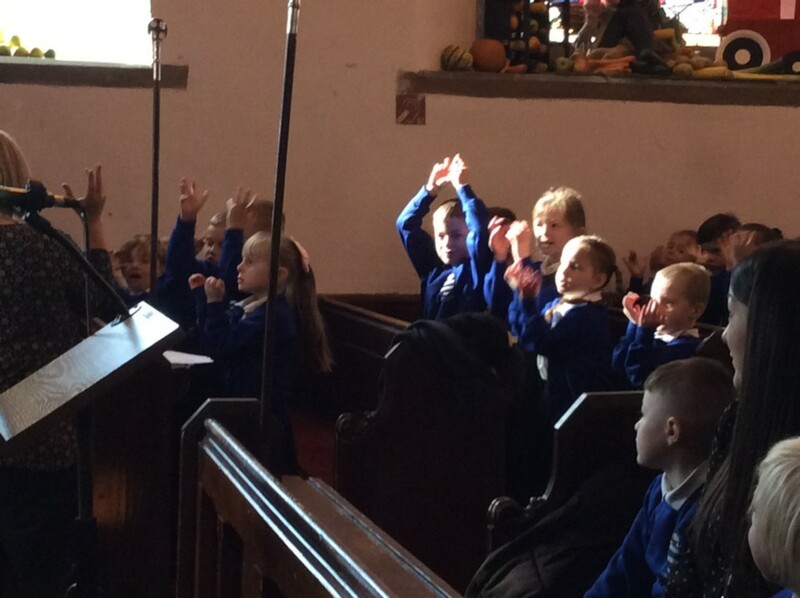 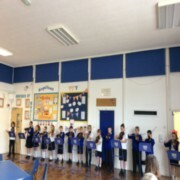 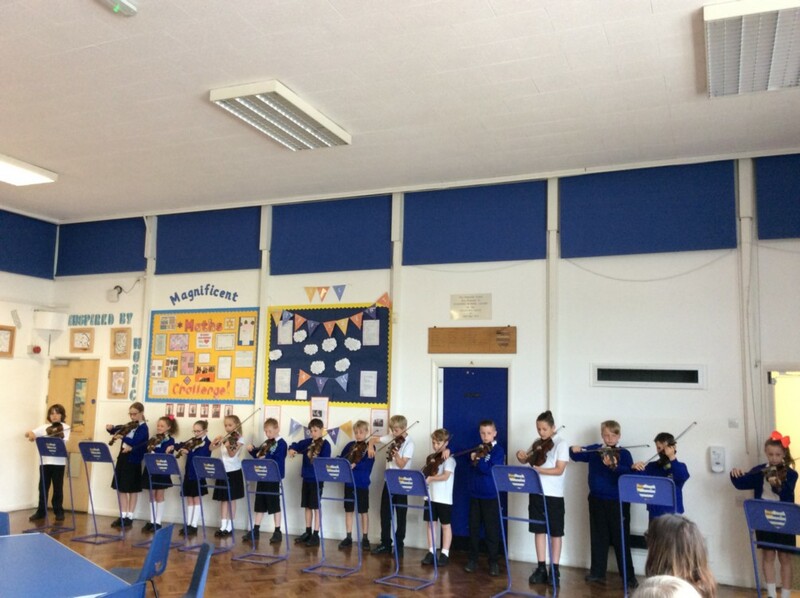 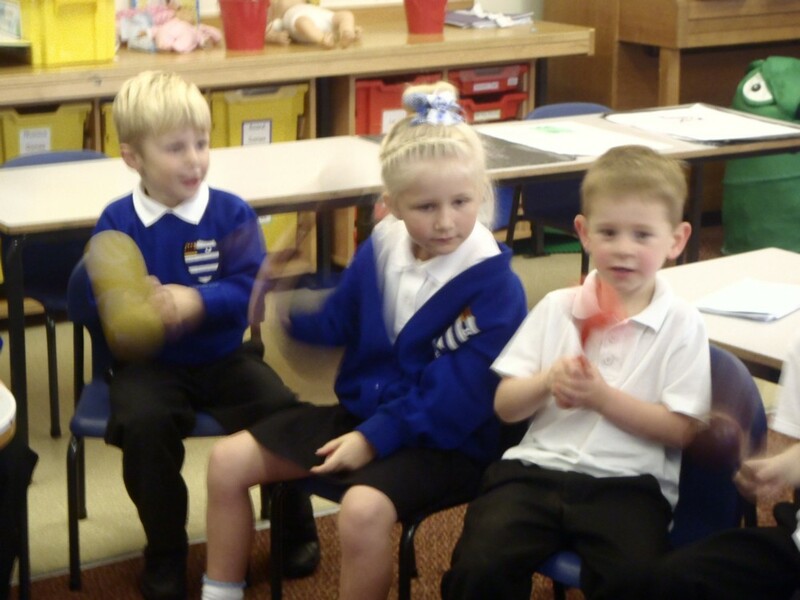 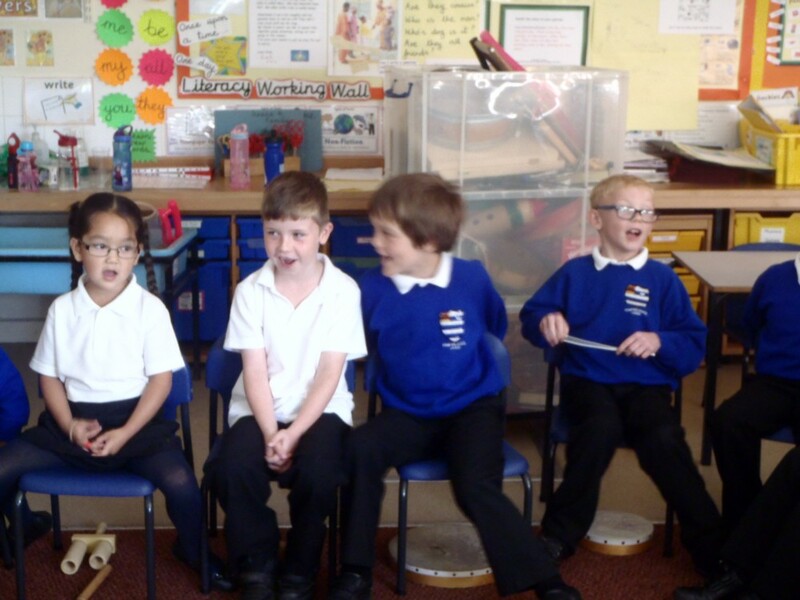 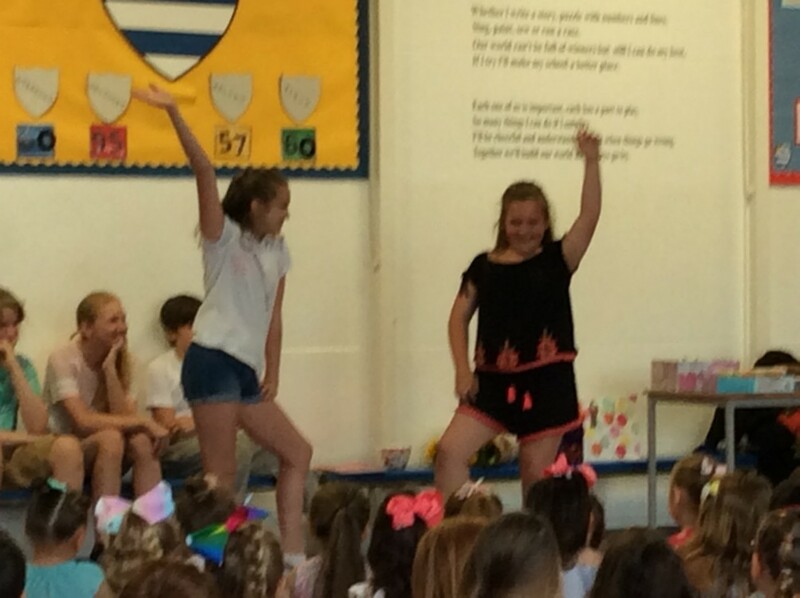 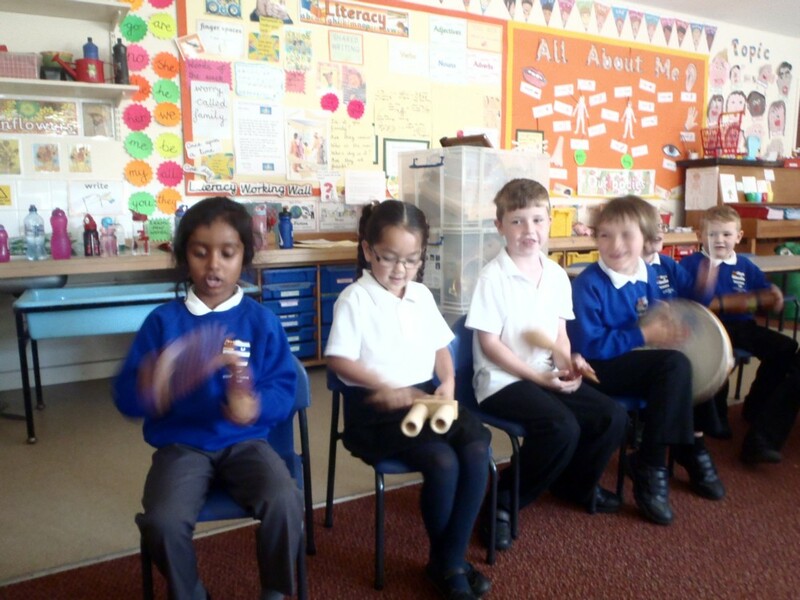 We had a wide range of talented singers, instrumentalists and dancers. 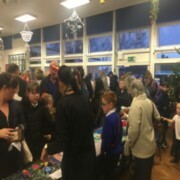 Thank you to all our parents and friends for coming along and supporting this lovely event. 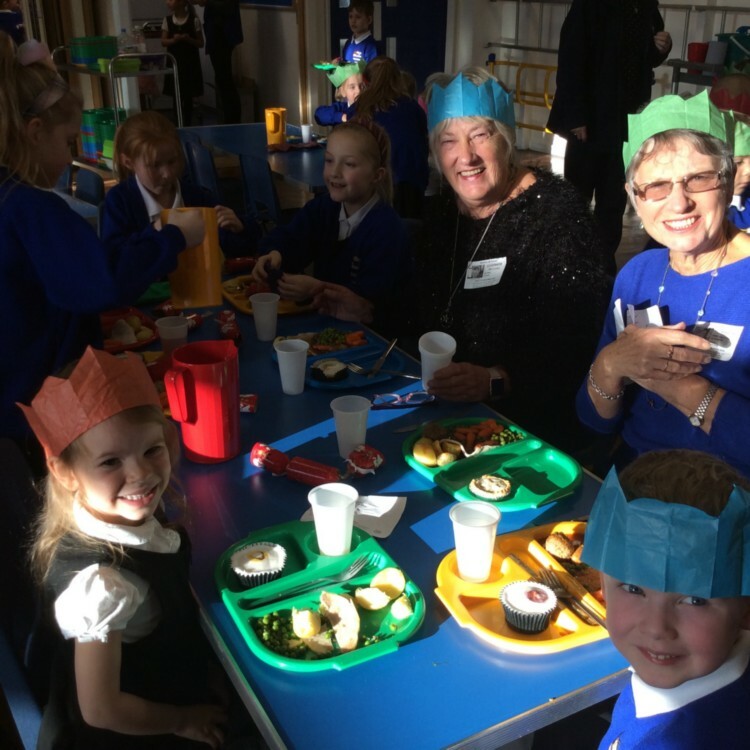 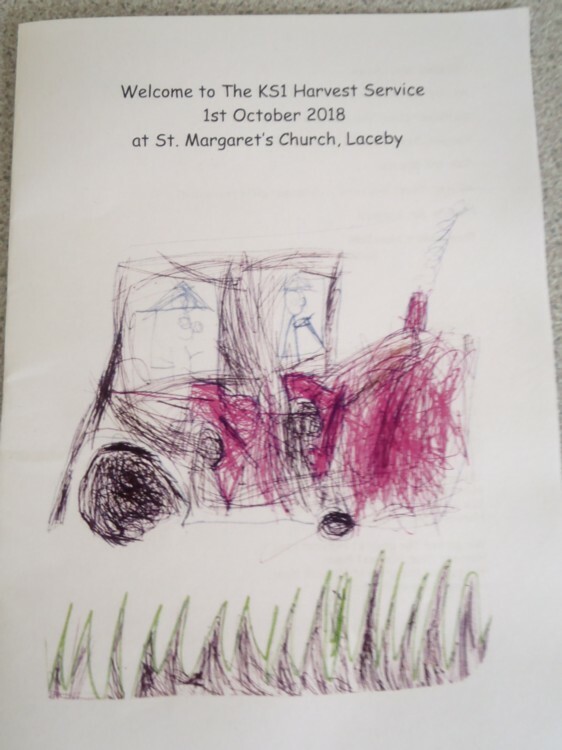 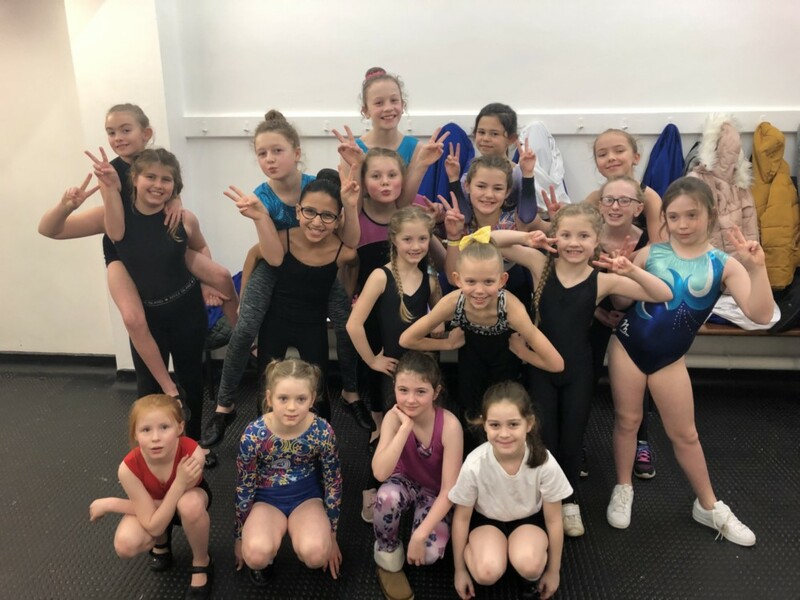 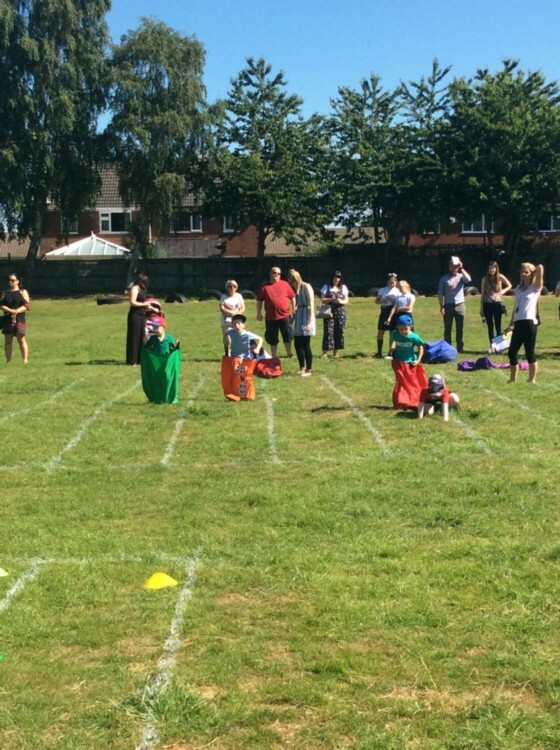 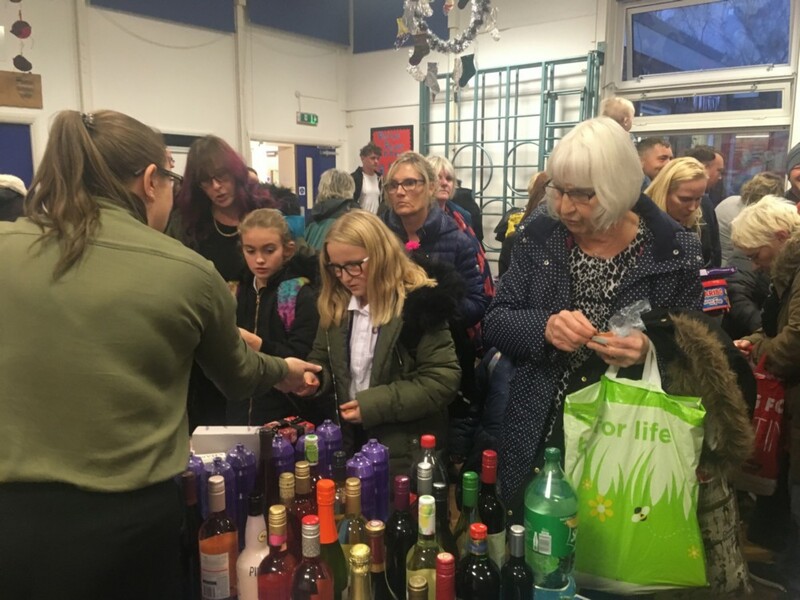 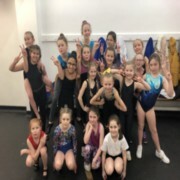 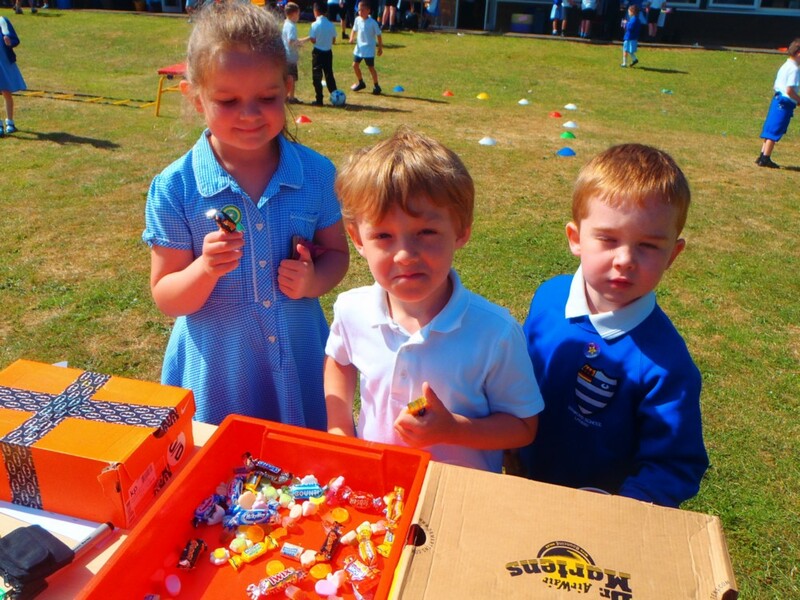 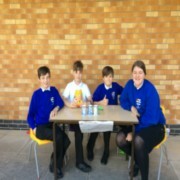 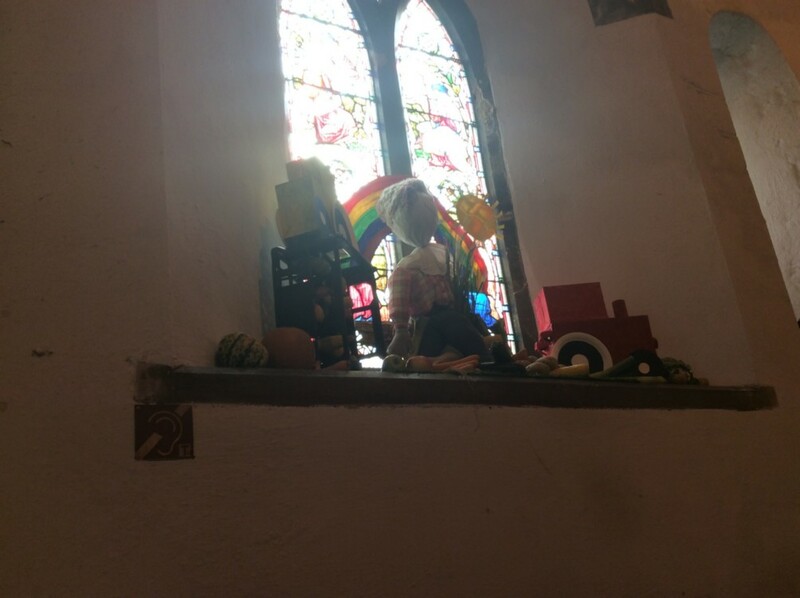 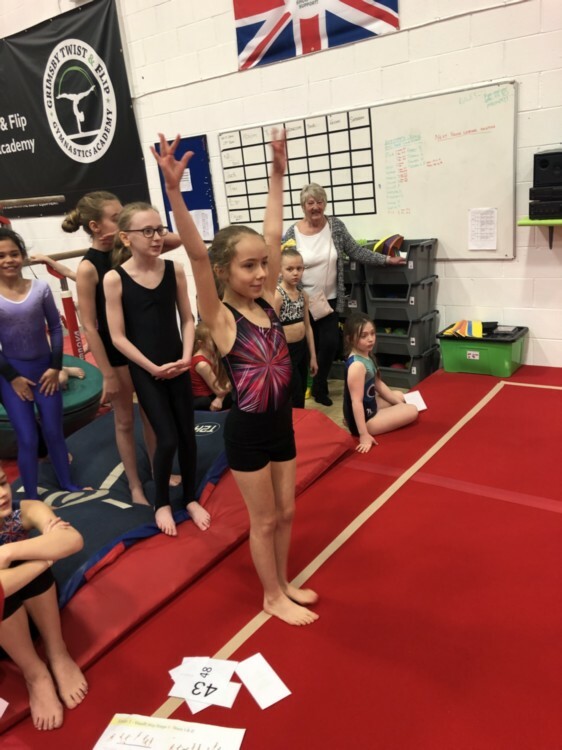 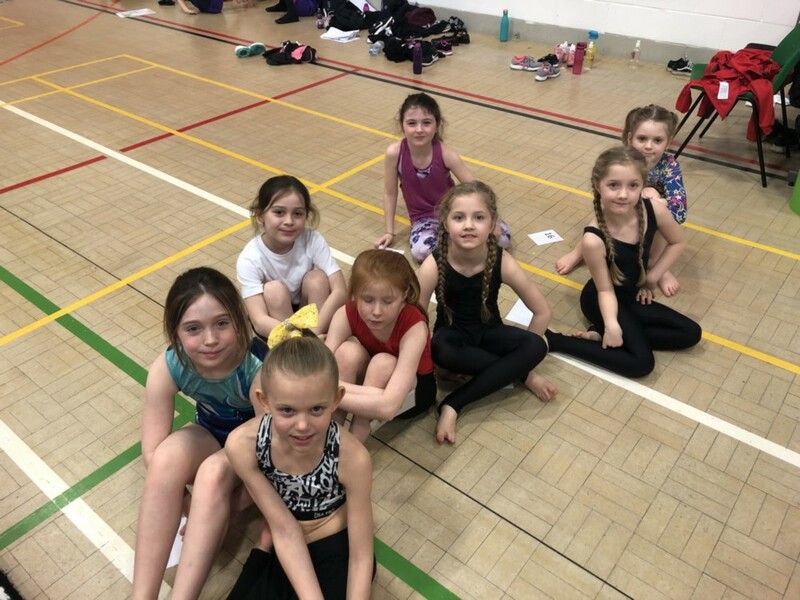 Mrs. Brady would also like to thank Mrs. Warton, Mrs. Wink and Mrs. Bennett for serving all the refreshments and also to Laceby Lodge Spar Shop for their kind donation towards the refreshments. 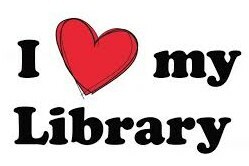 At Stanford we are very lucky to have fabulous links with the Stanford Centre Library and all of the dedicated people who run the library. 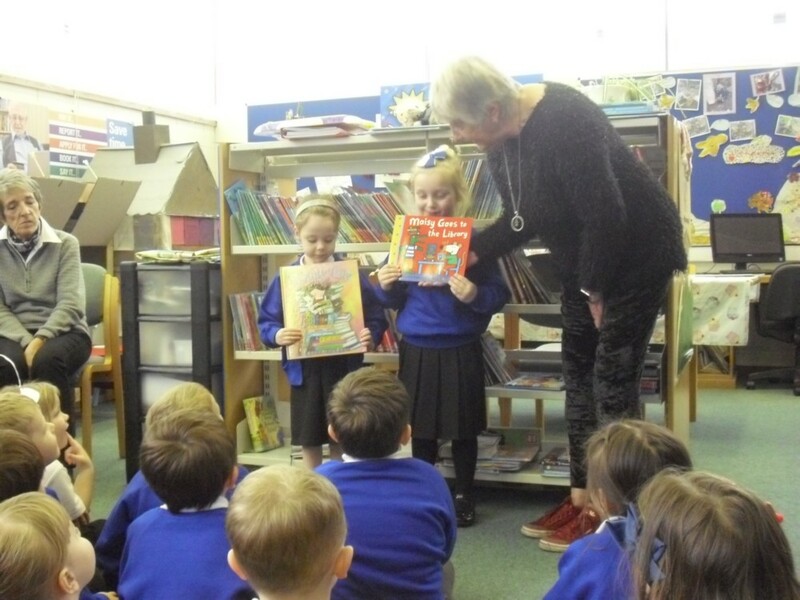 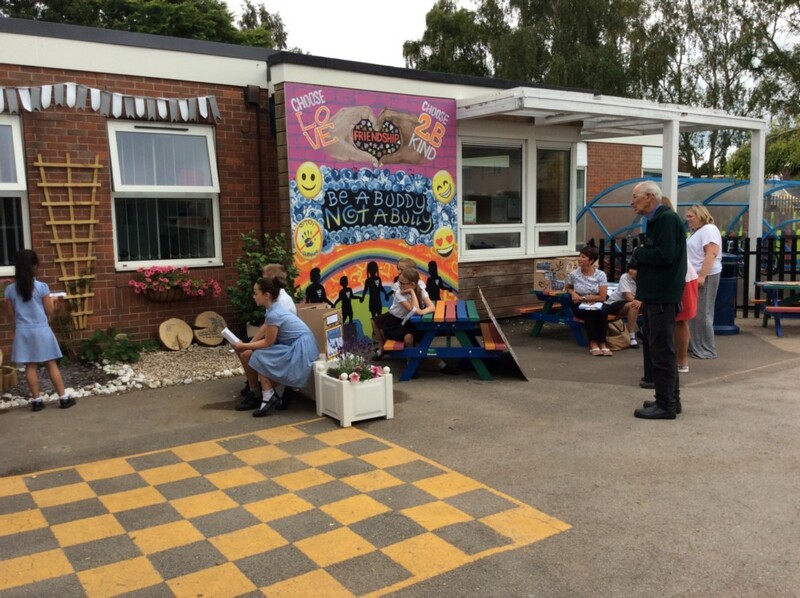 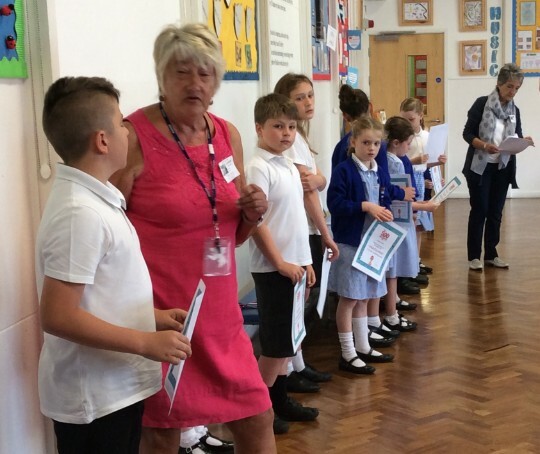 We were delighted to welcome Mrs Wink and Mrs Brumfield into school to introduce the Summer Reading Challenge. 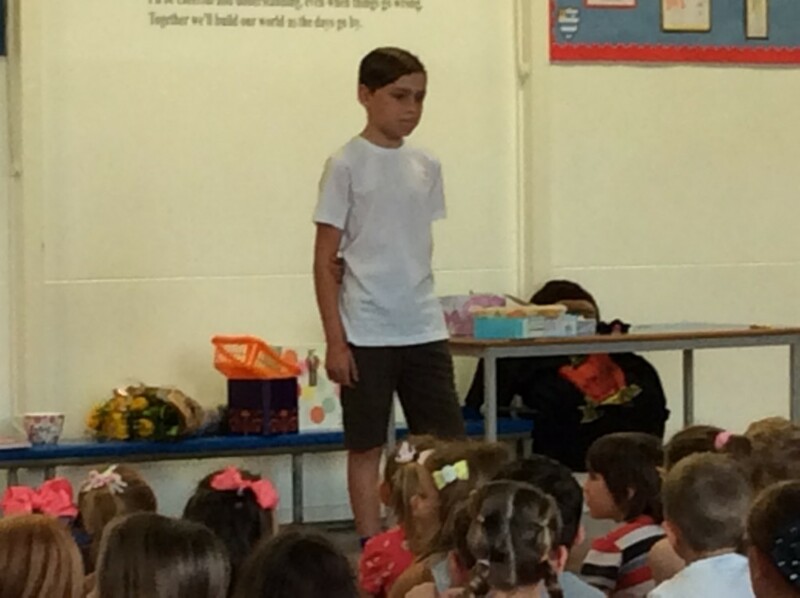 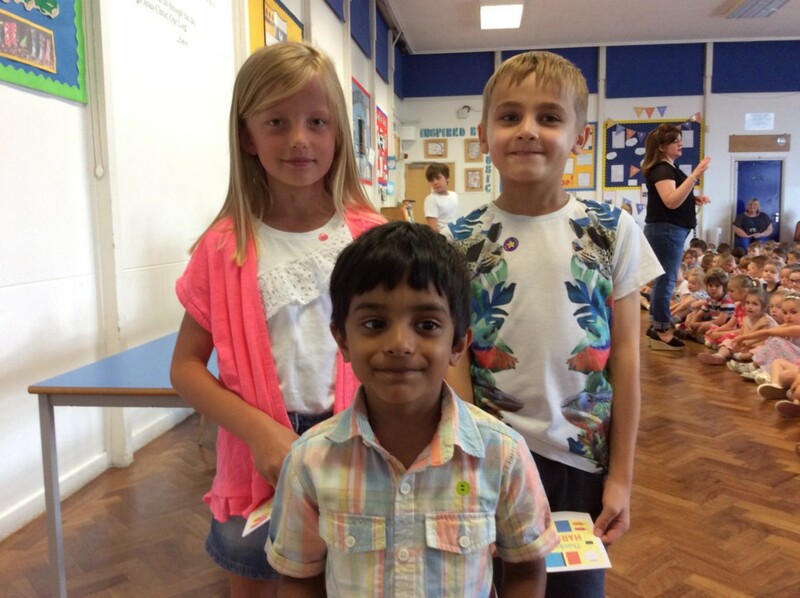 They were both extremely impressed with our fantastic assembly behaviour. 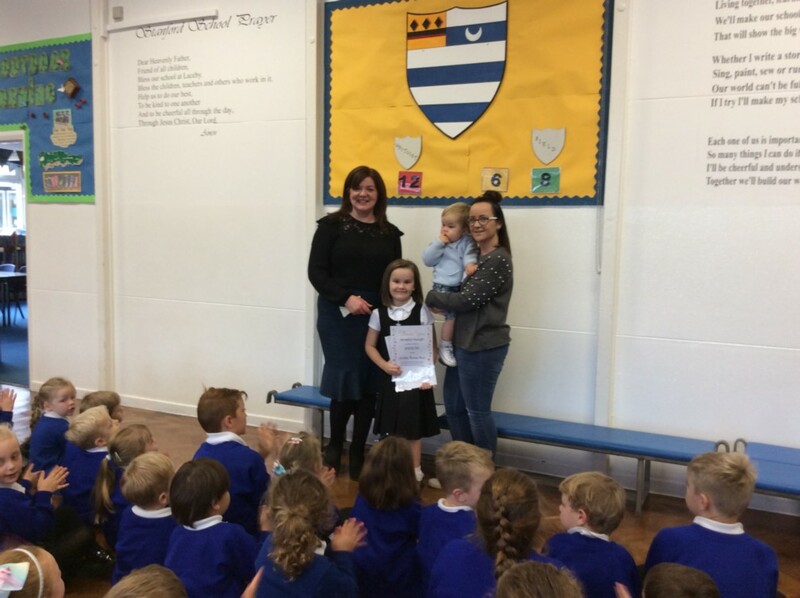 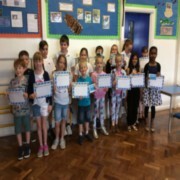 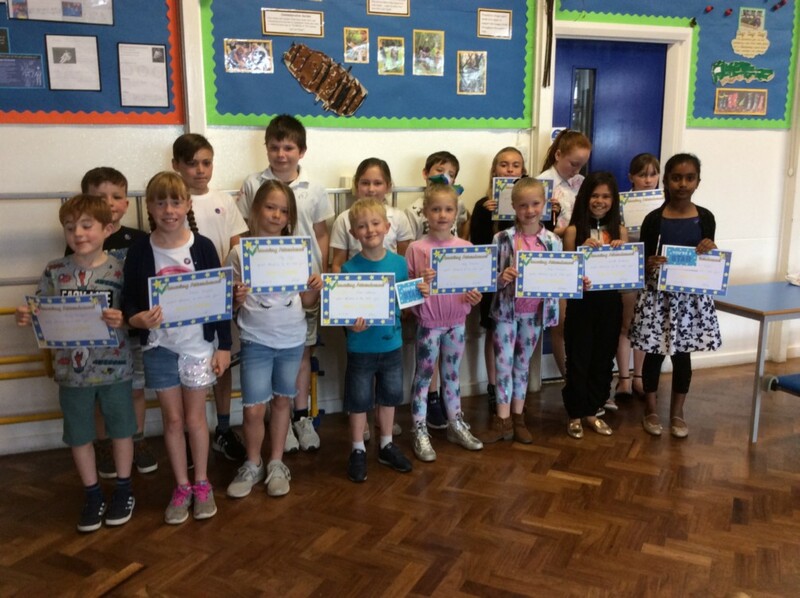 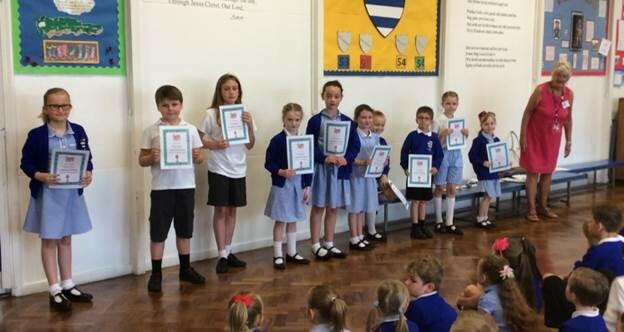 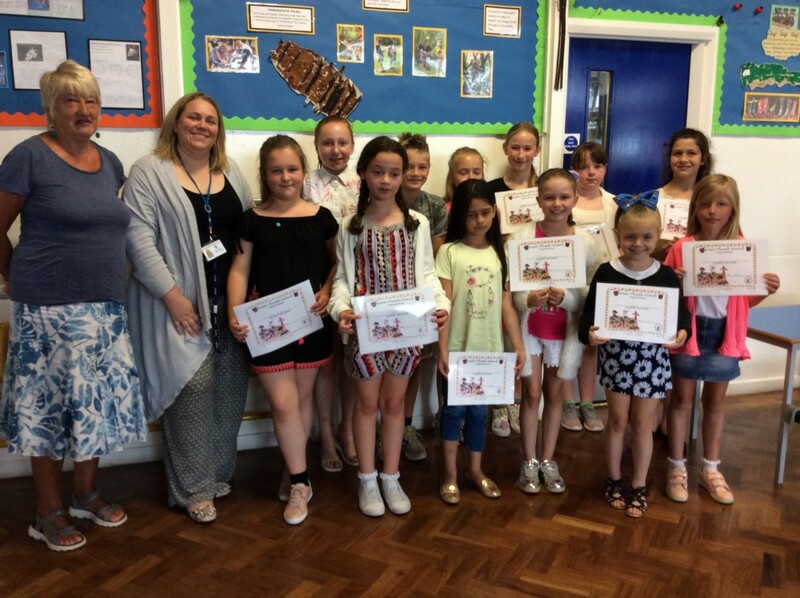 Mrs Wink presented certificates to the children who had participated in the 500 word challenge. 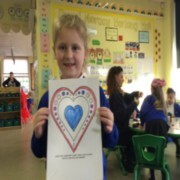 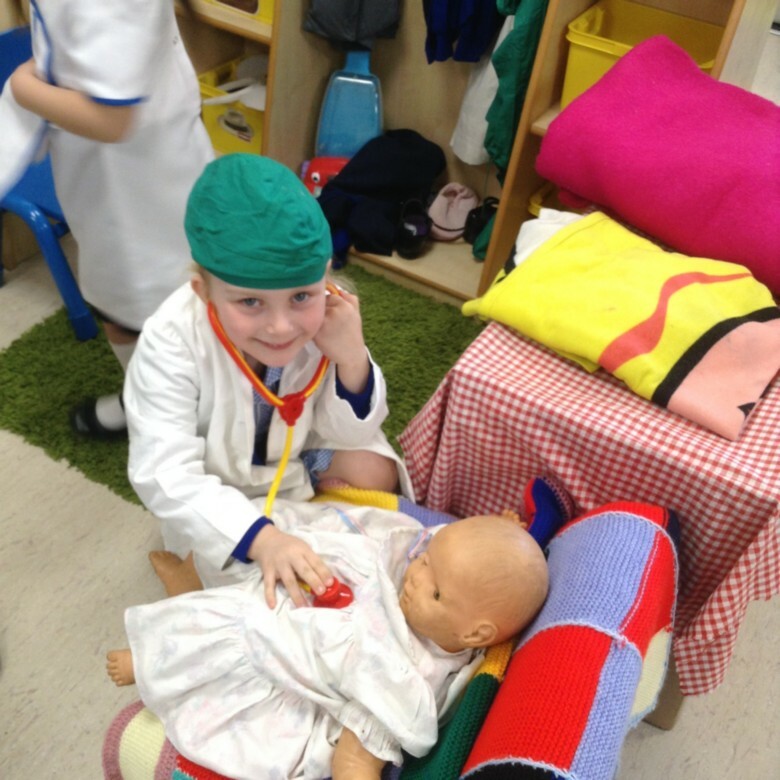 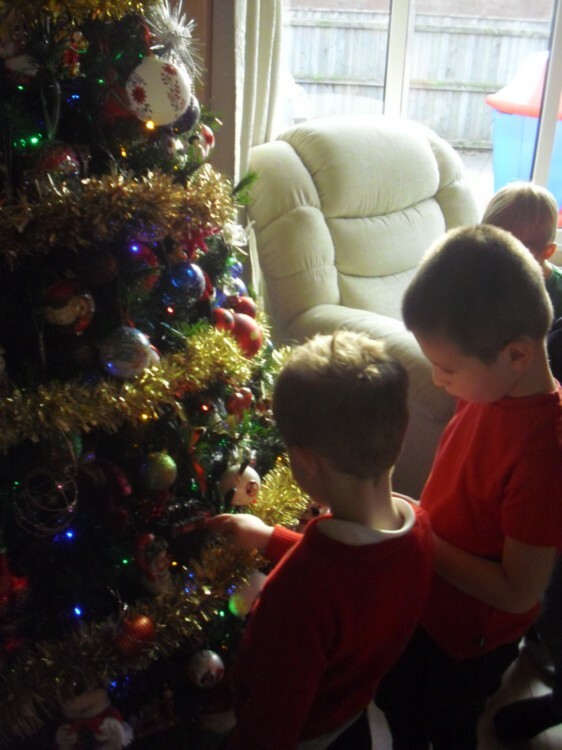 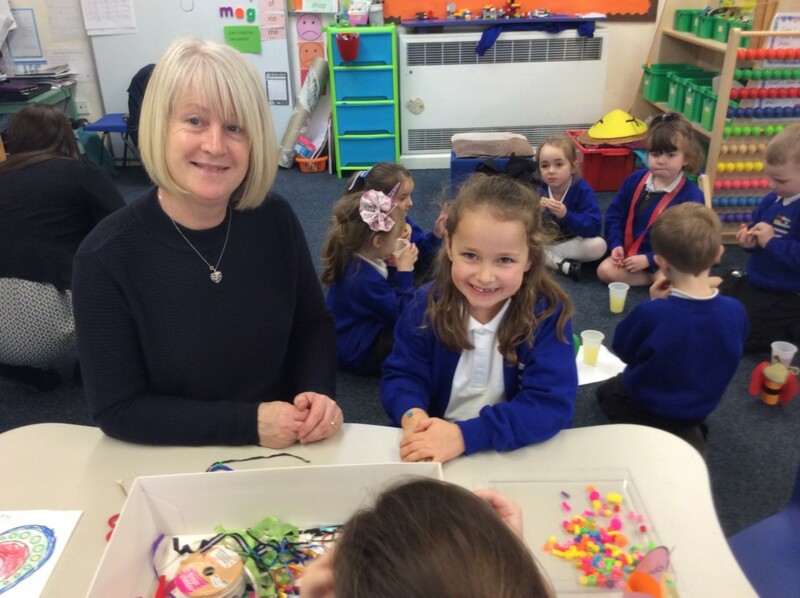 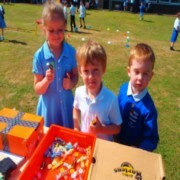 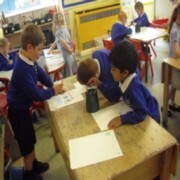 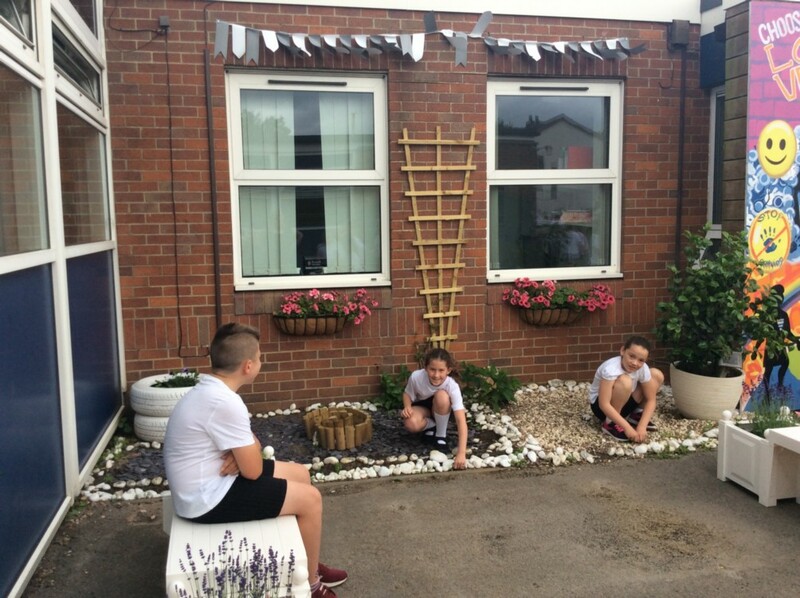 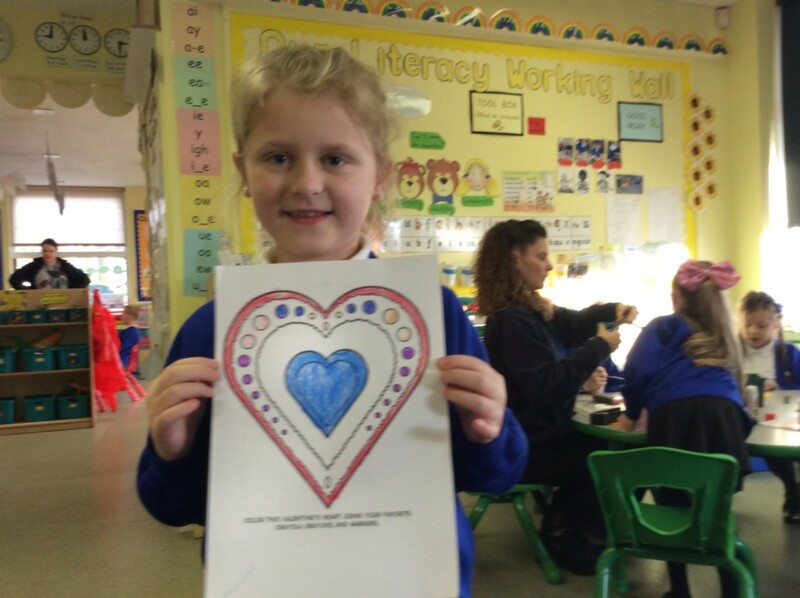 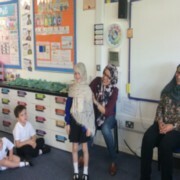 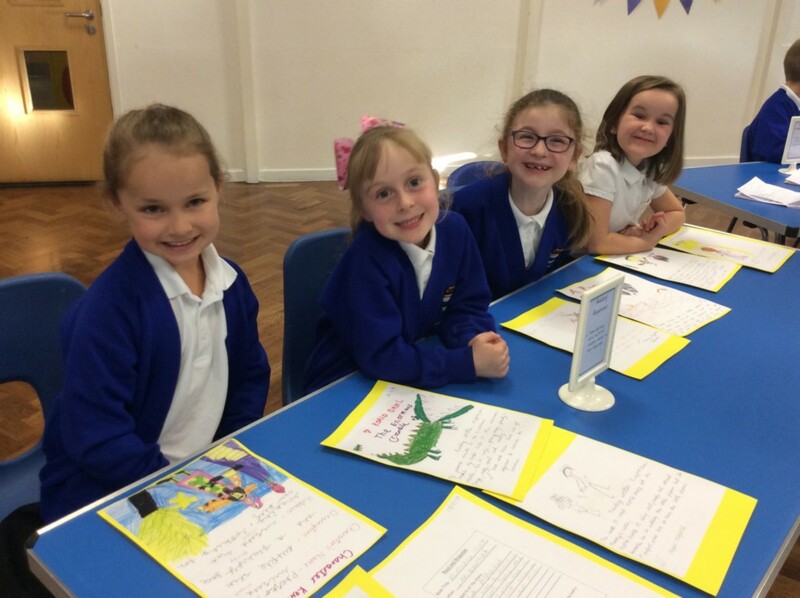 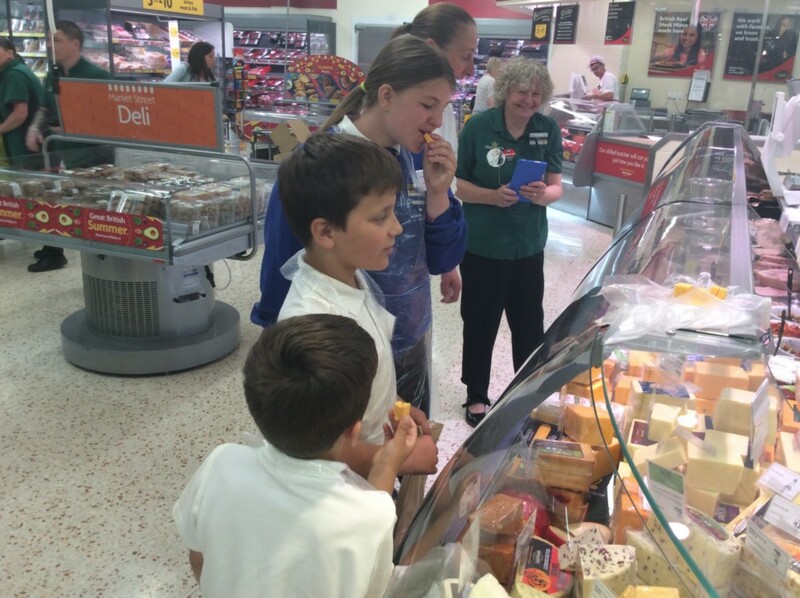 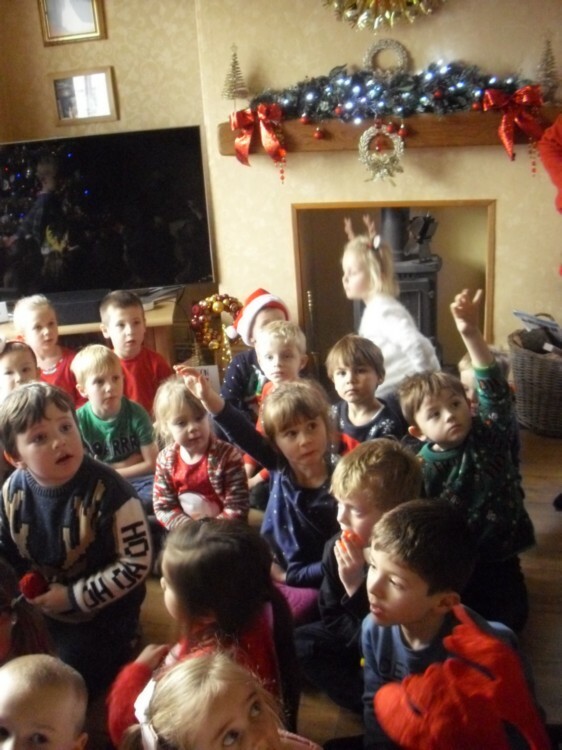 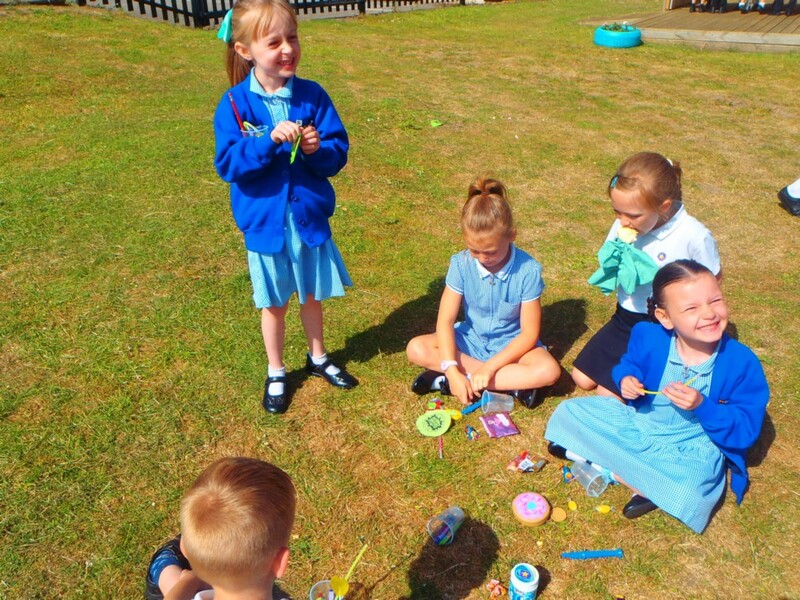 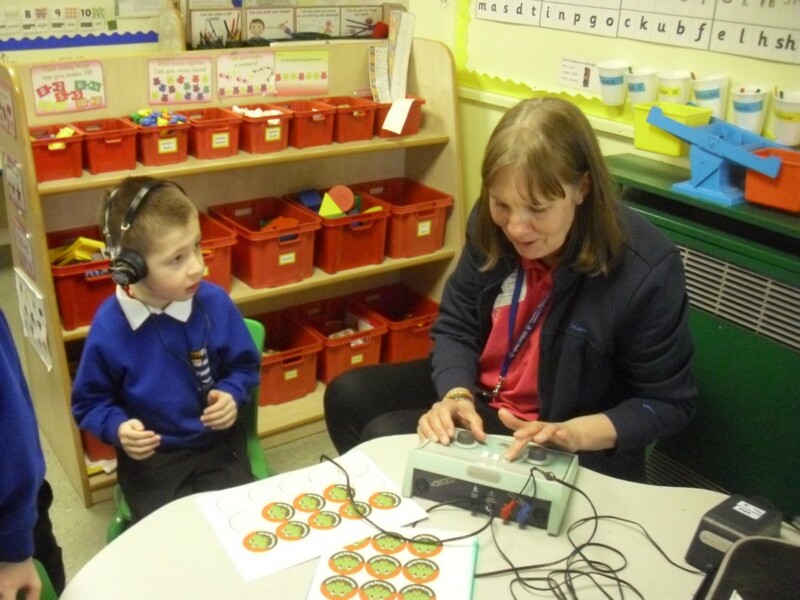 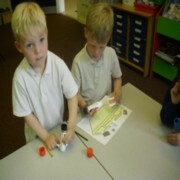 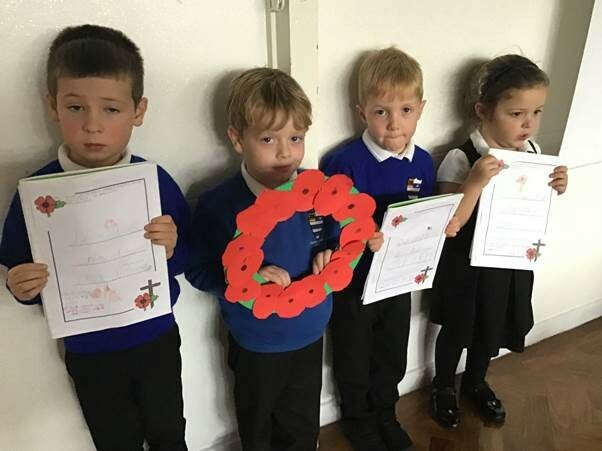 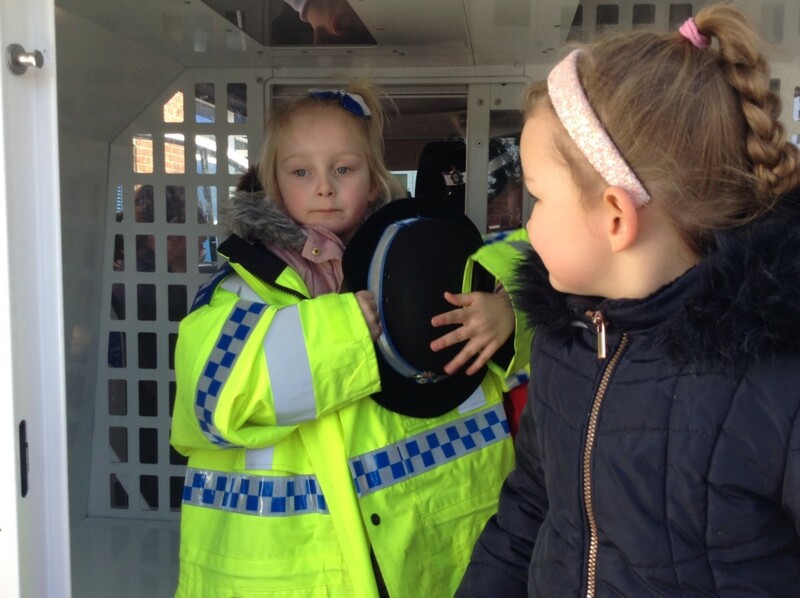 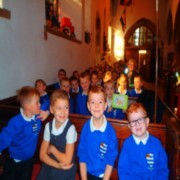 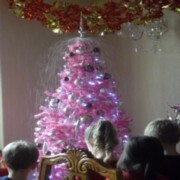 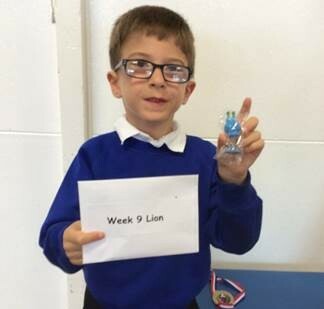 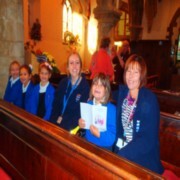 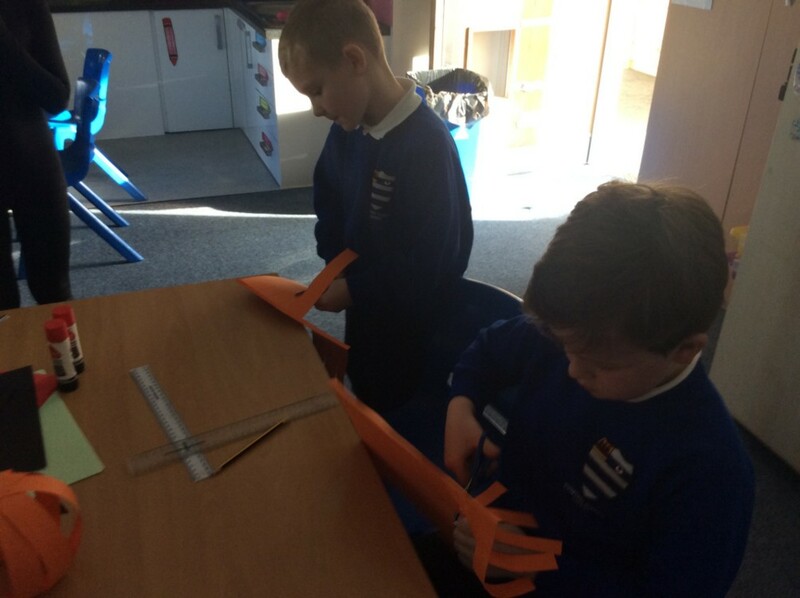 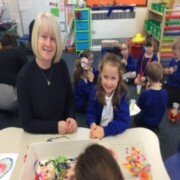 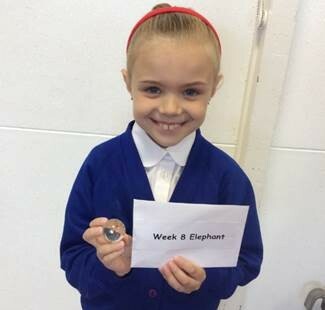 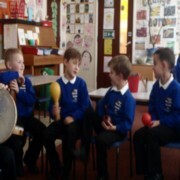 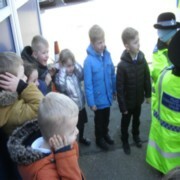 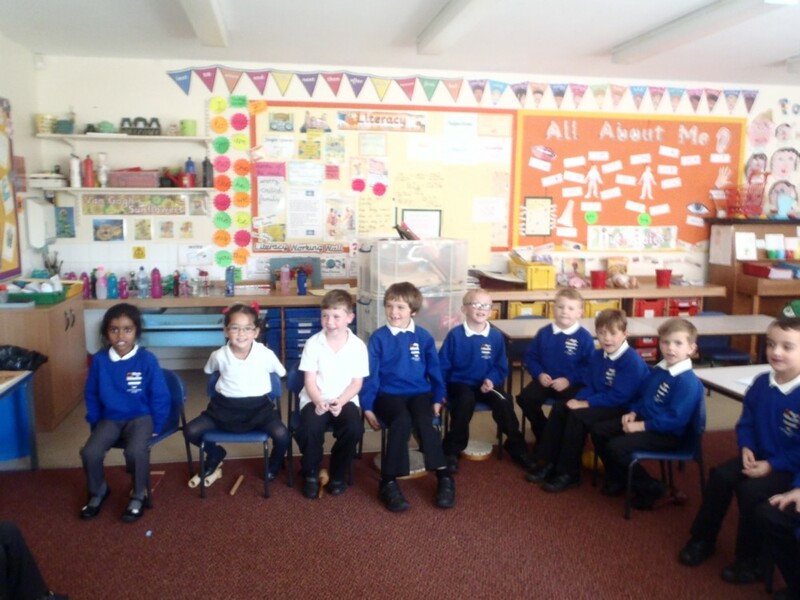 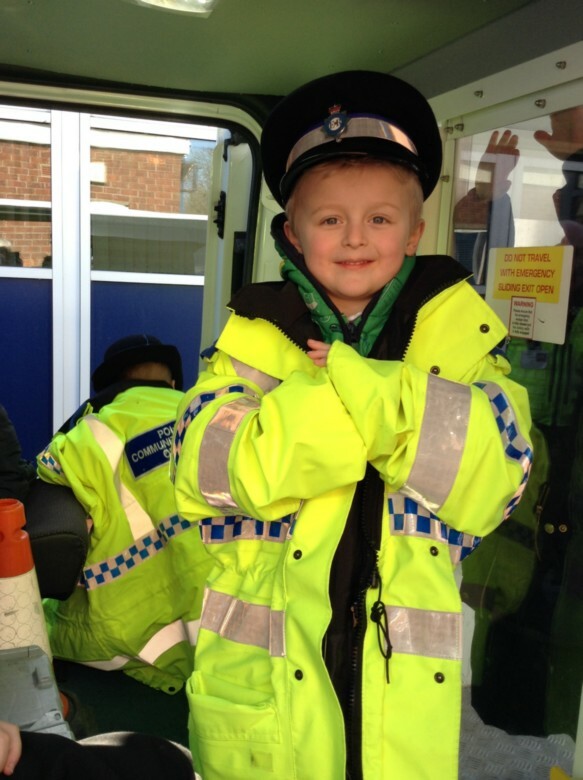 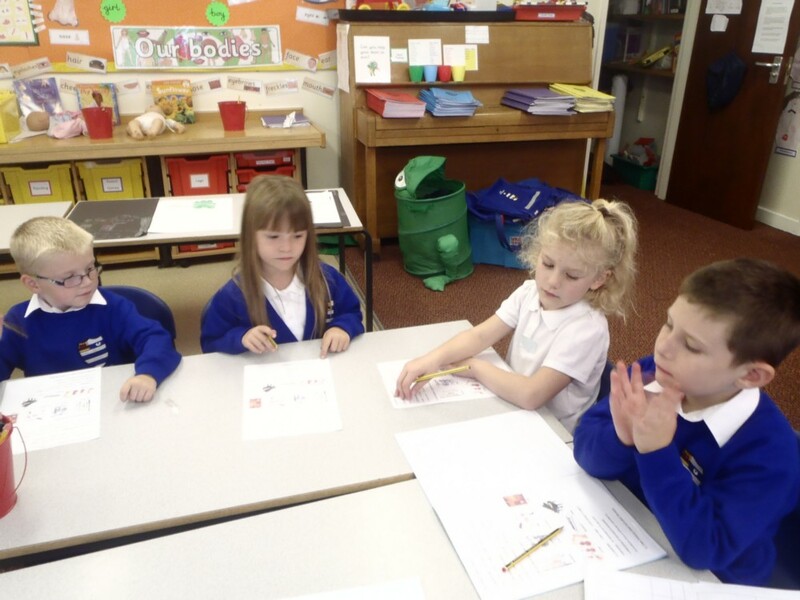 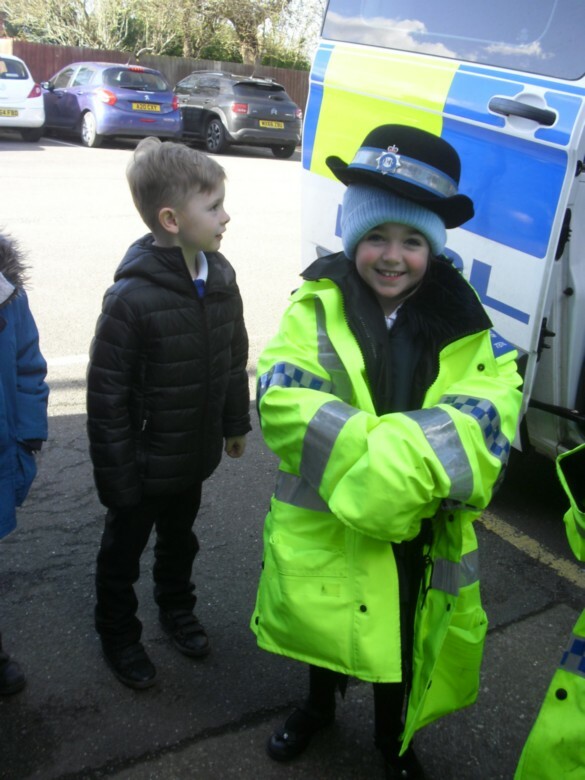 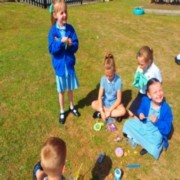 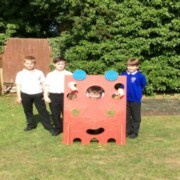 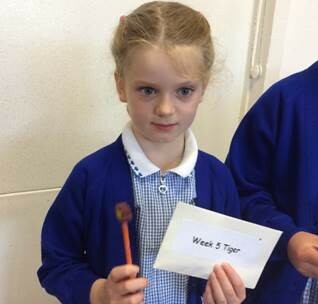 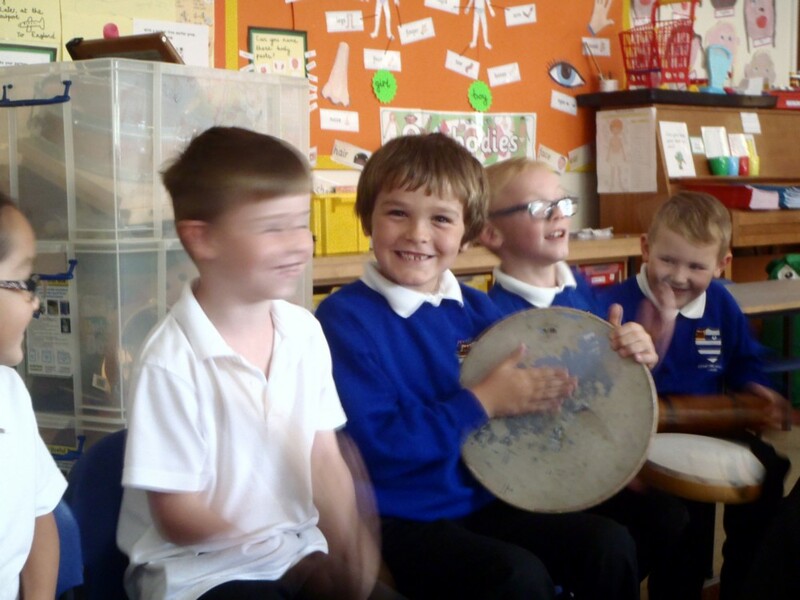 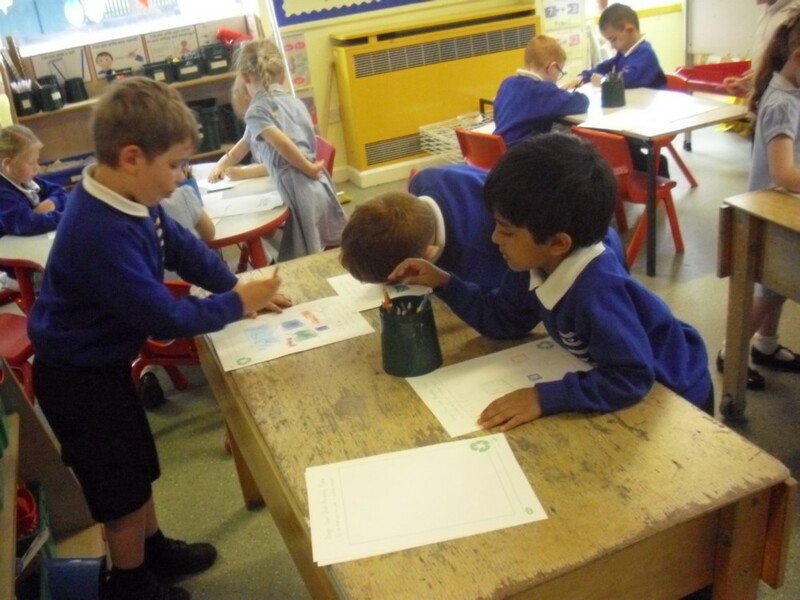 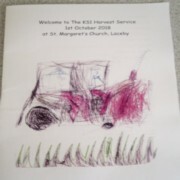 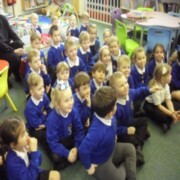 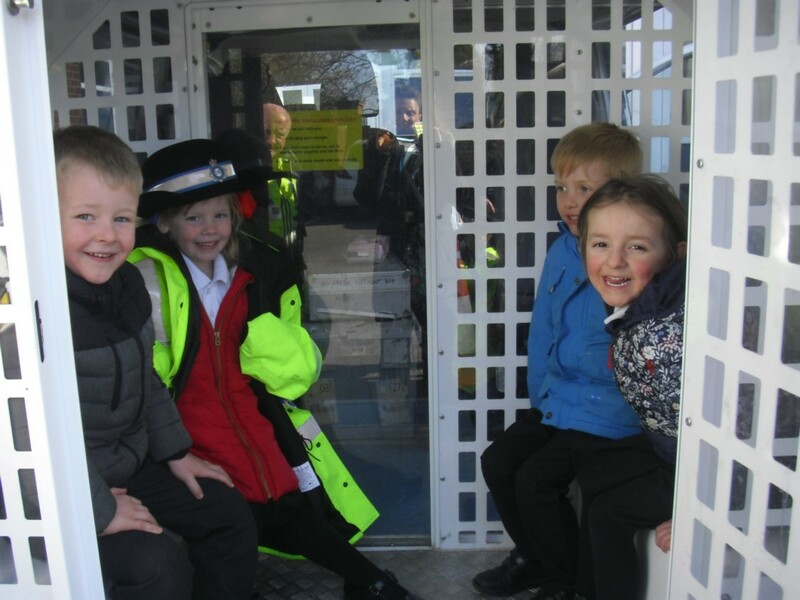 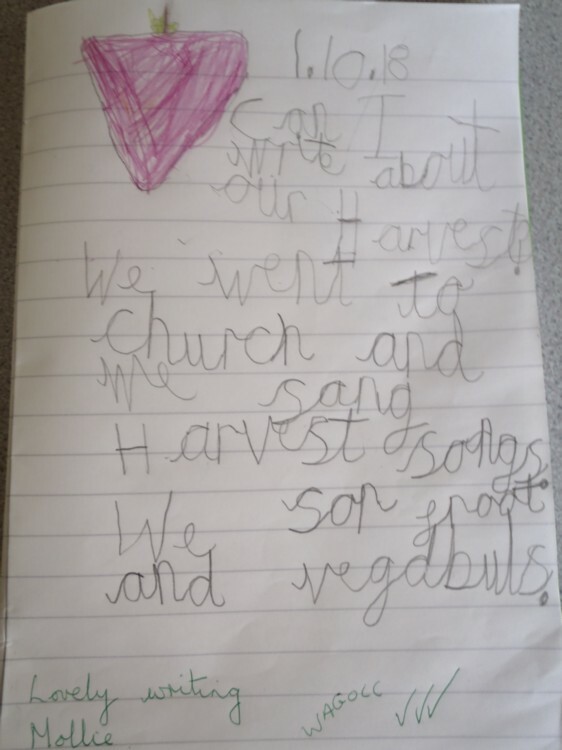 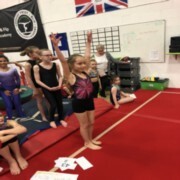 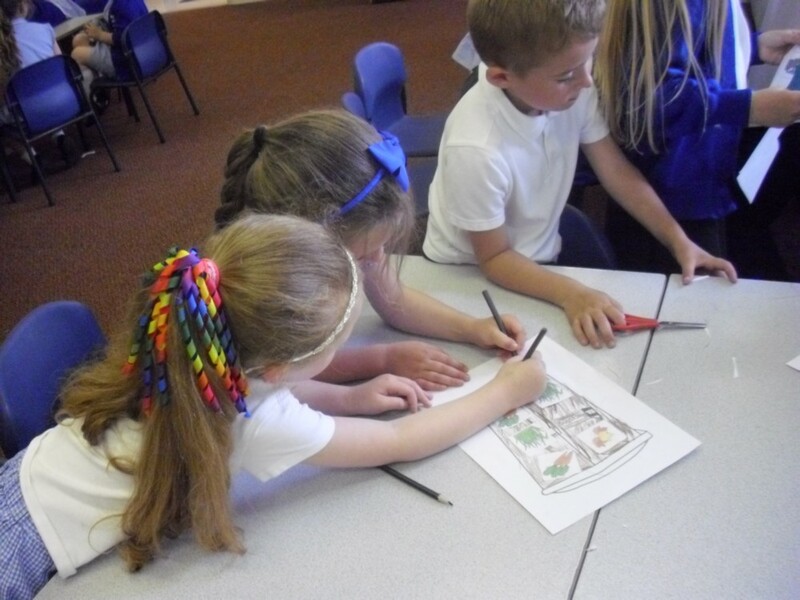 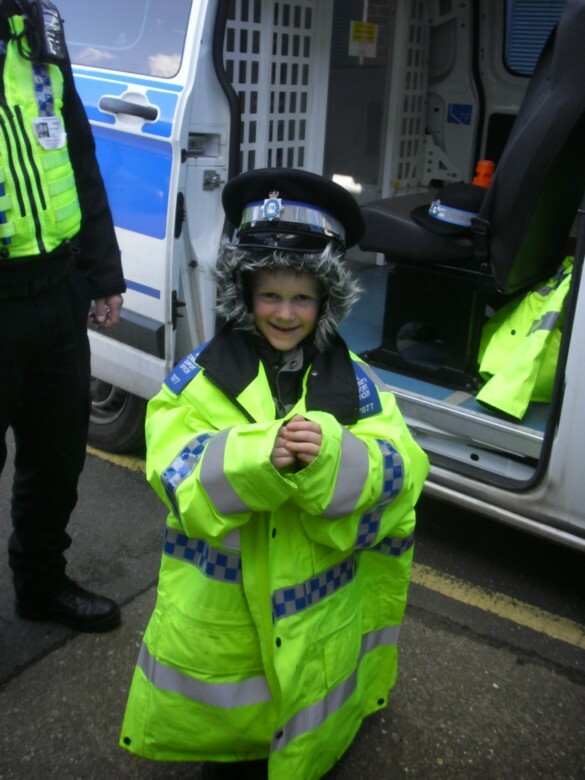 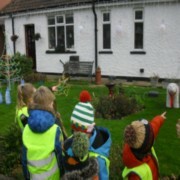 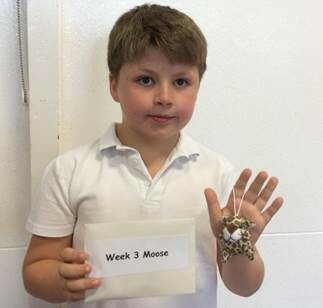 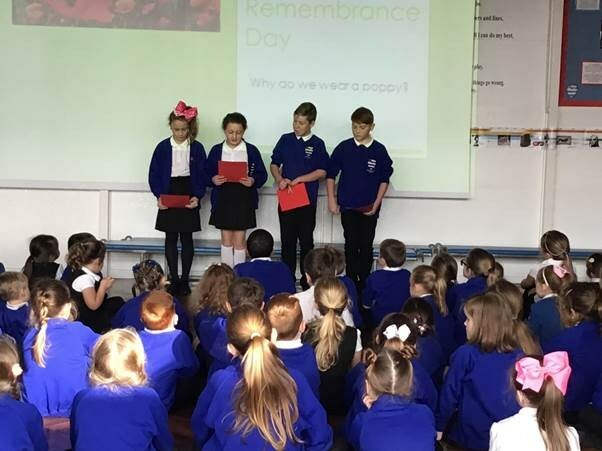 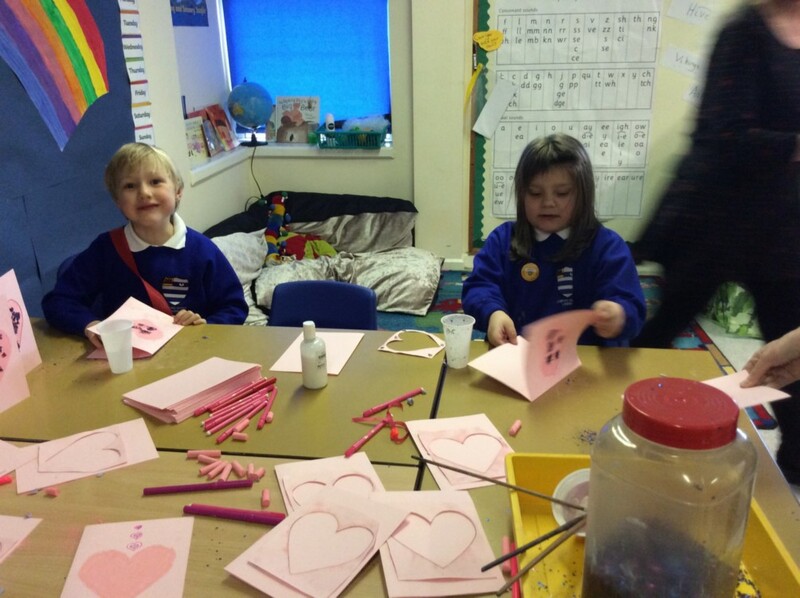 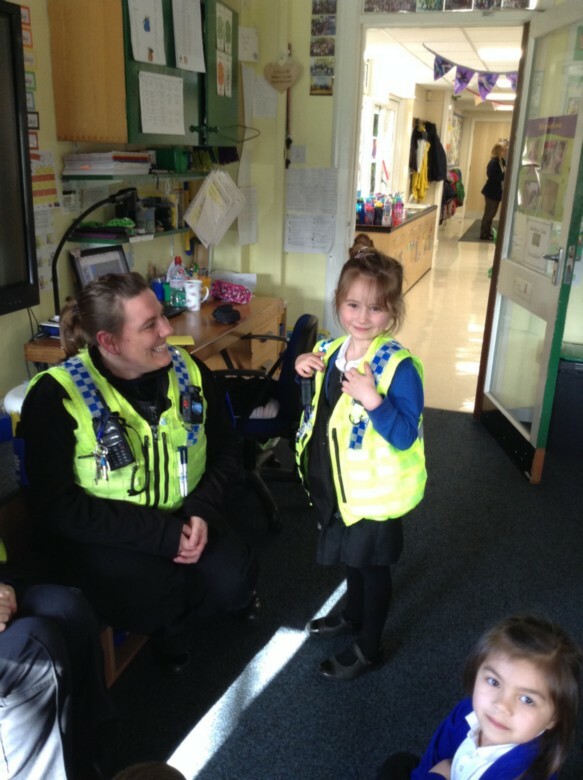 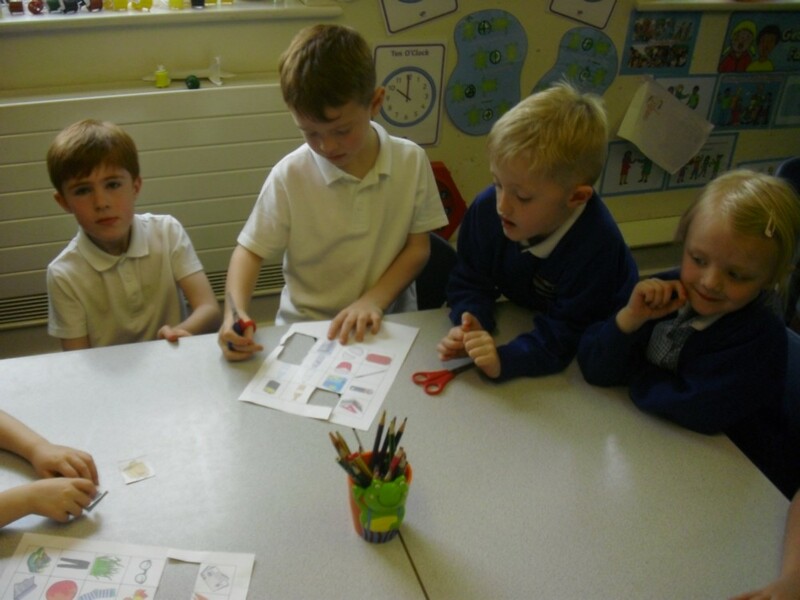 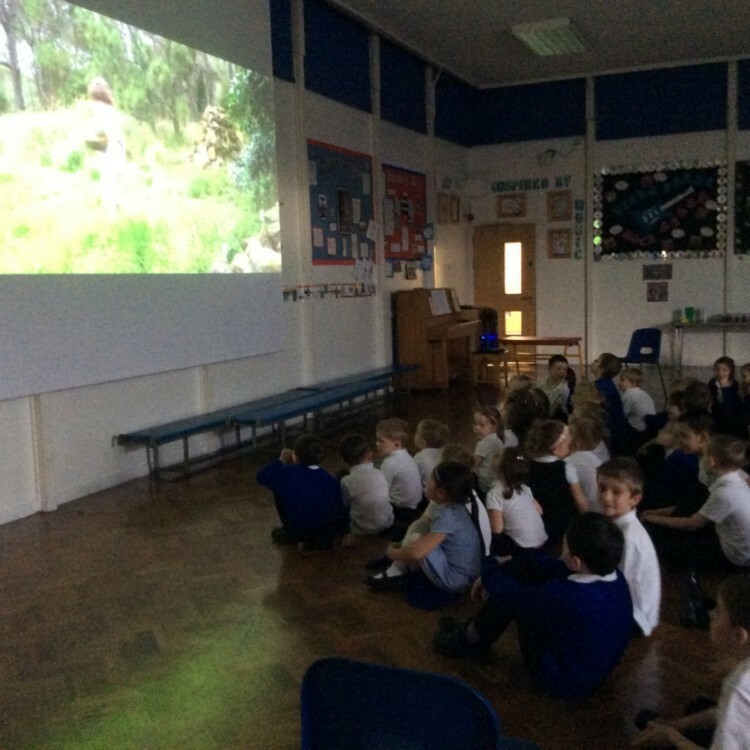 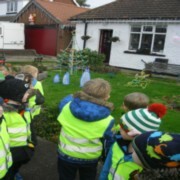 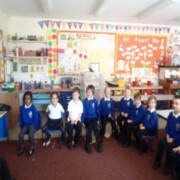 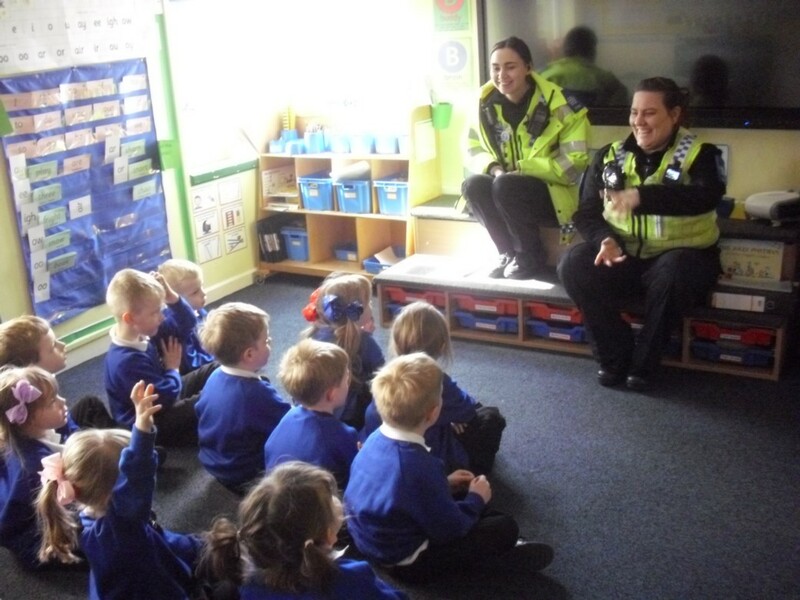 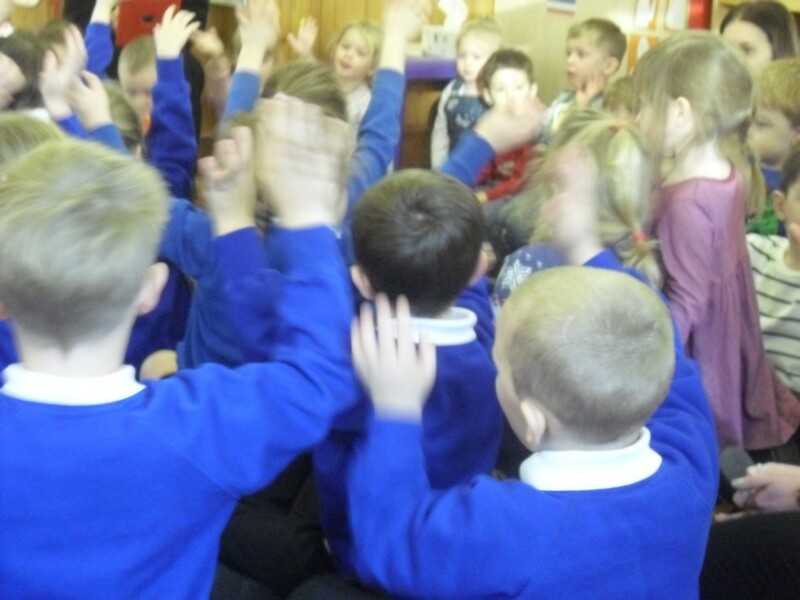 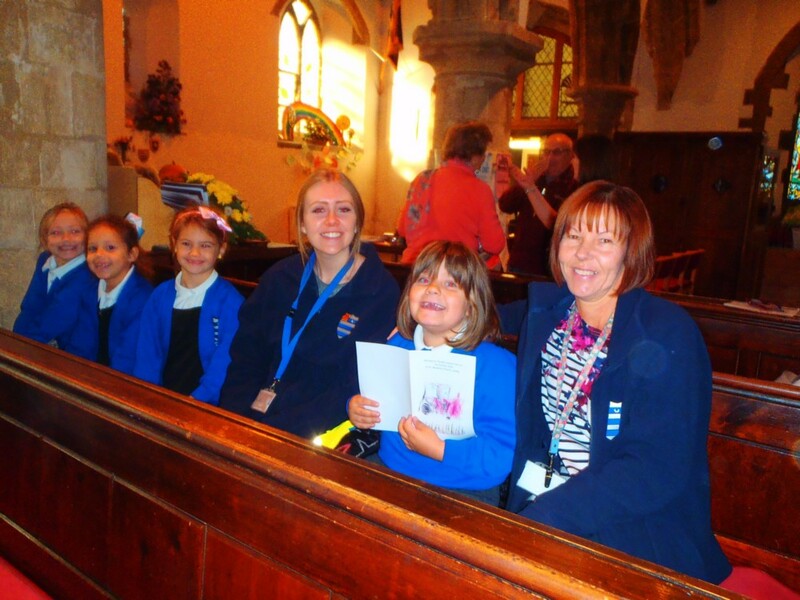 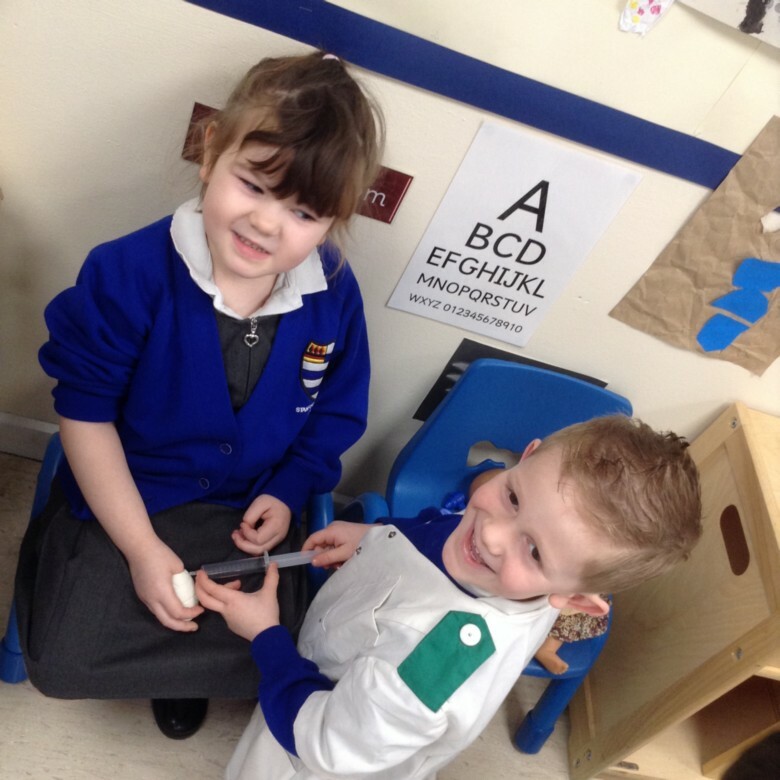 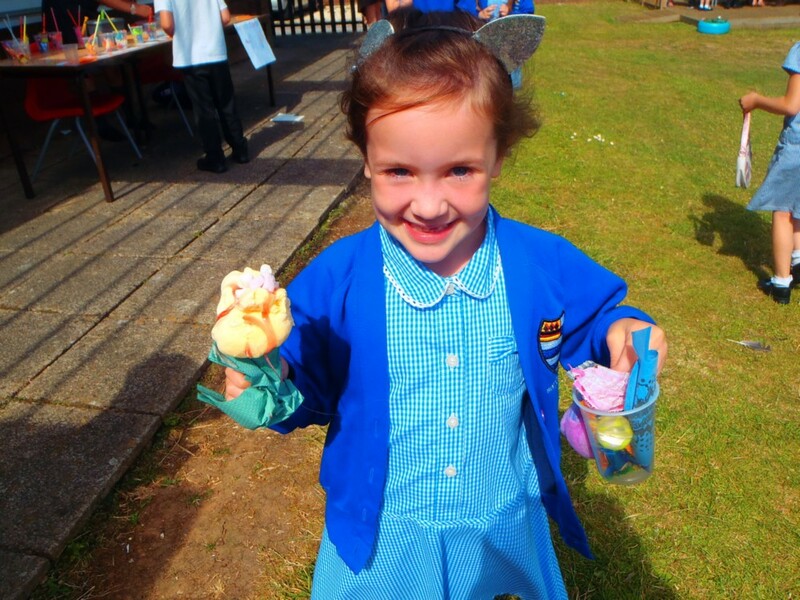 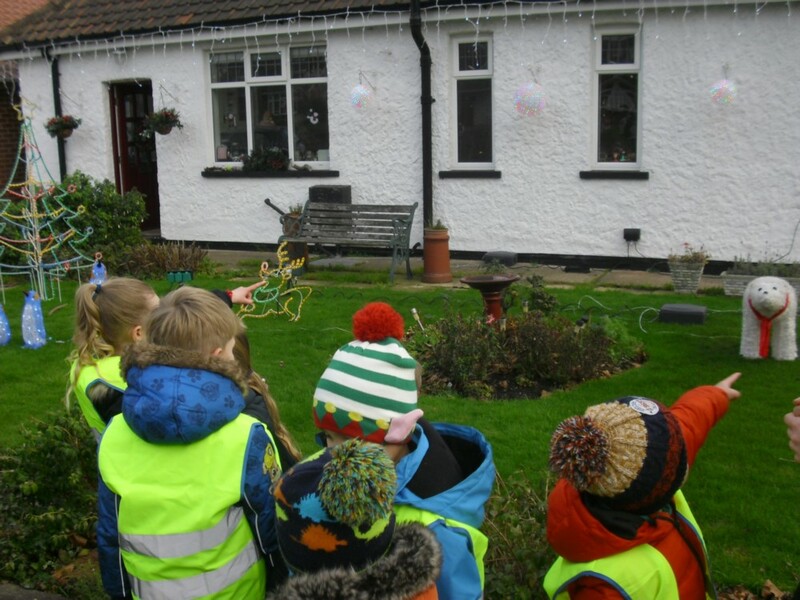 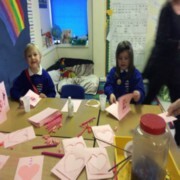 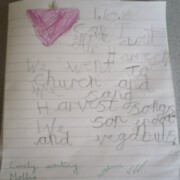 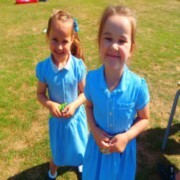 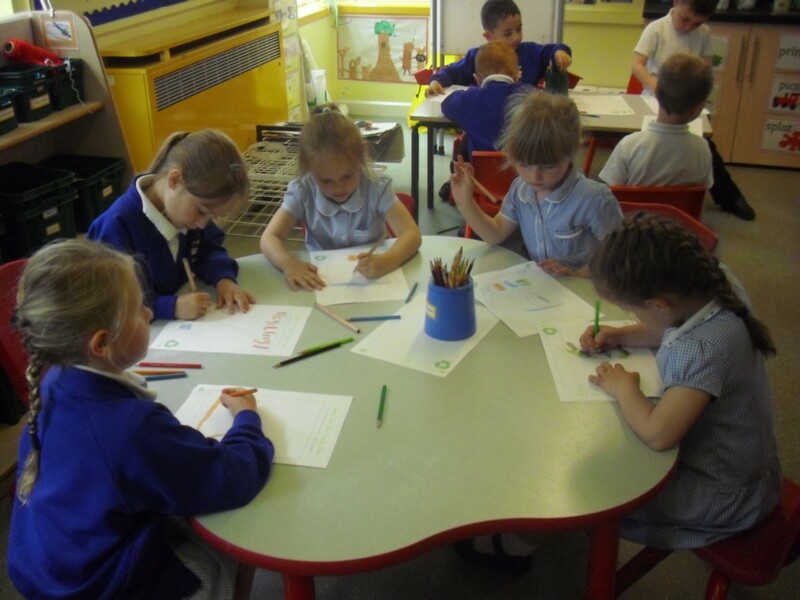 These children talked about how proud they were and how much they had enjoyed this activity. 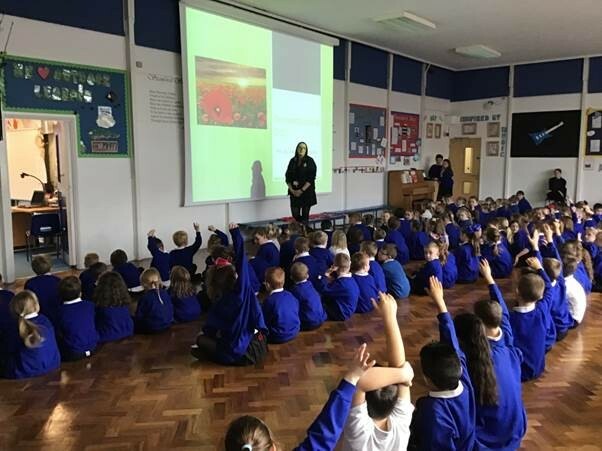 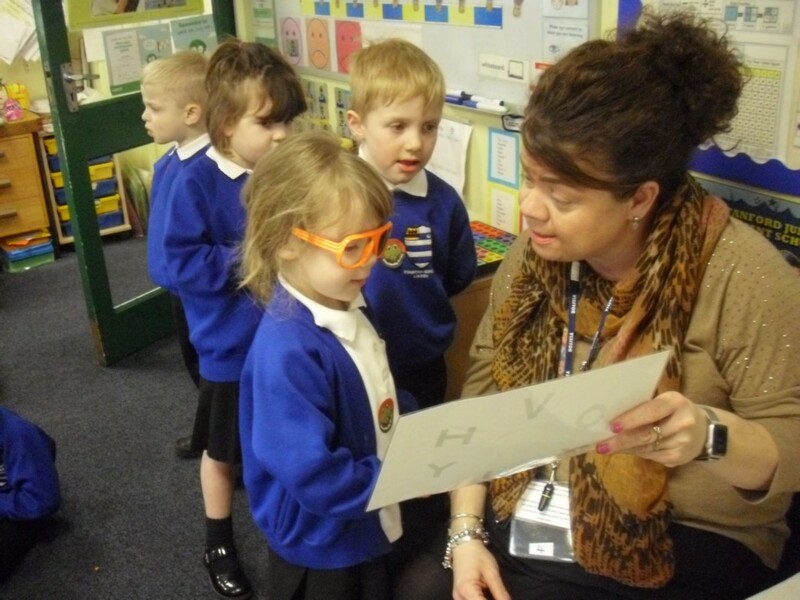 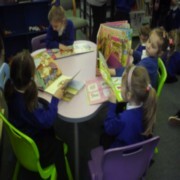 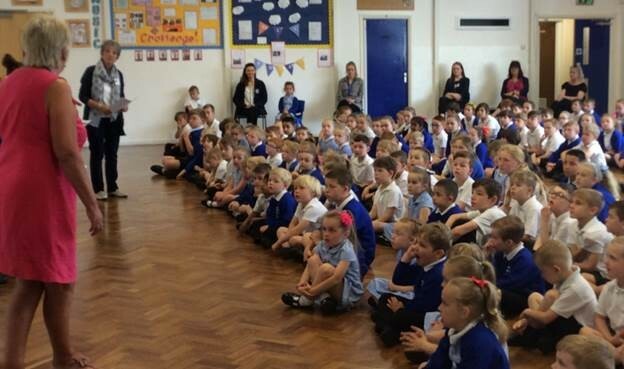 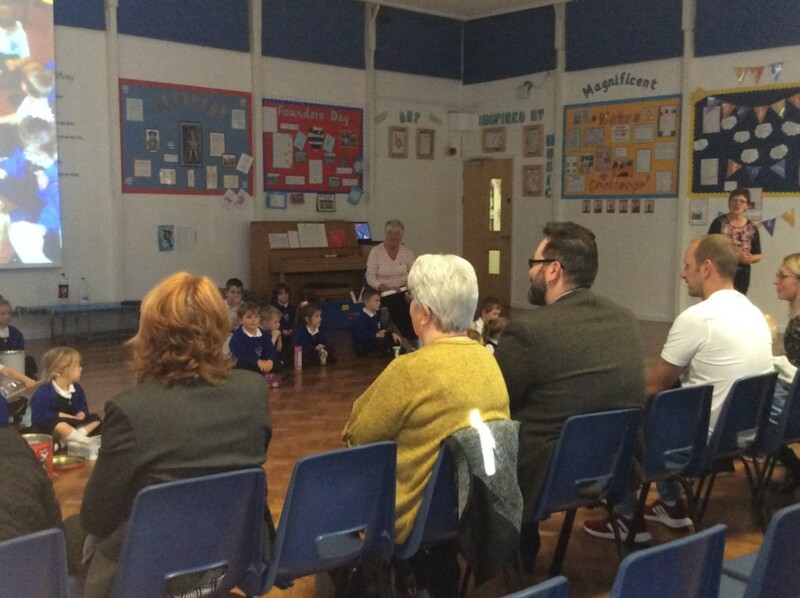 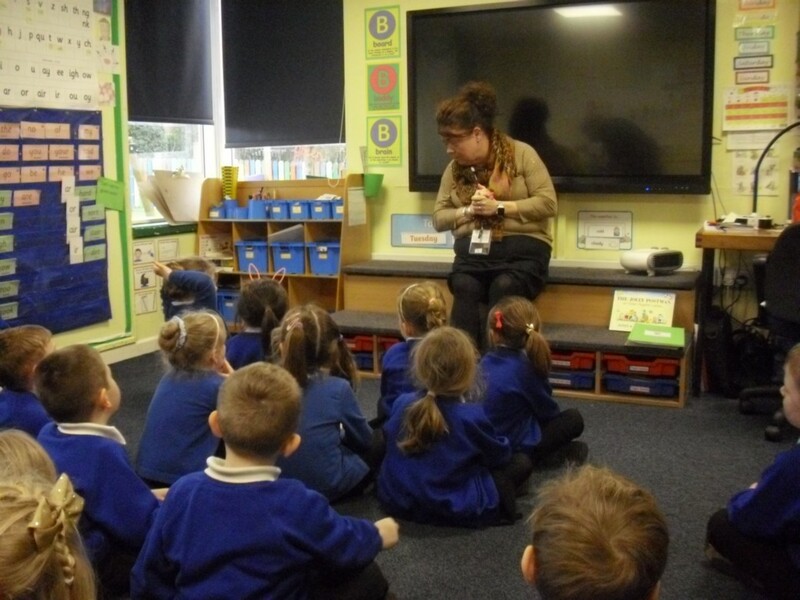 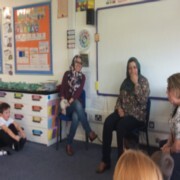 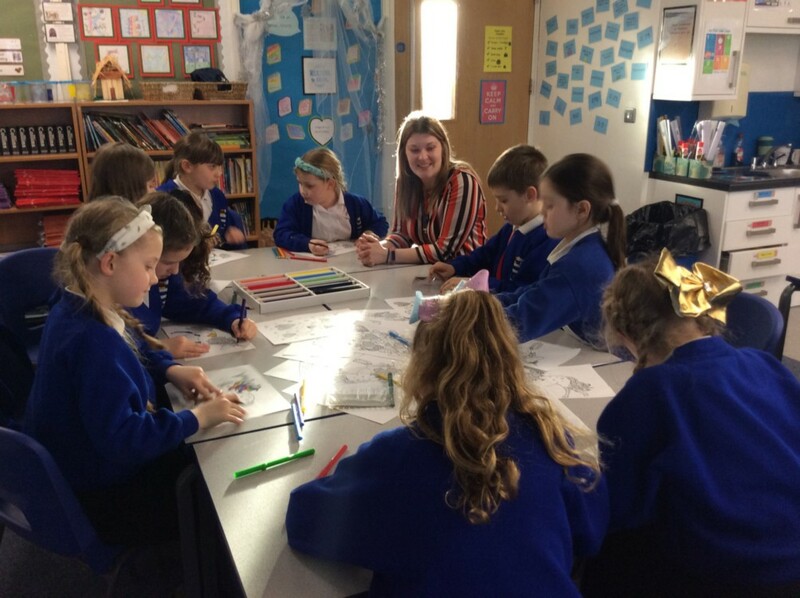 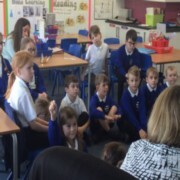 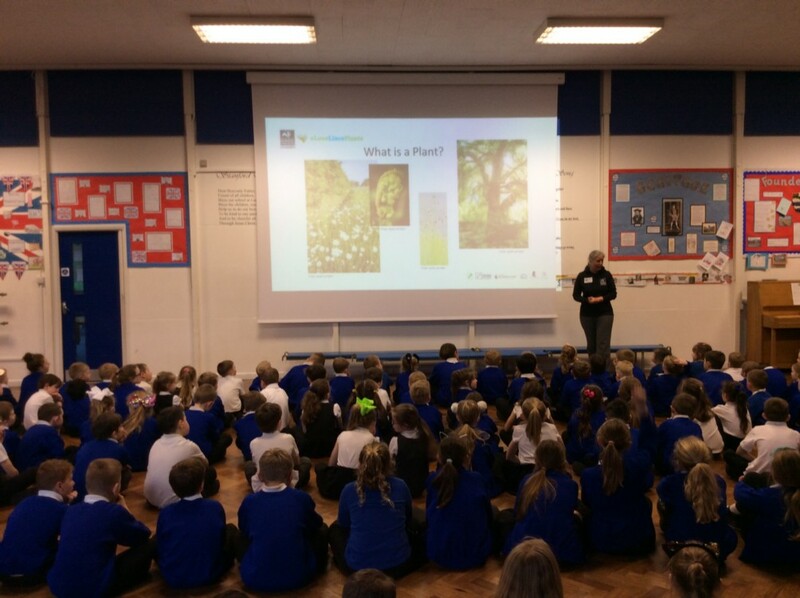 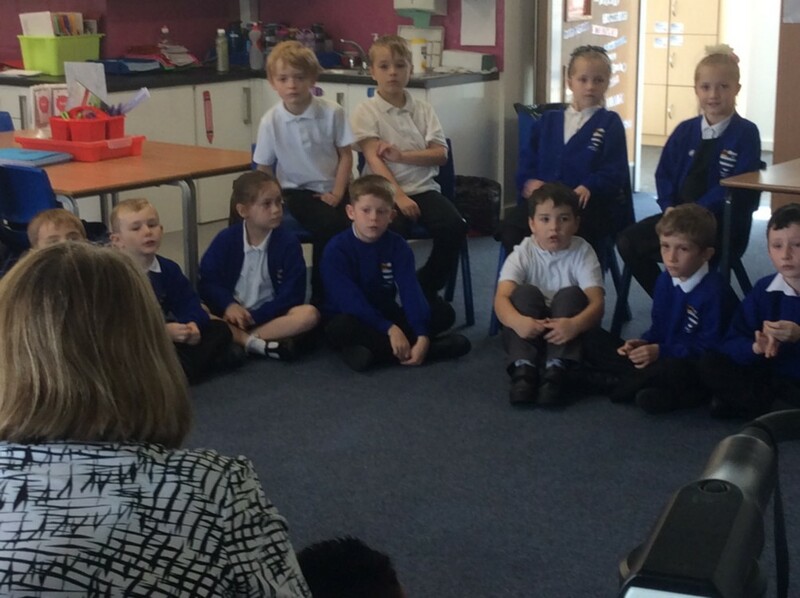 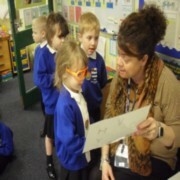 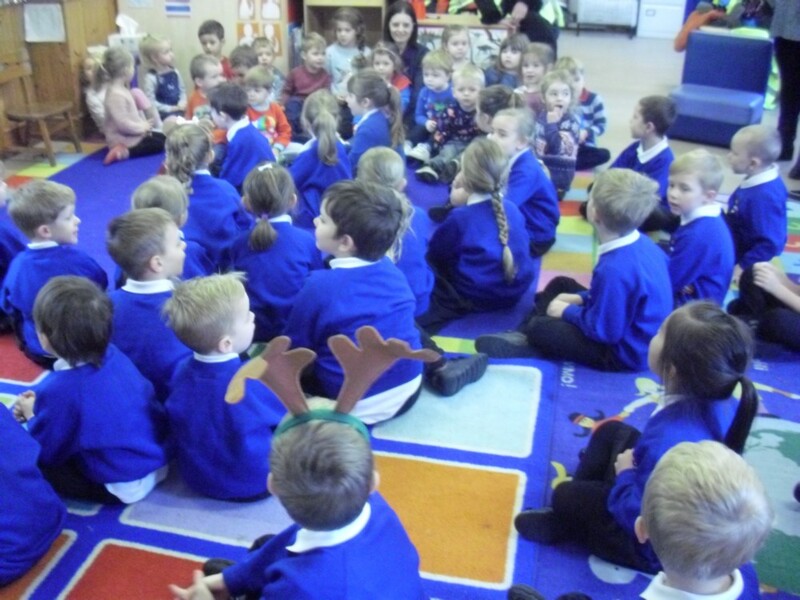 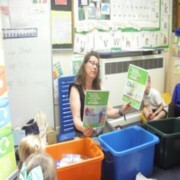 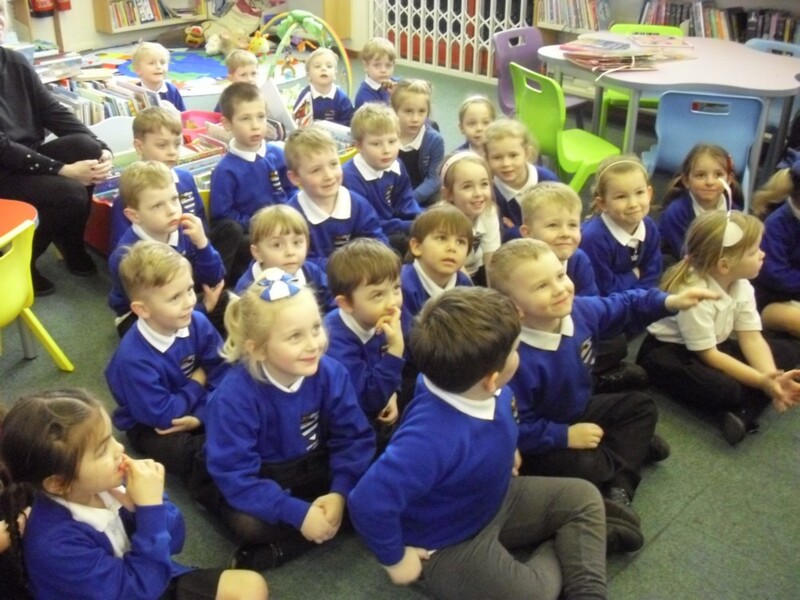 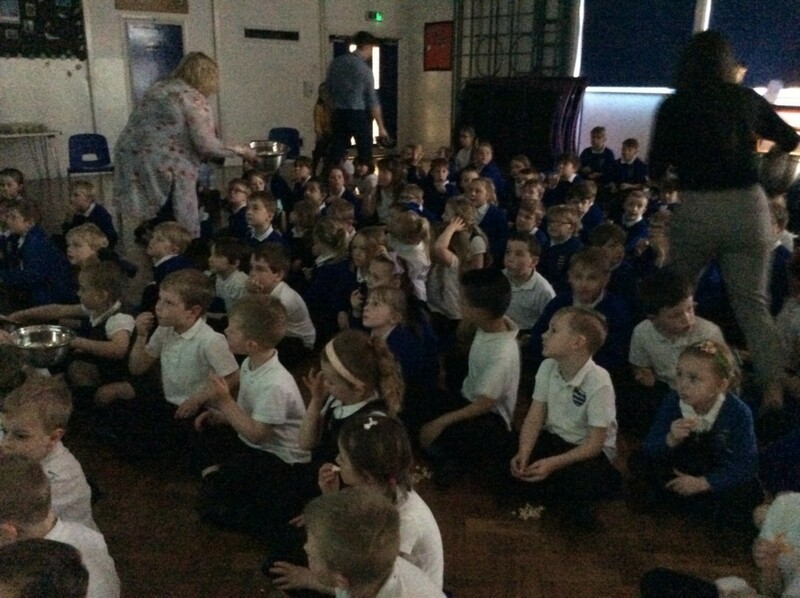 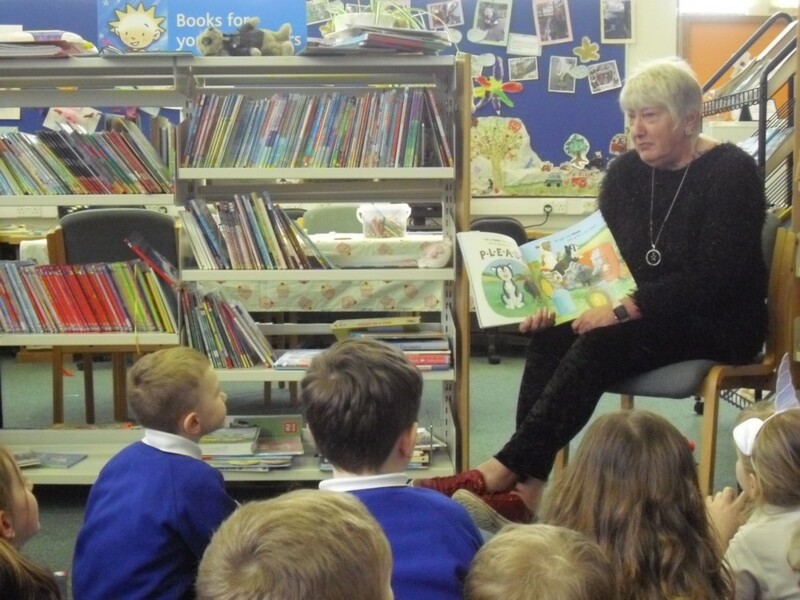 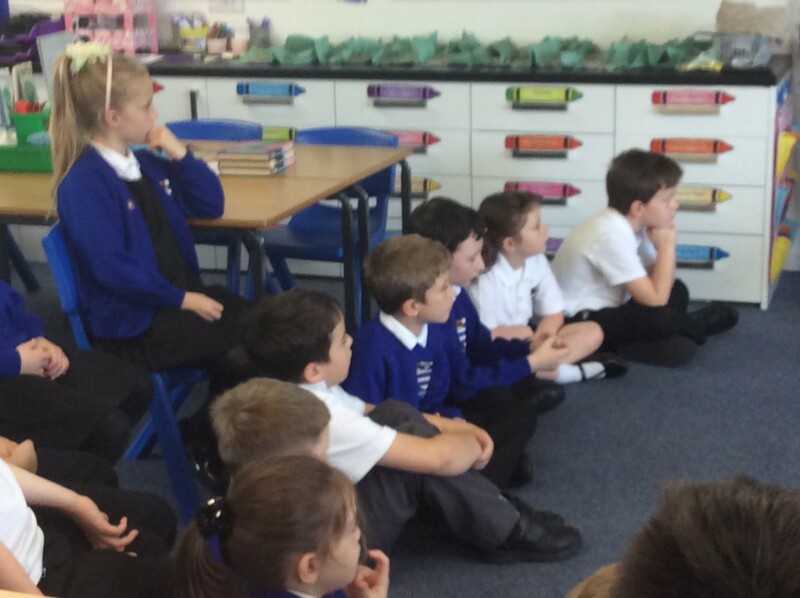 The children and staff listened intently as Mrs Brumfield and Mrs Wink explained how the reading challenge would run. 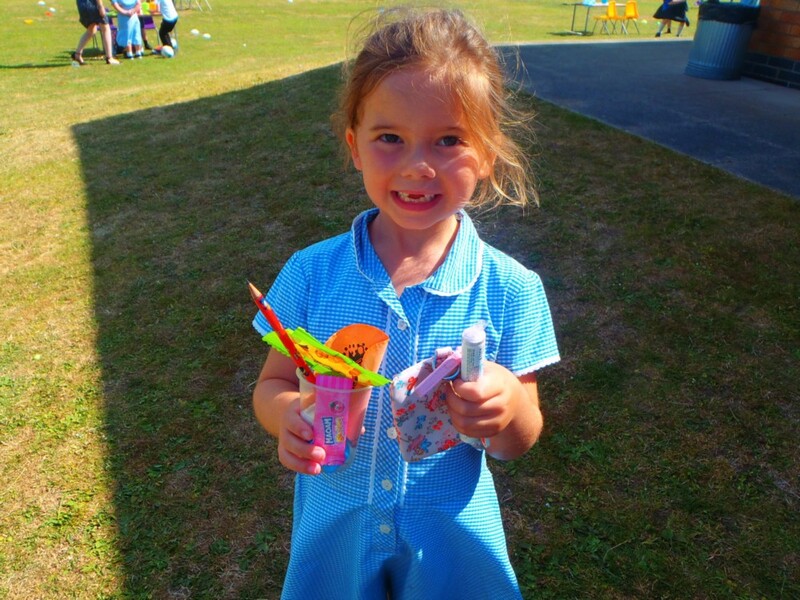 Take a look at all of the magnificent rewards that everyone who takes part will receive. 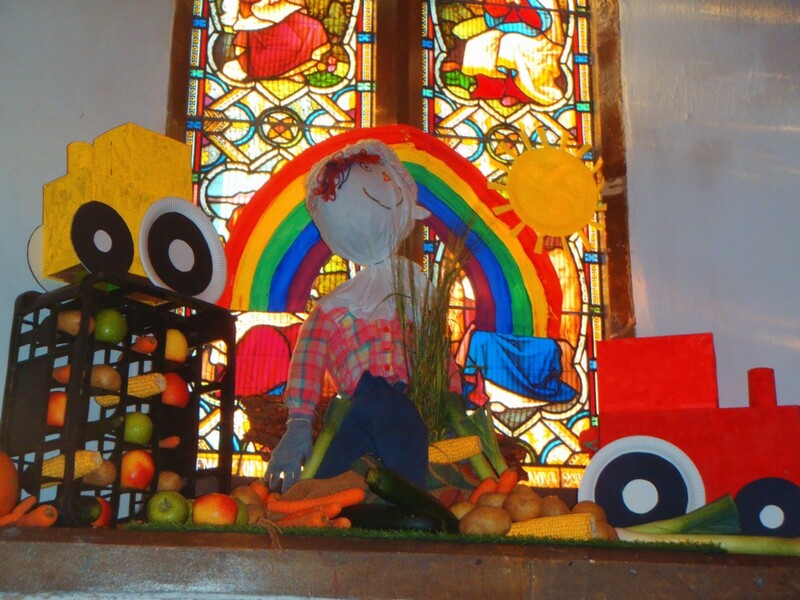 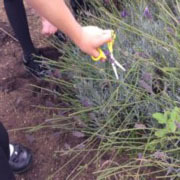 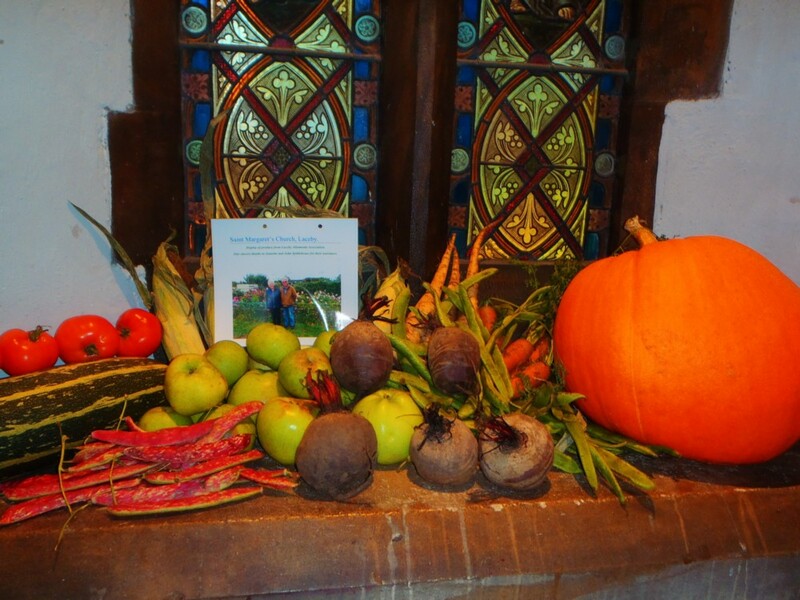 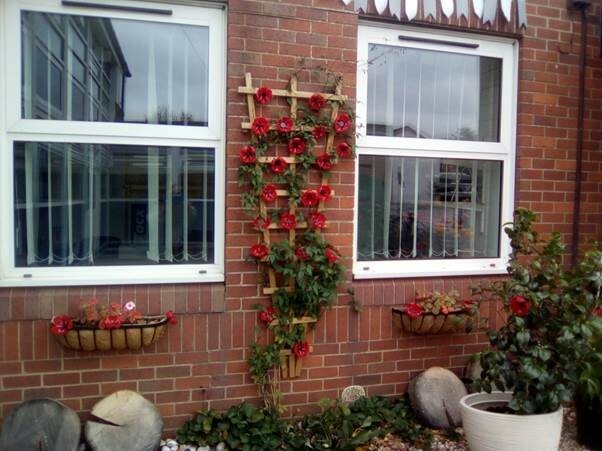 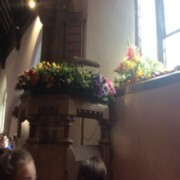 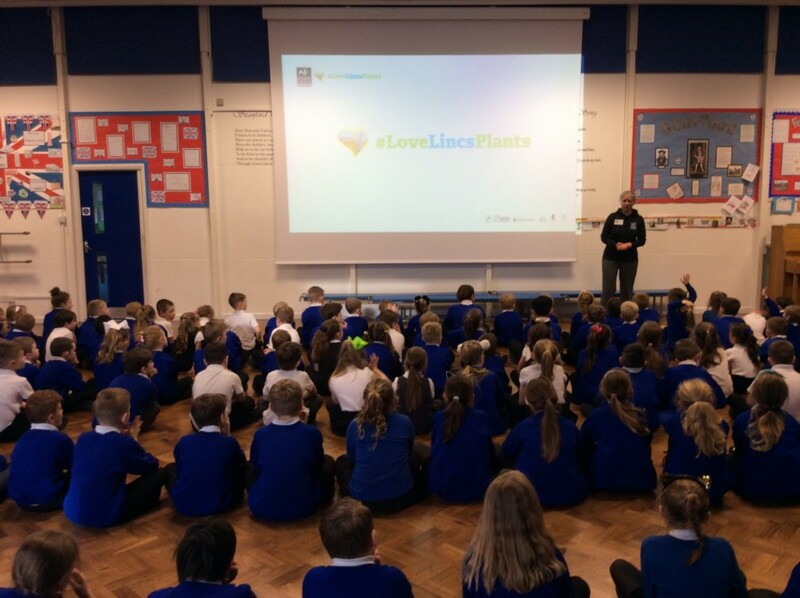 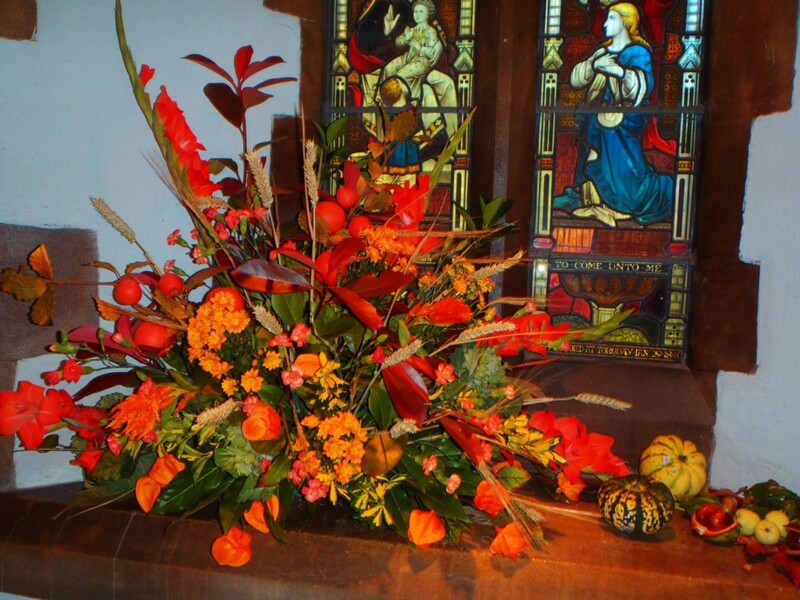 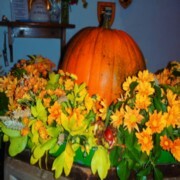 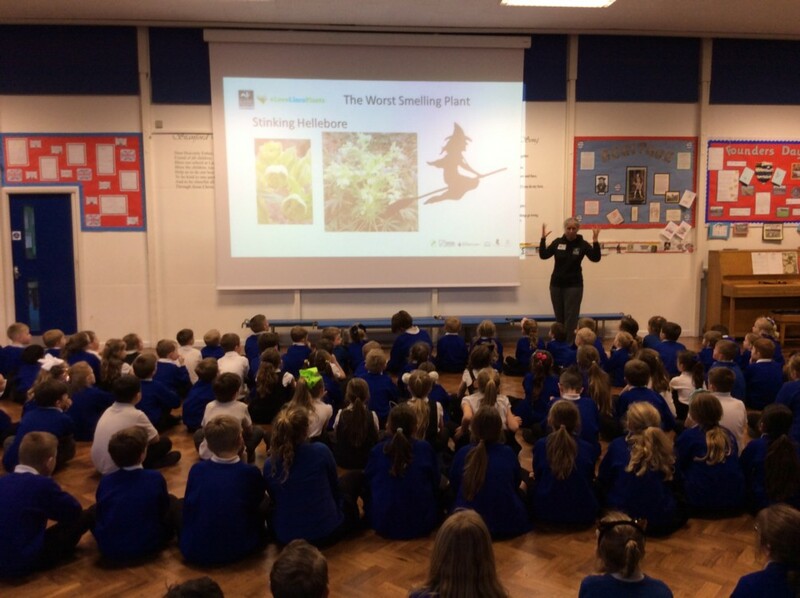 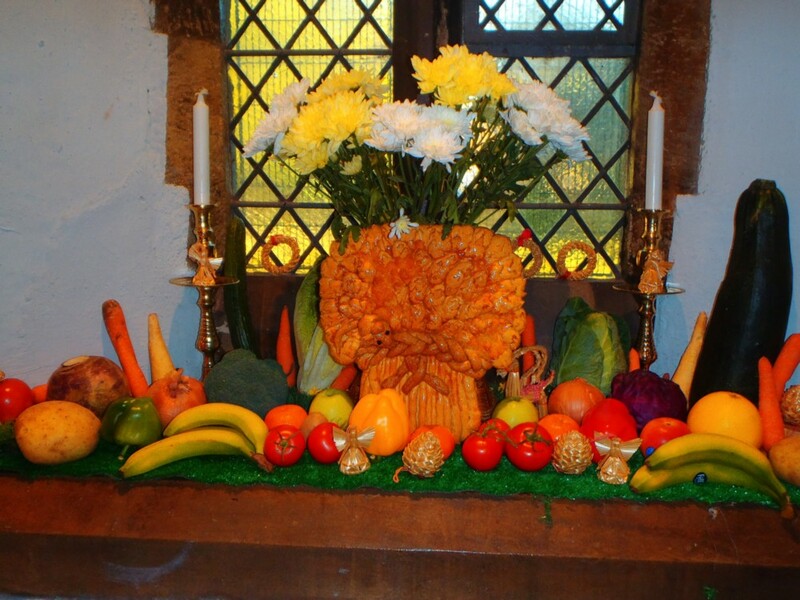 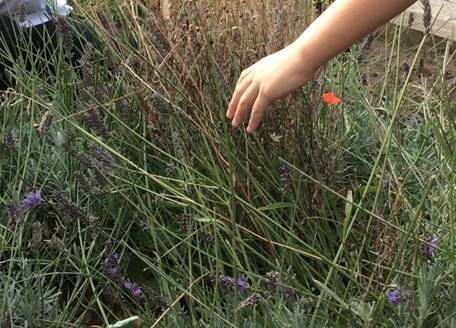 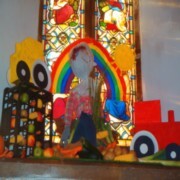 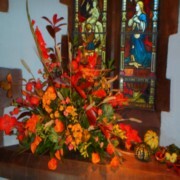 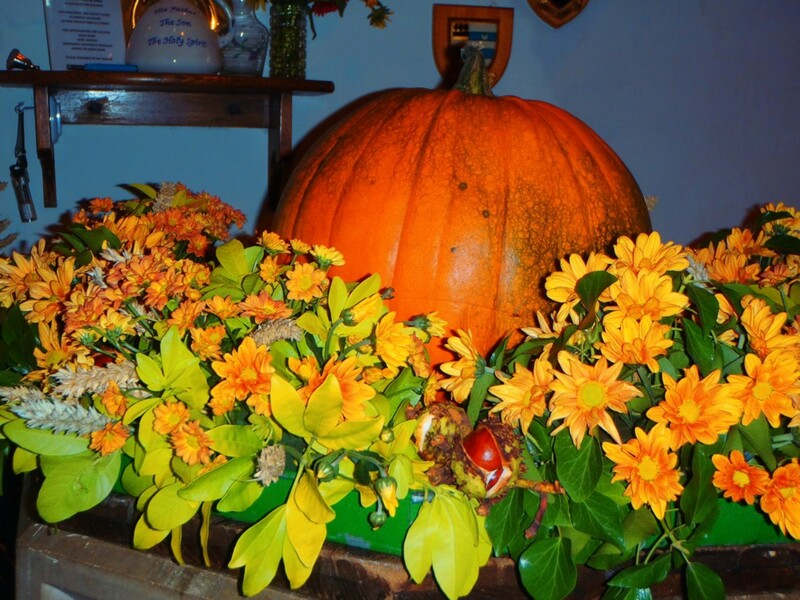 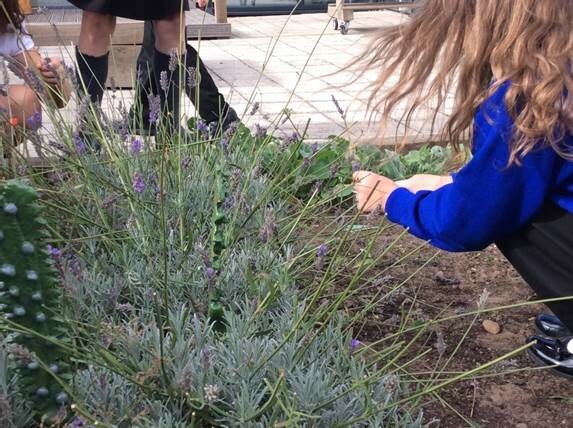 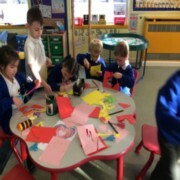 The children who take part will also get plant their very own sunflower and pumpkin. 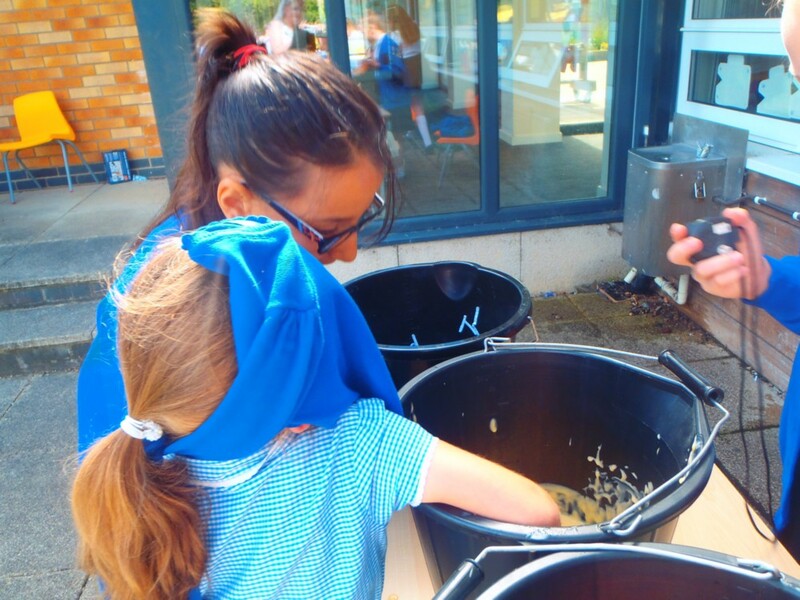 ‘It doesn’t sound like a challenge at all!’ Miss Whiting exclaimed. 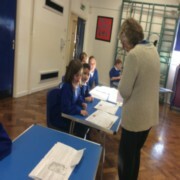 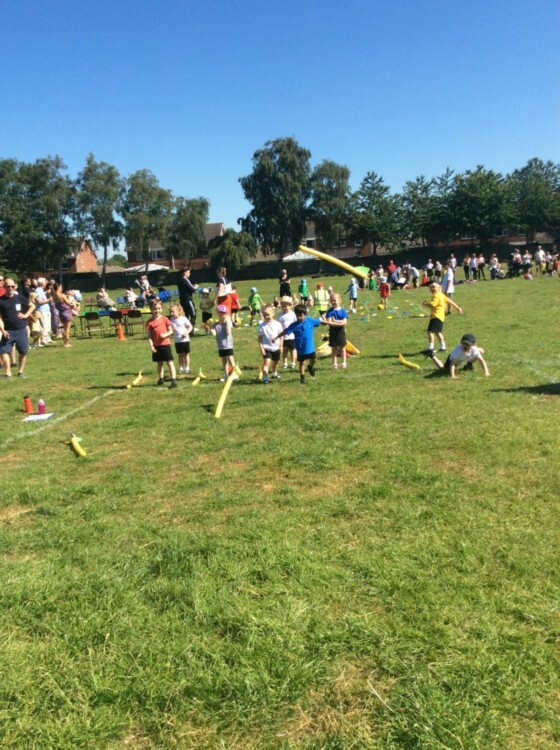 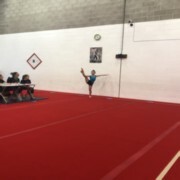 Lots of the children were very keen to take part. 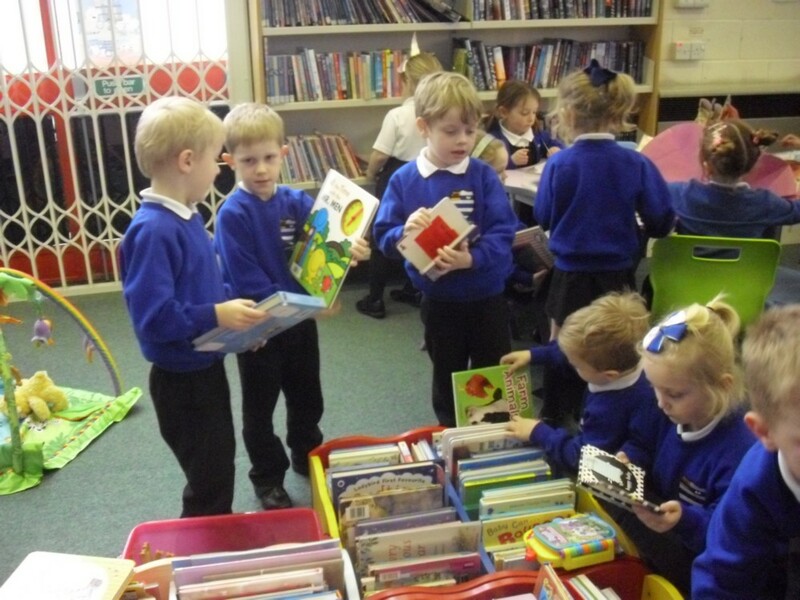 Let’s work together to make this the most successful reading challenge ever! 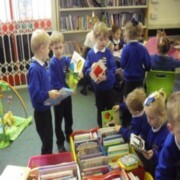 Just go along to the library once a week, have fun, join in with the exciting activities and receive a prize each week as a reward! 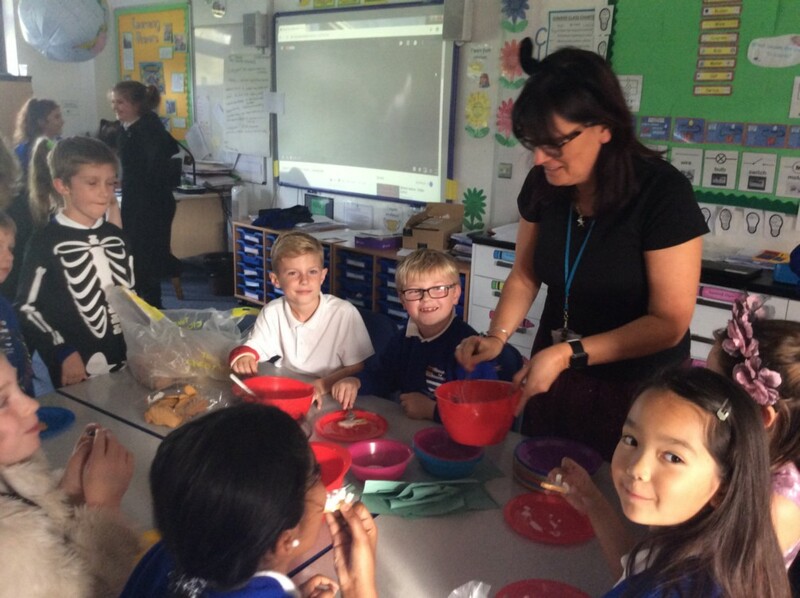 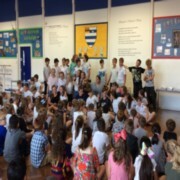 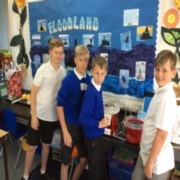 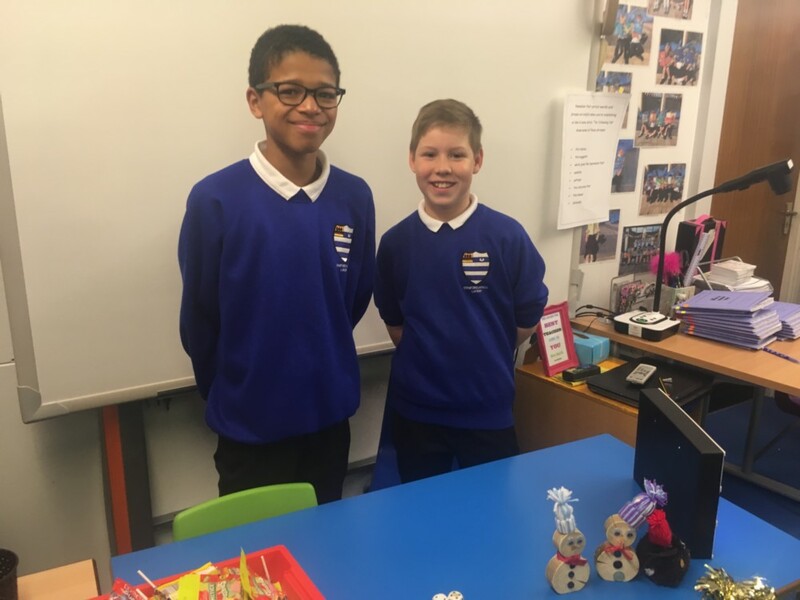 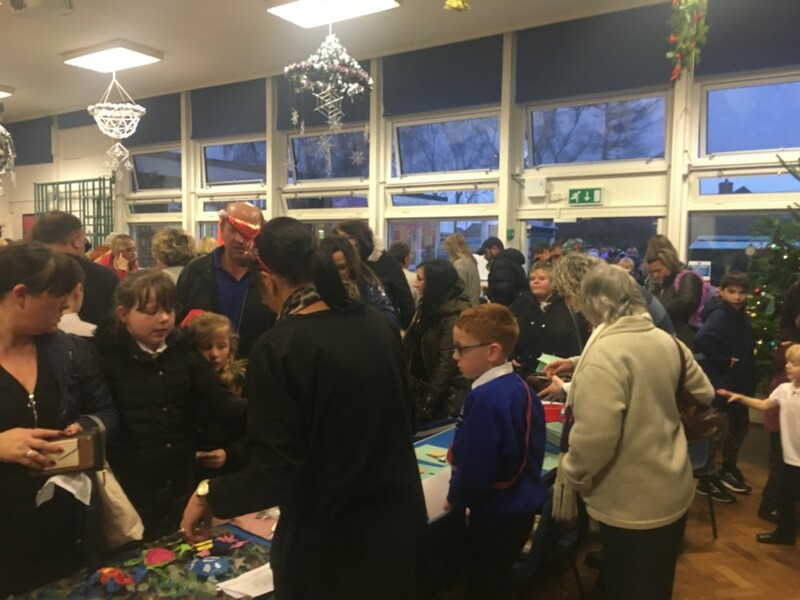 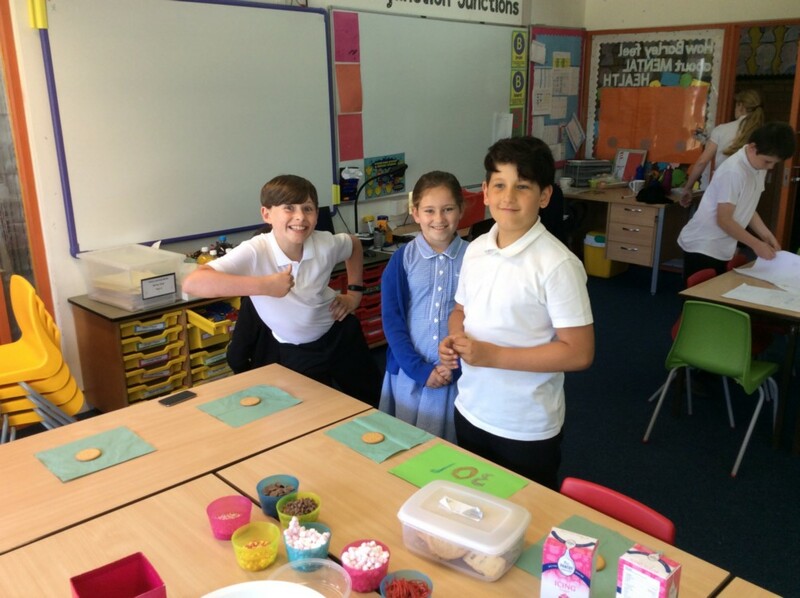 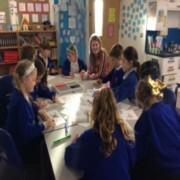 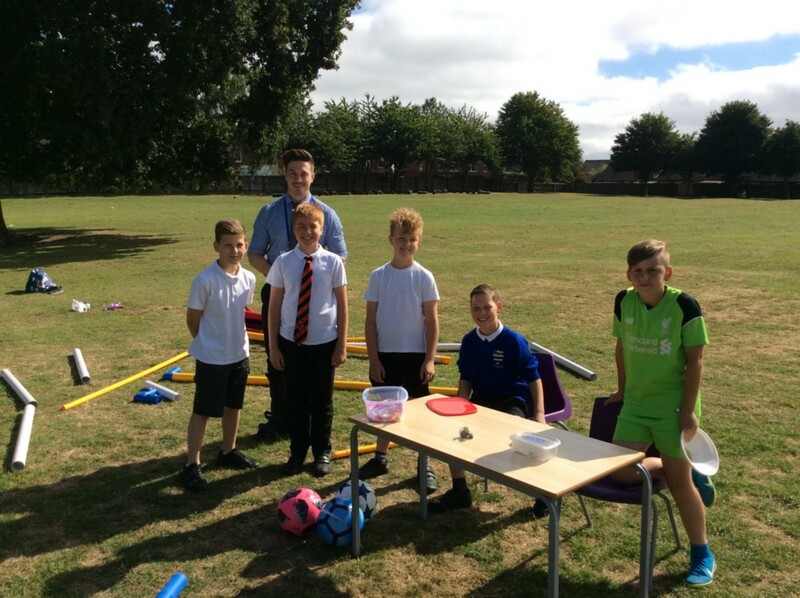 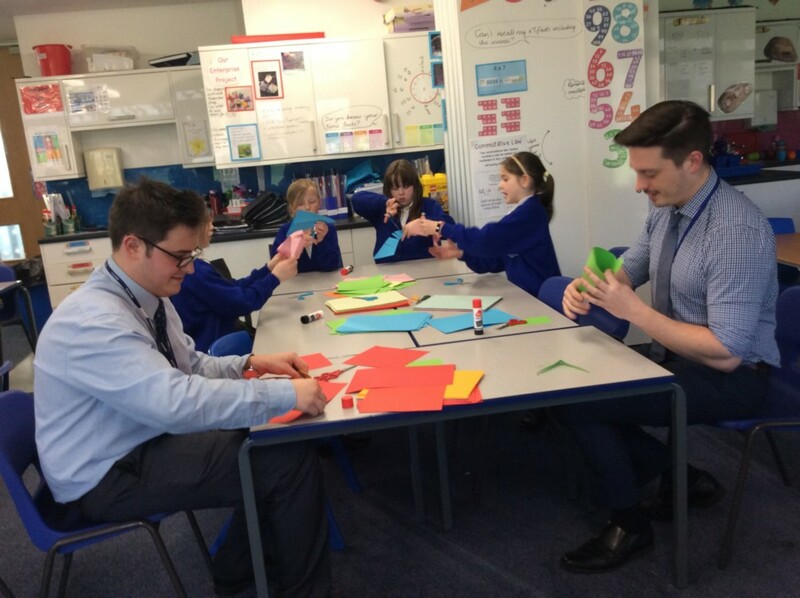 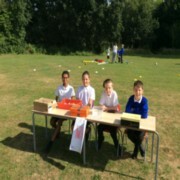 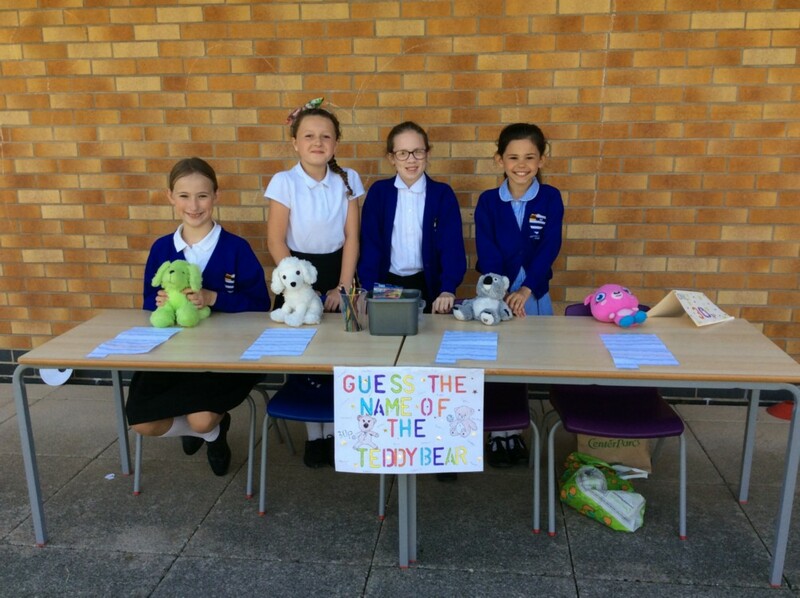 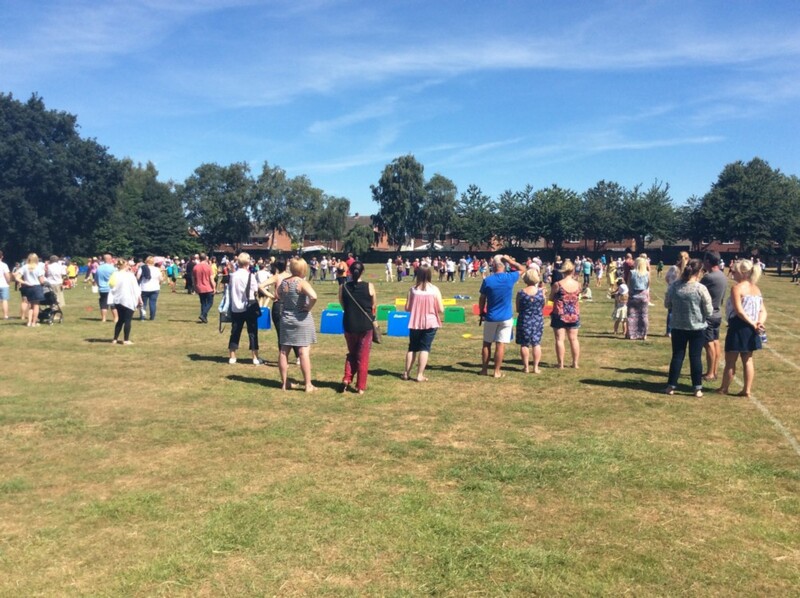 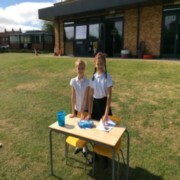 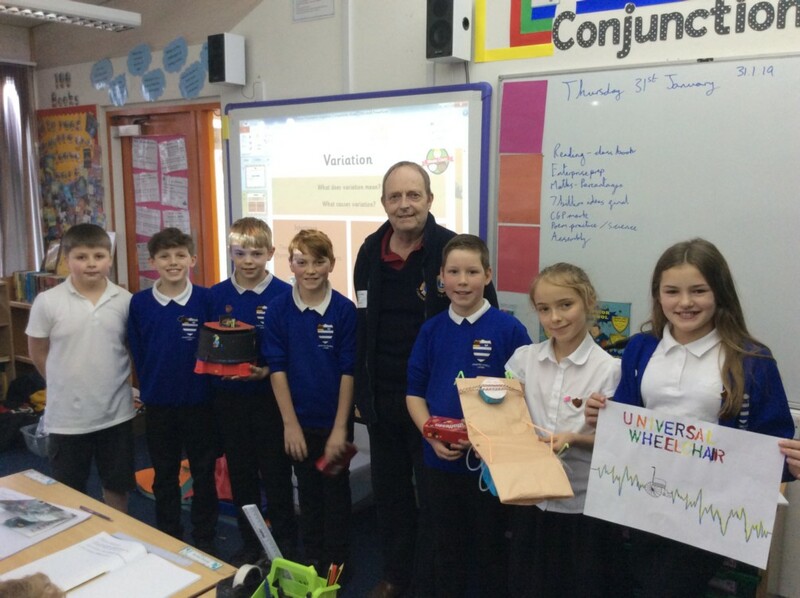 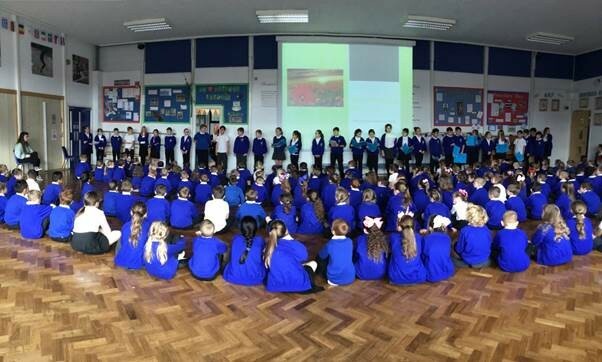 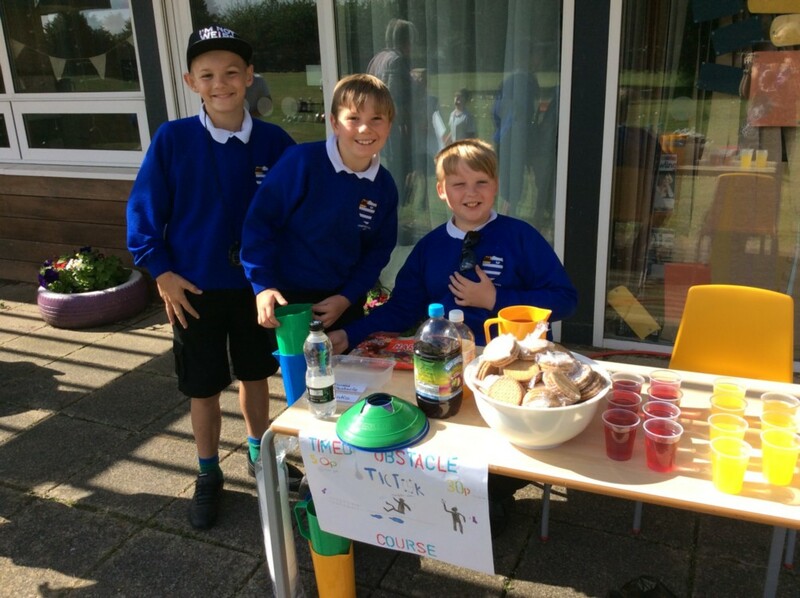 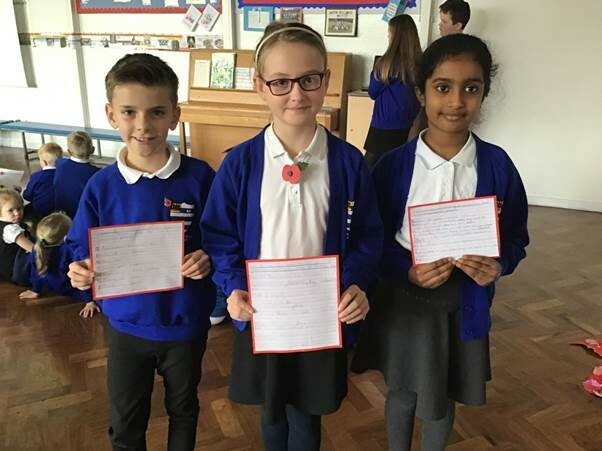 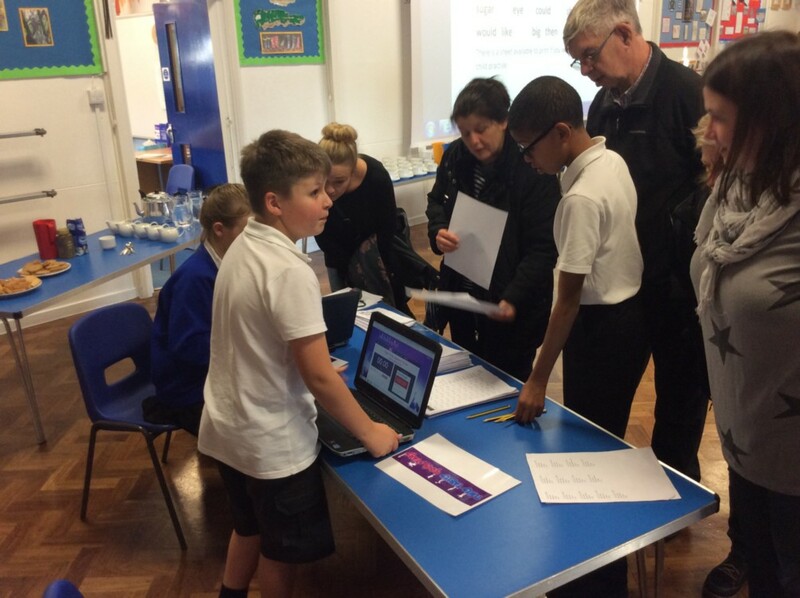 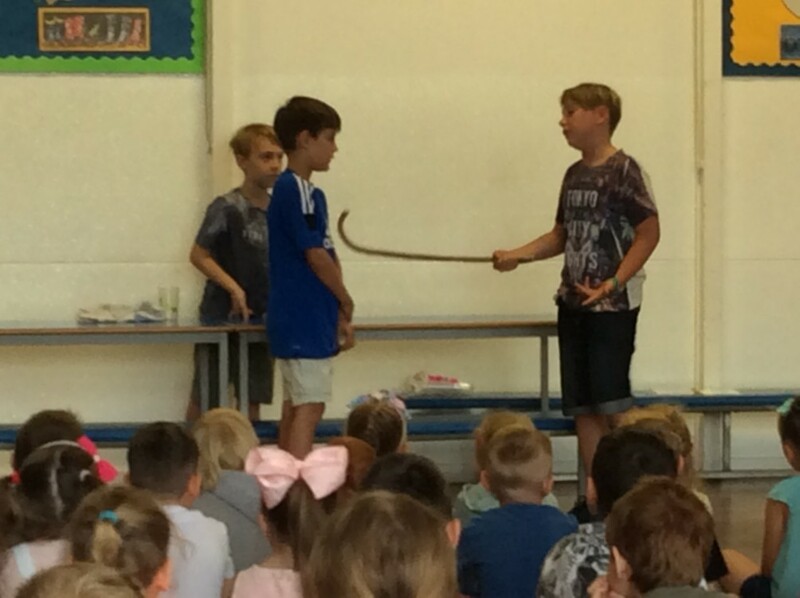 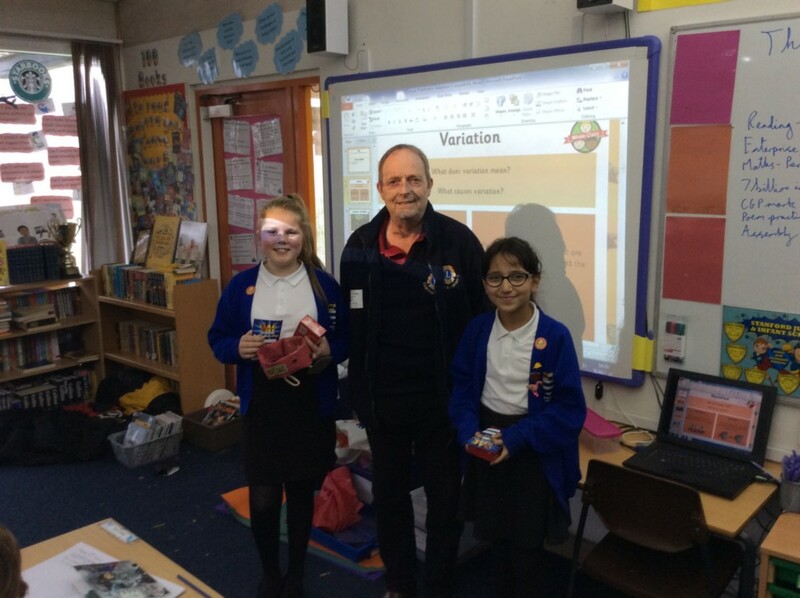 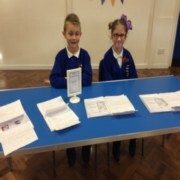 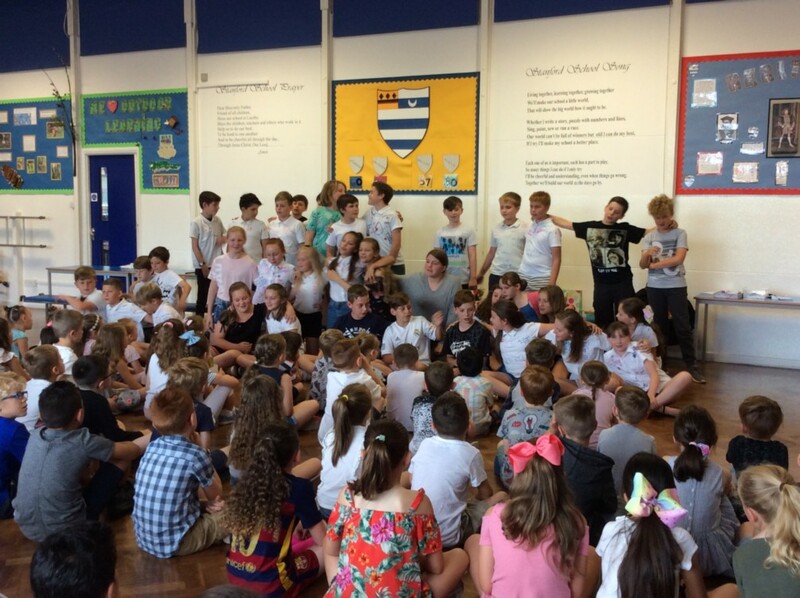 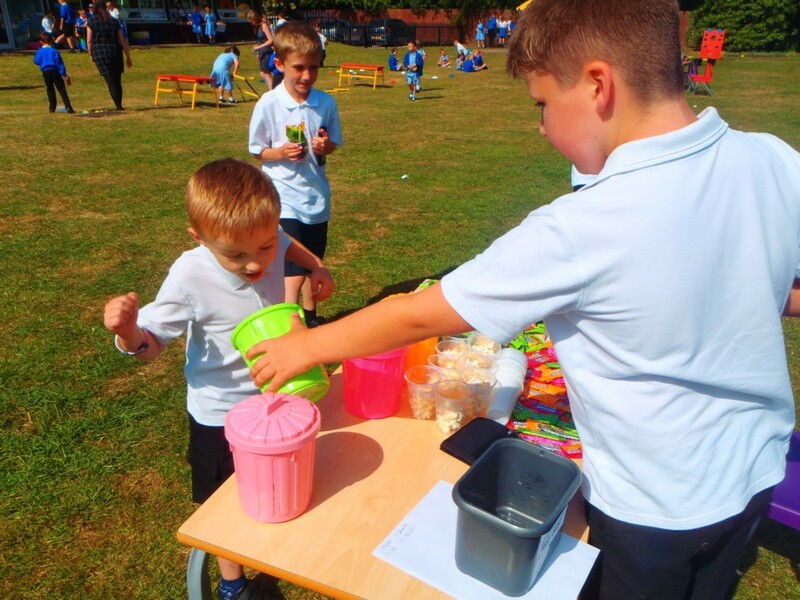 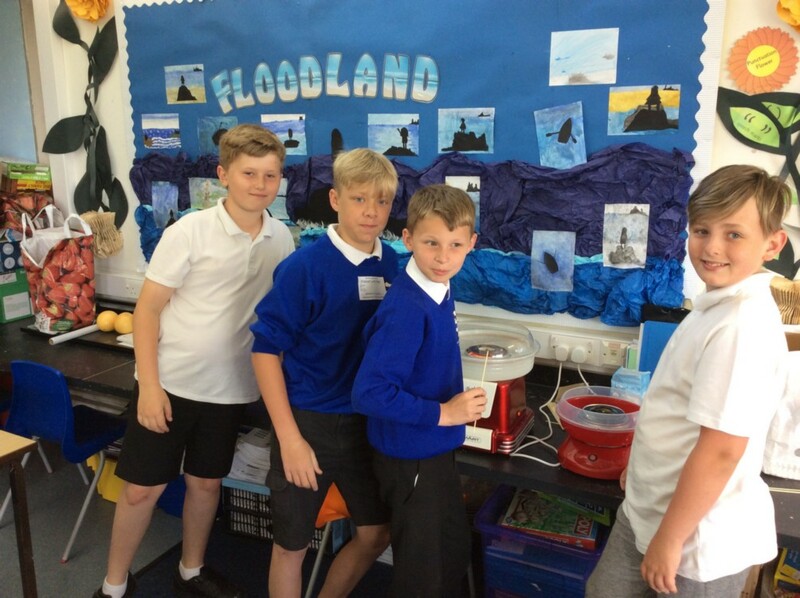 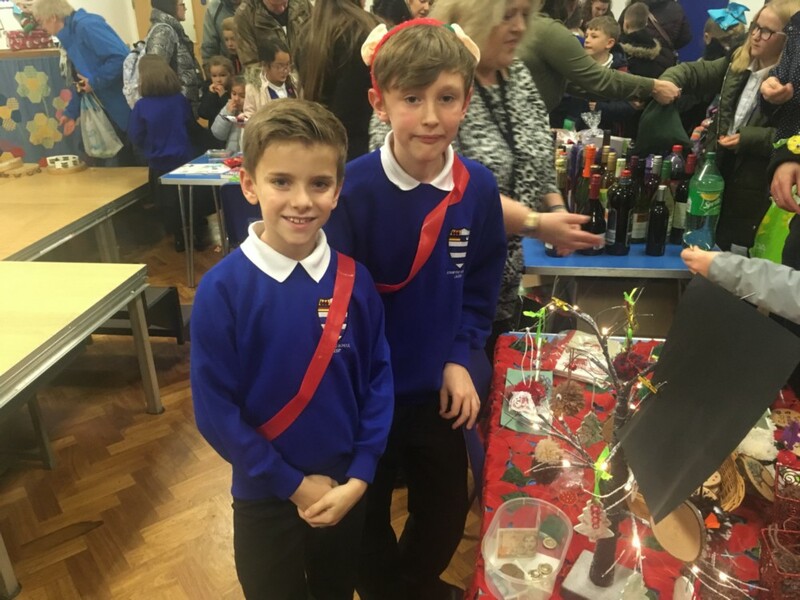 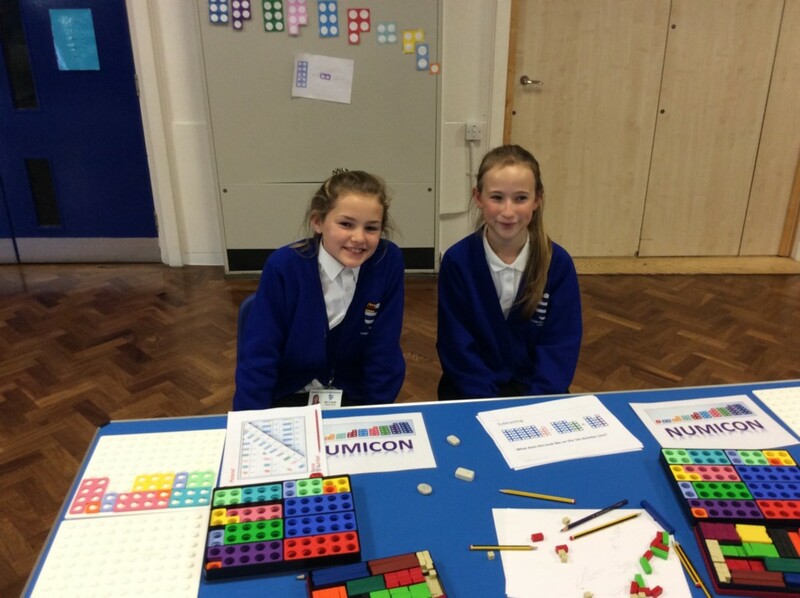 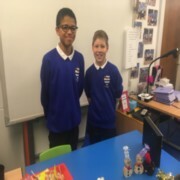 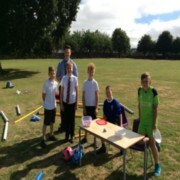 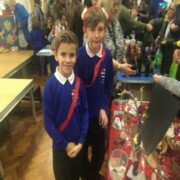 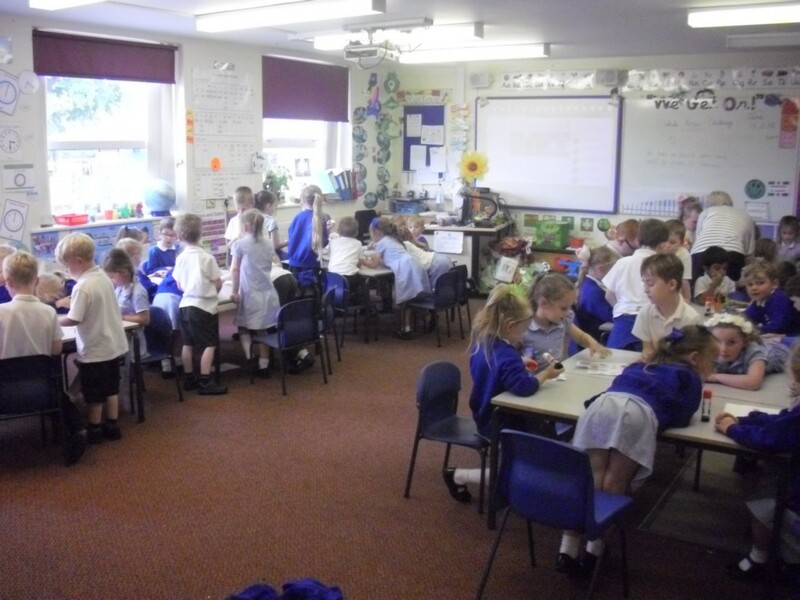 Year 5 and 6 used their mathematical, teamwork and entrepreneurial skills to create, organise and deliver an enterprise day to the whole school. 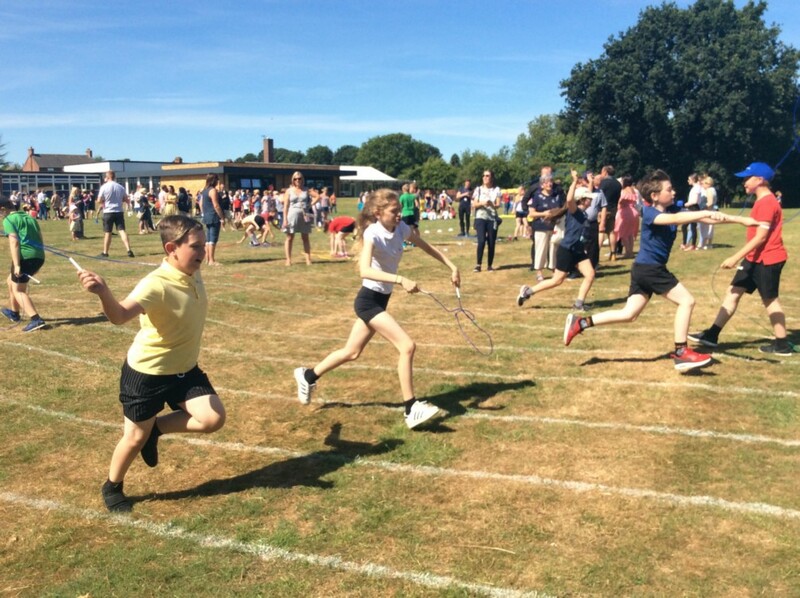 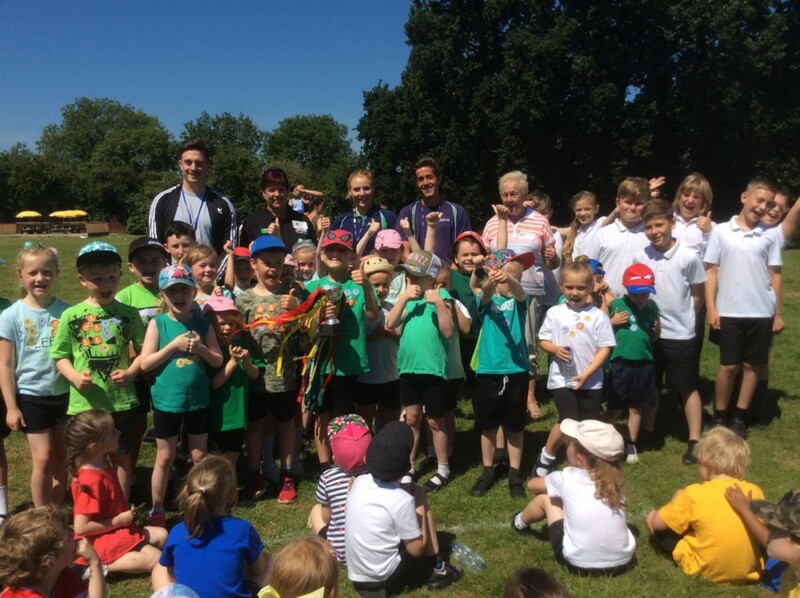 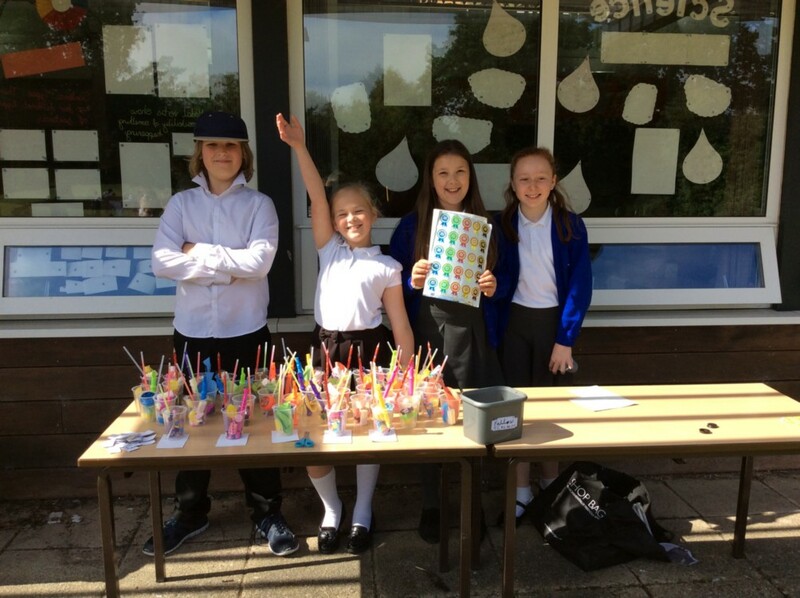 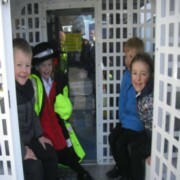 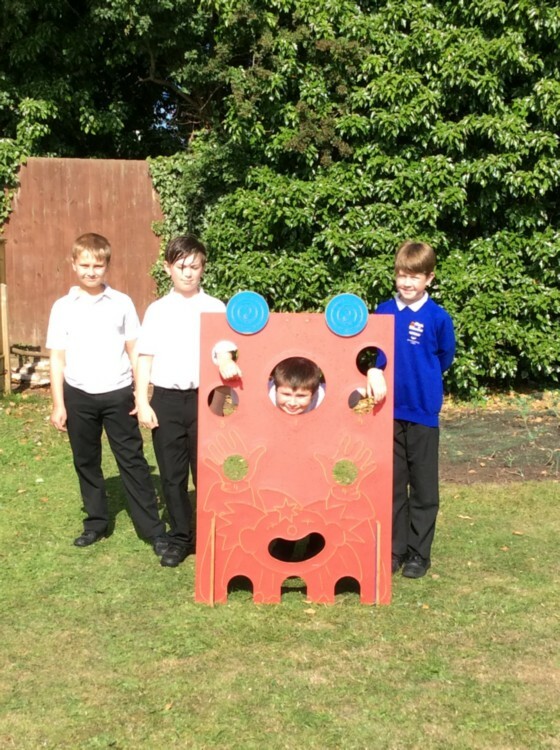 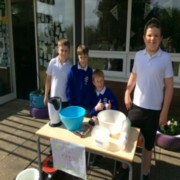 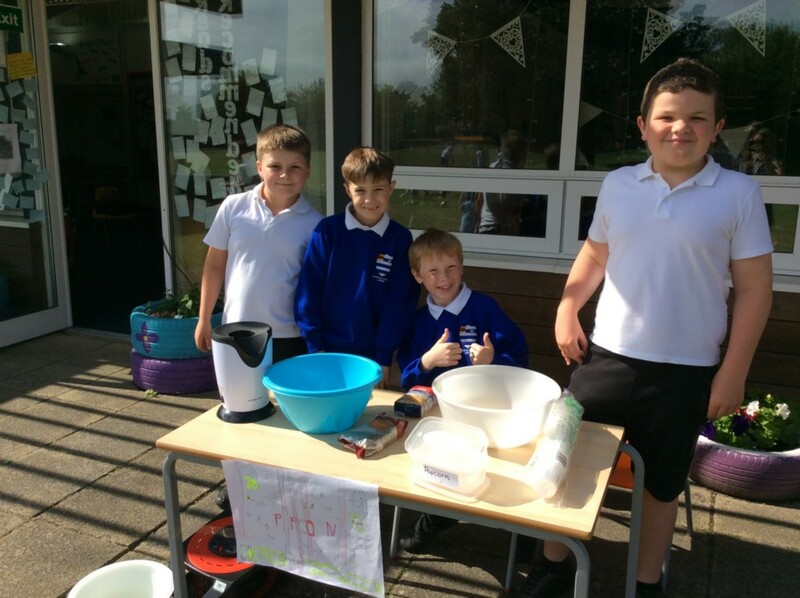 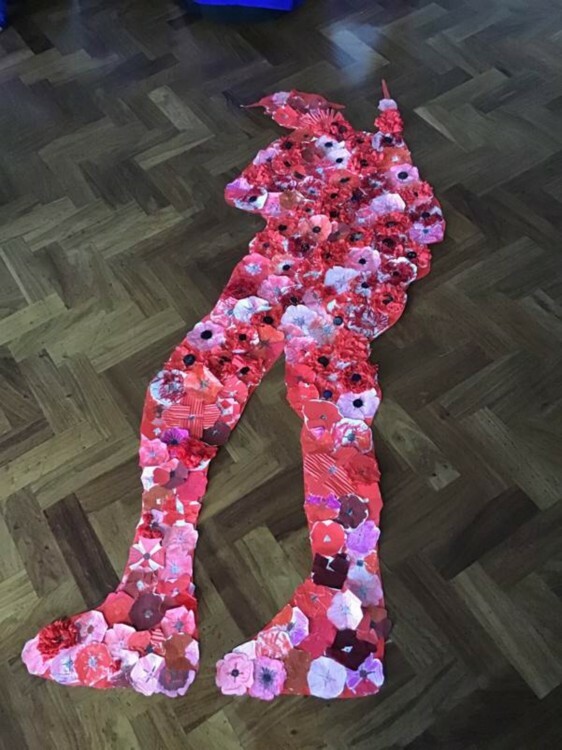 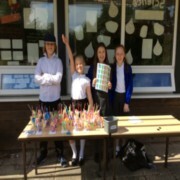 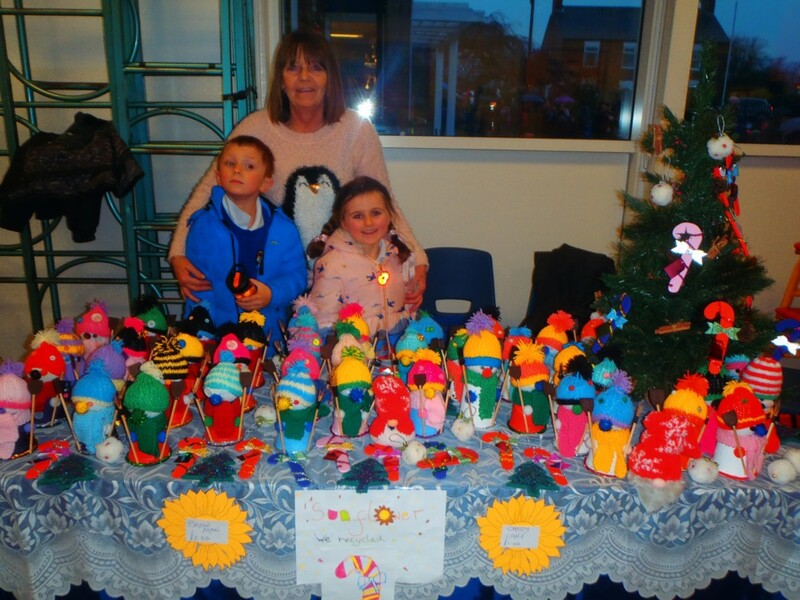 It was a huge success and over £500 was raised, that will go towards something exciting for the school. 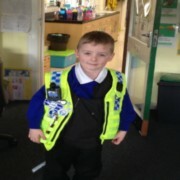 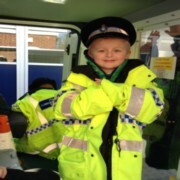 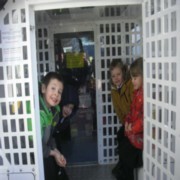 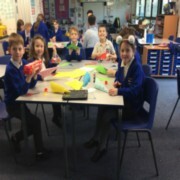 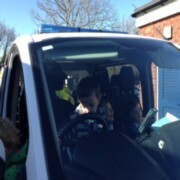 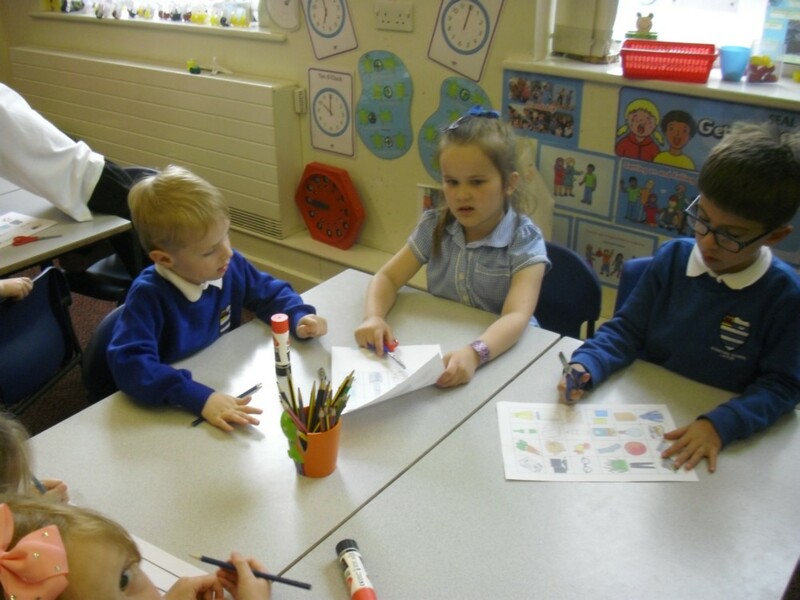 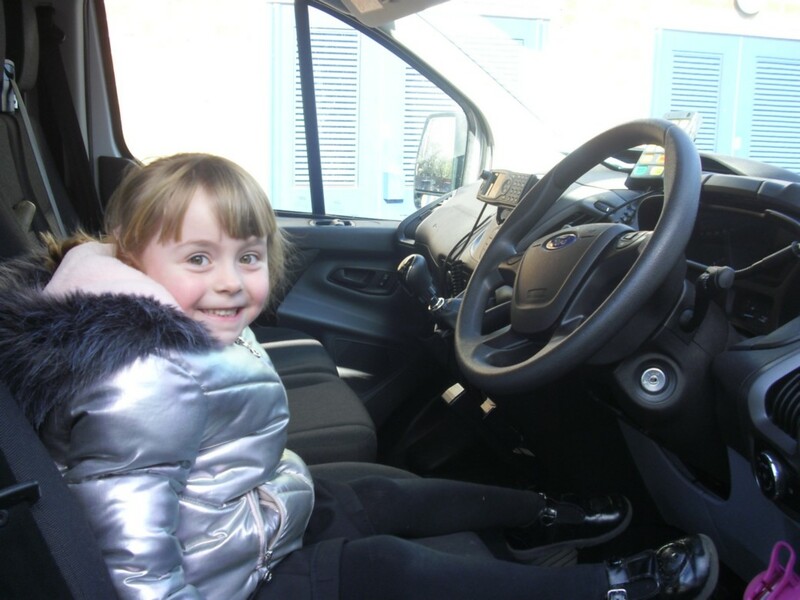 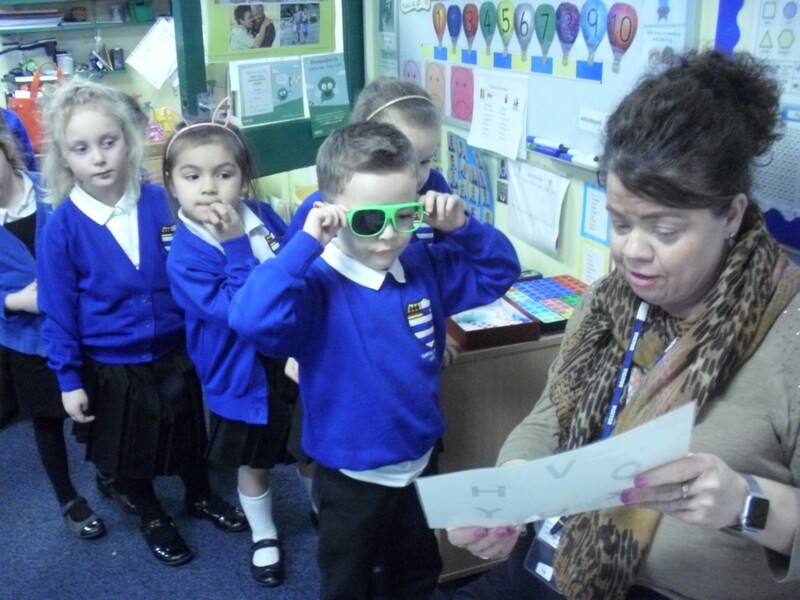 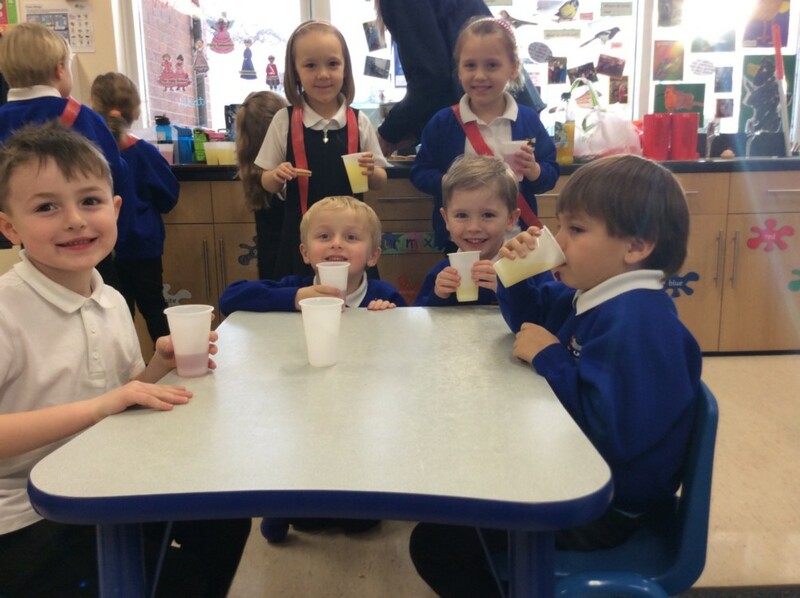 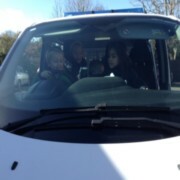 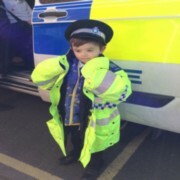 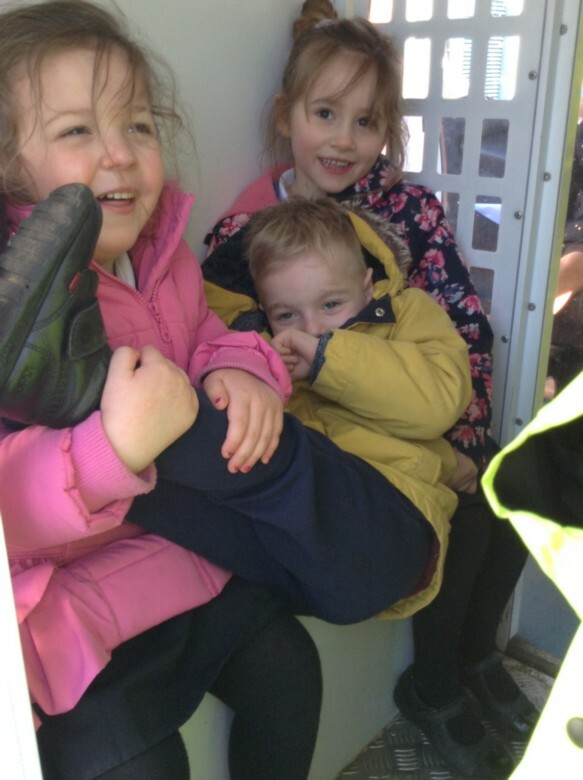 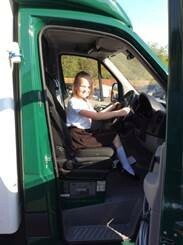 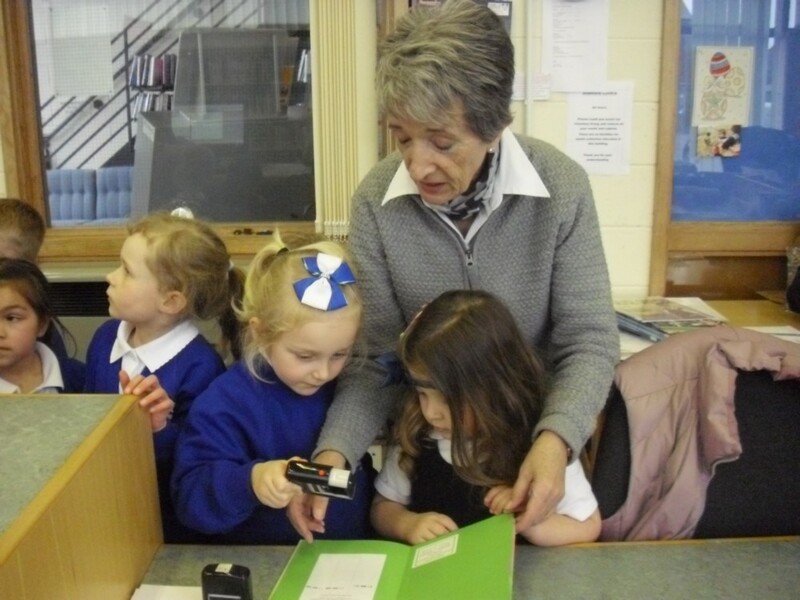 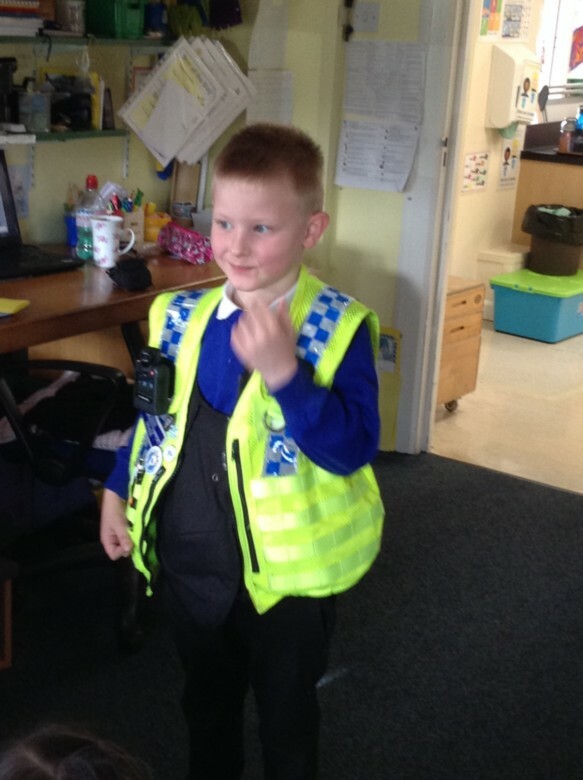 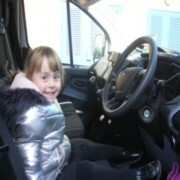 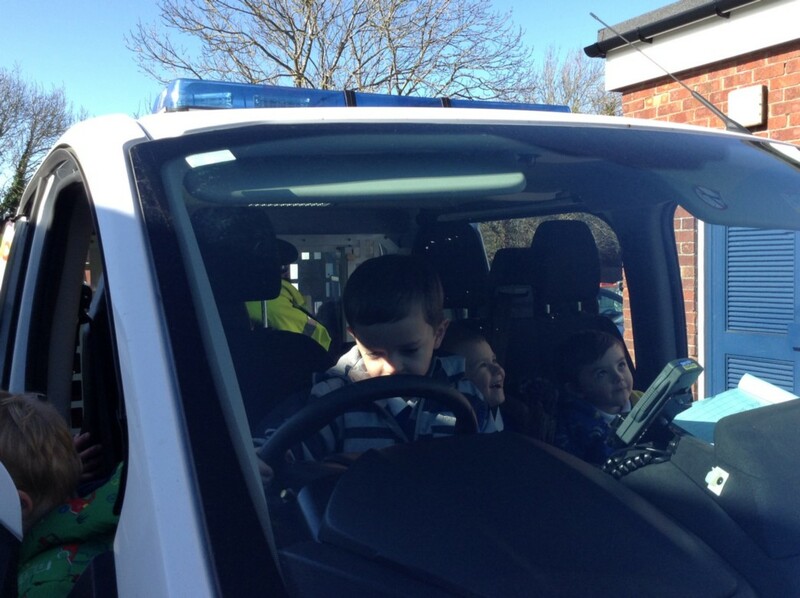 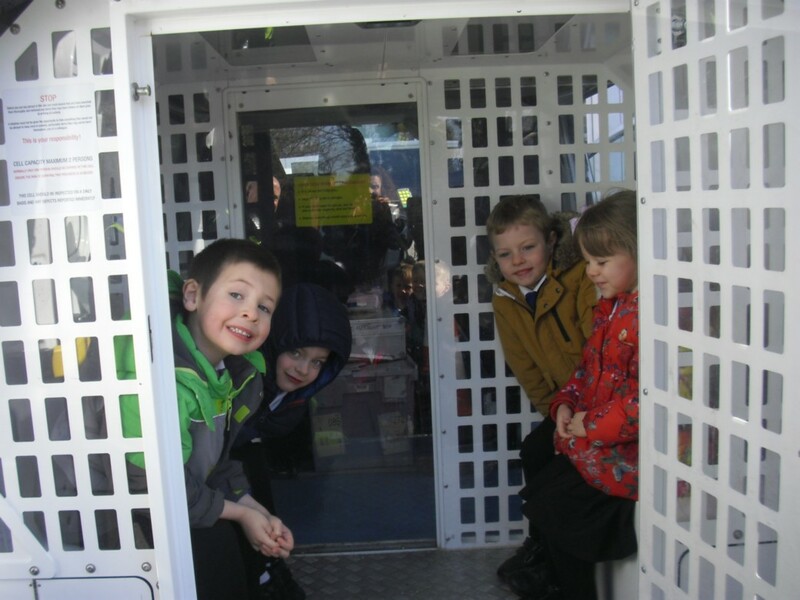 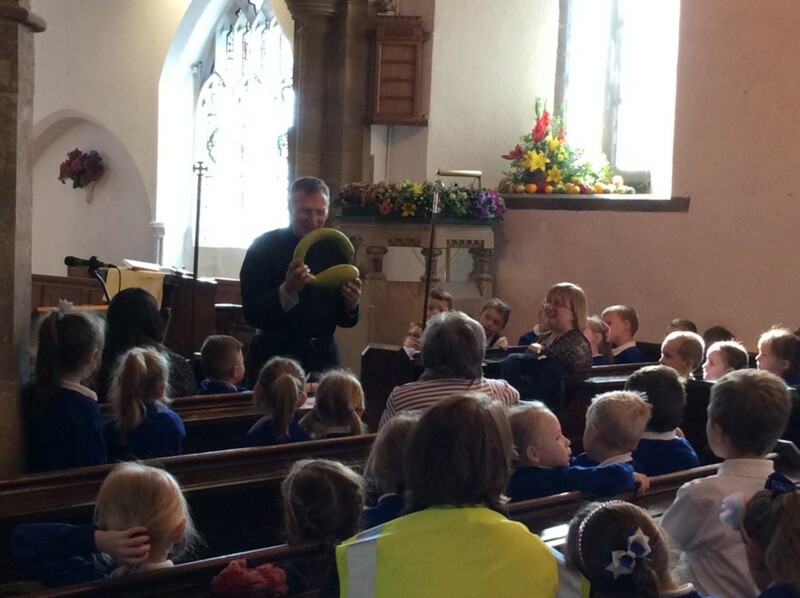 Sunflower Class had a great time at the Enterprise Day. 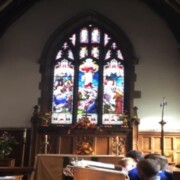 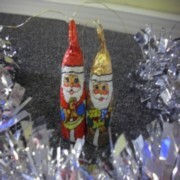 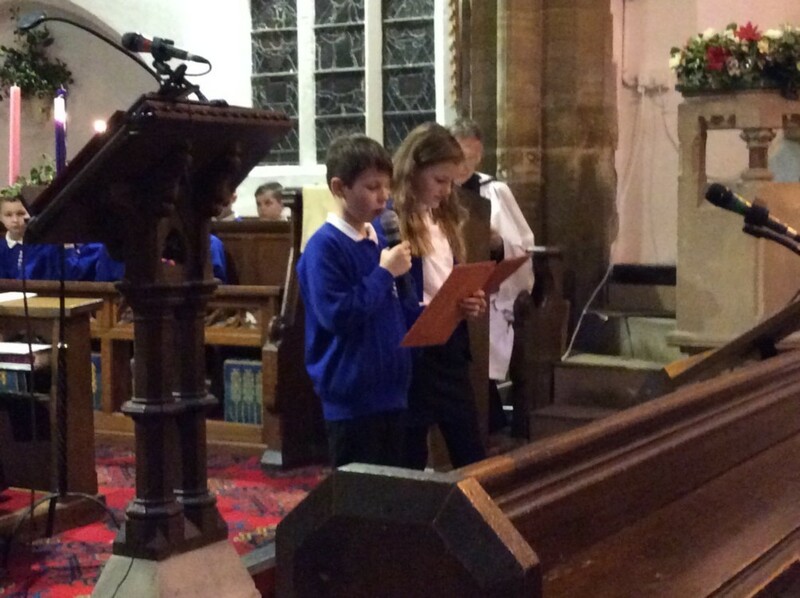 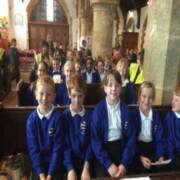 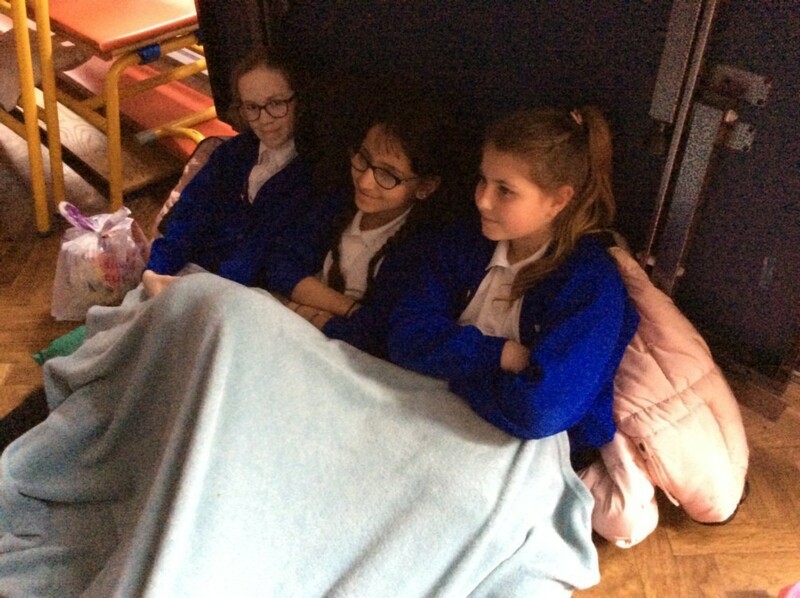 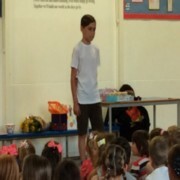 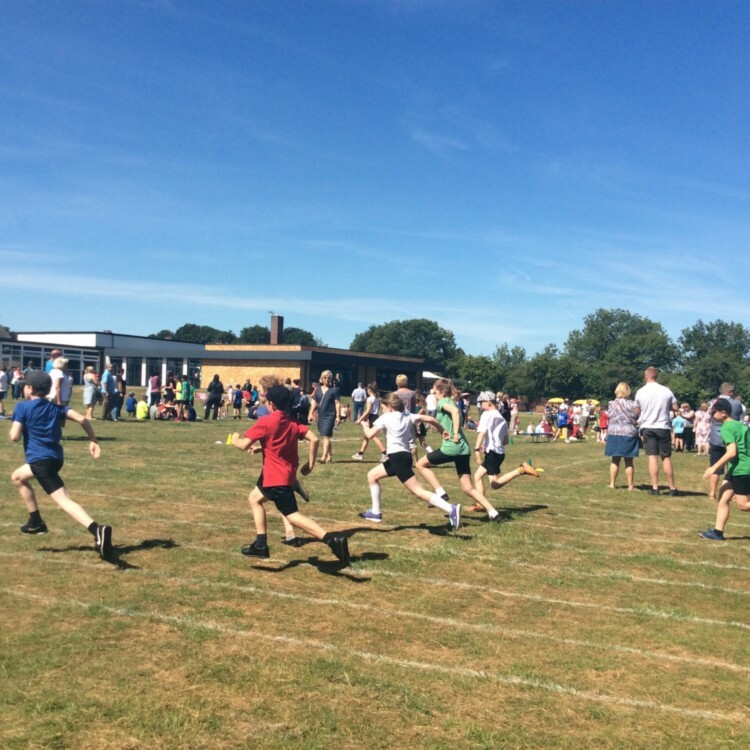 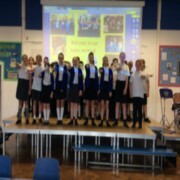 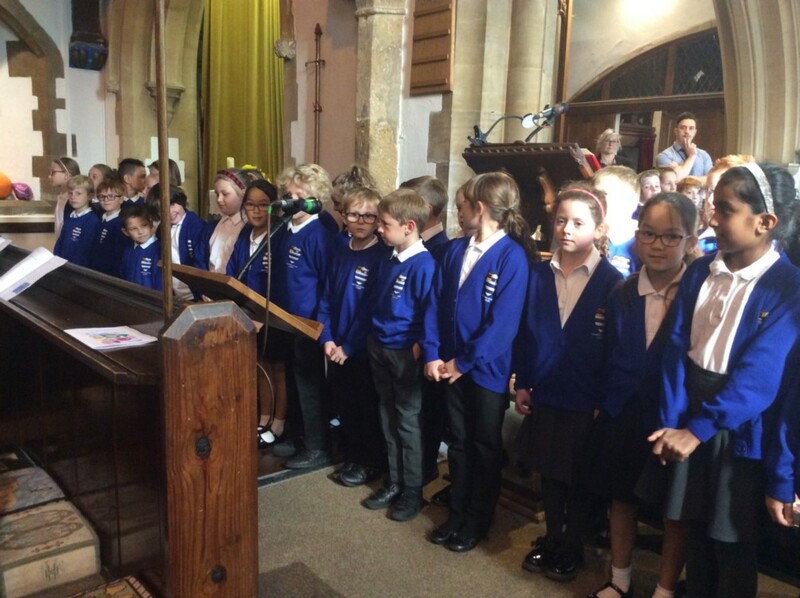 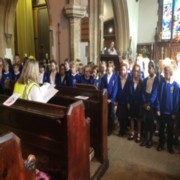 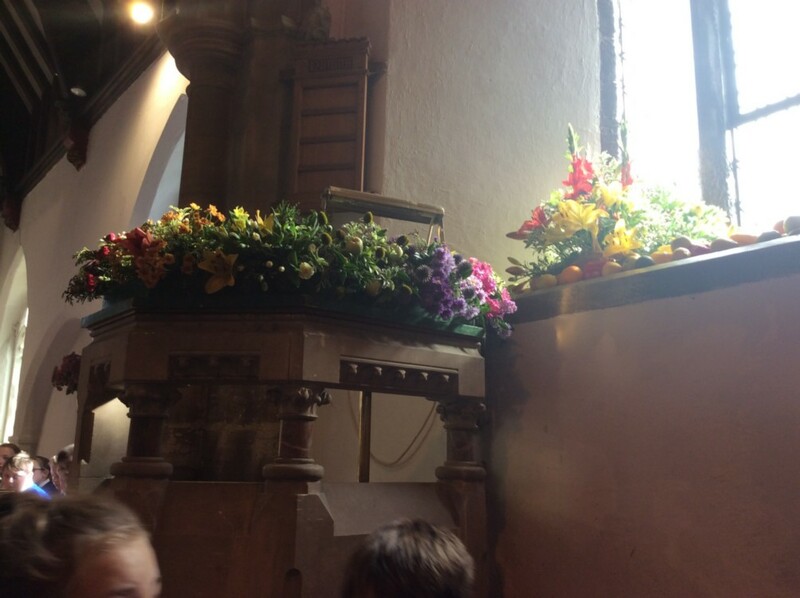 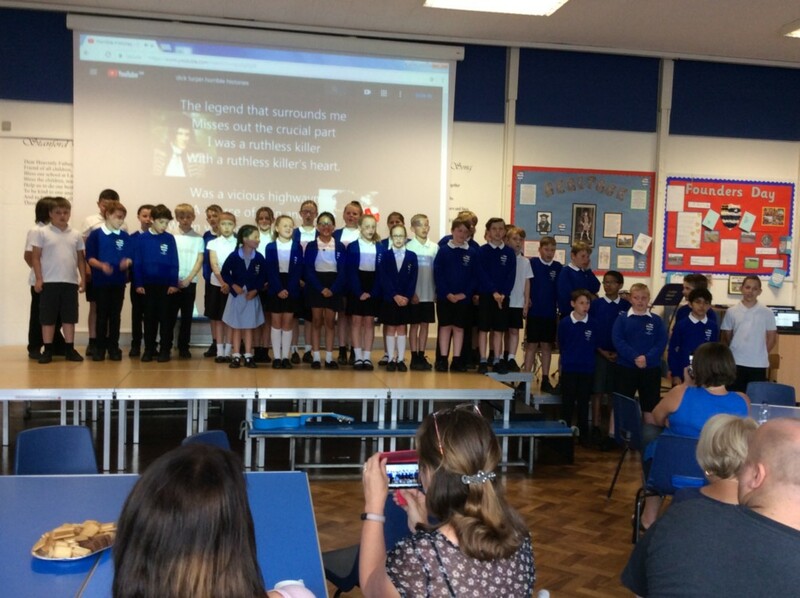 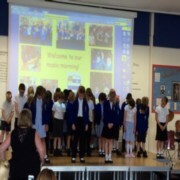 They would like to thank the Year 5 and Year 6 children for organising such a lovely event. Isla- The biscuit icing was fun. 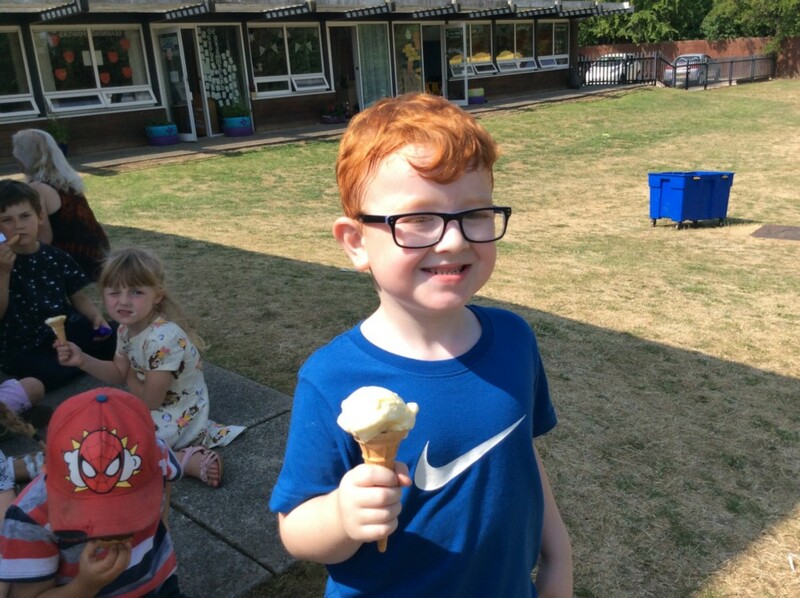 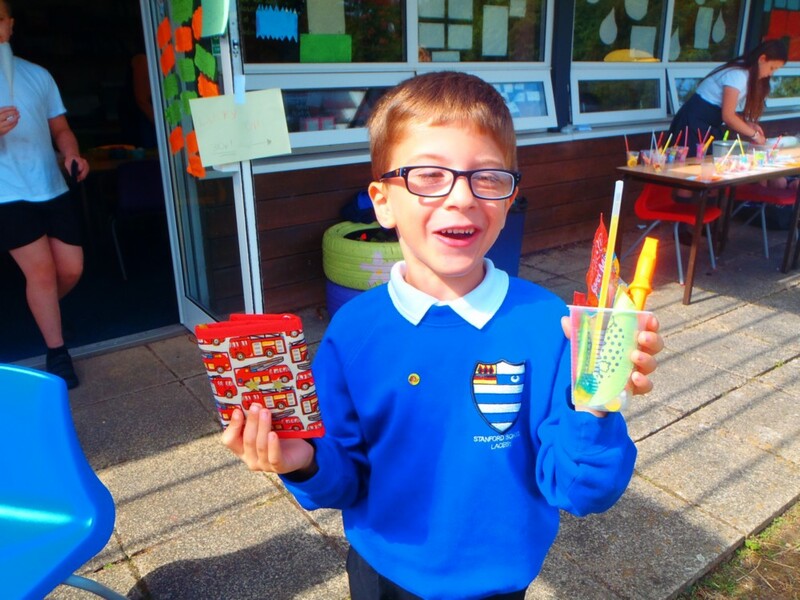 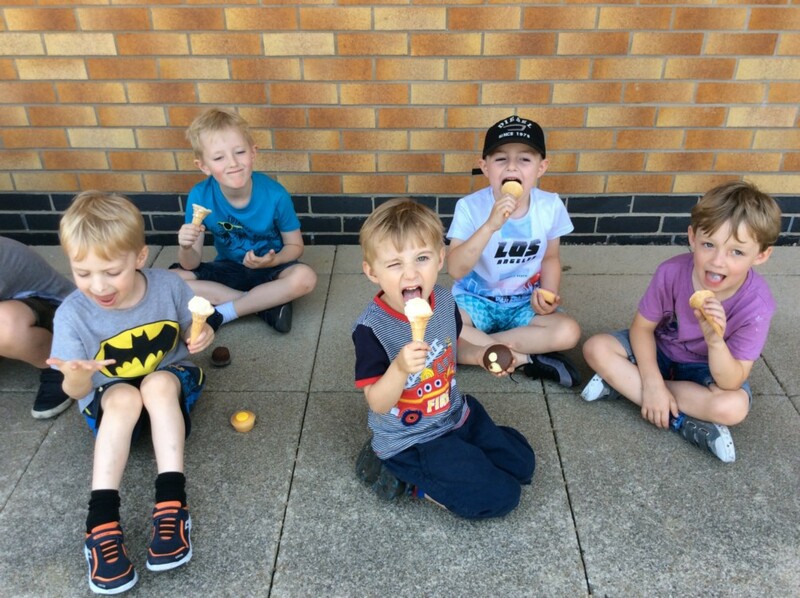 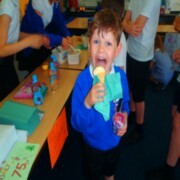 Lucas- I liked the ice cream, it was 75p. I had toffee sauce on the top. 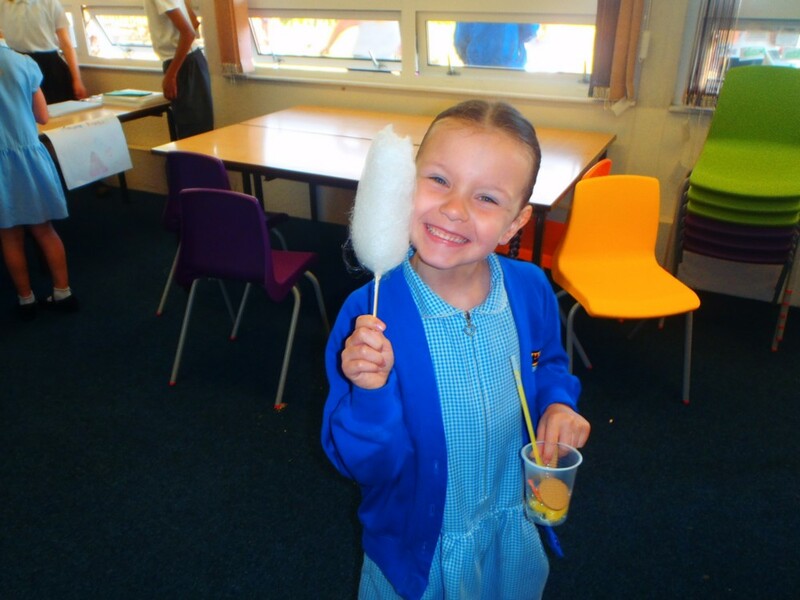 Libby- The candy floss looked like cotton. 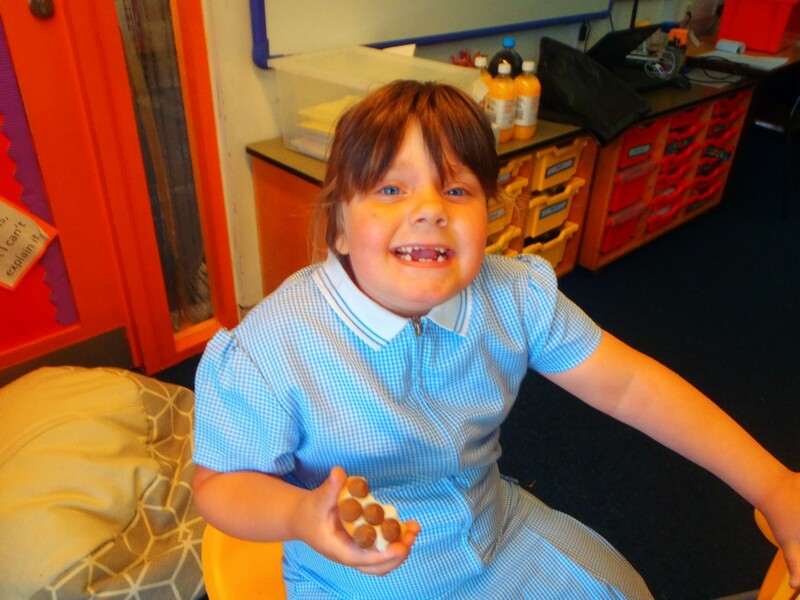 Lily W- I had chocolate. Millie- I had to put my hand in a gooey bucket. I had to find treasure. 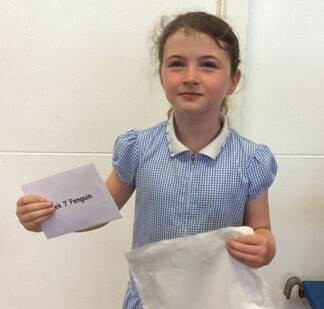 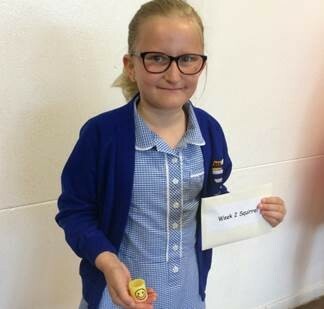 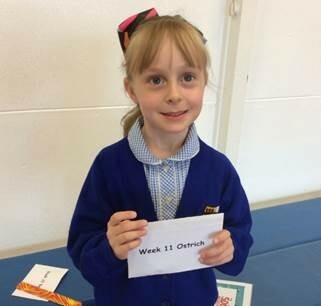 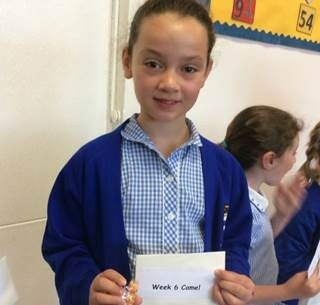 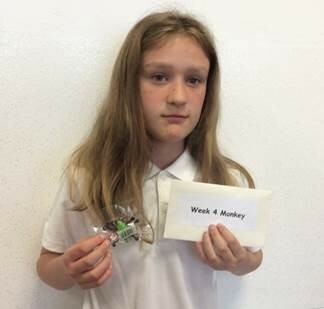 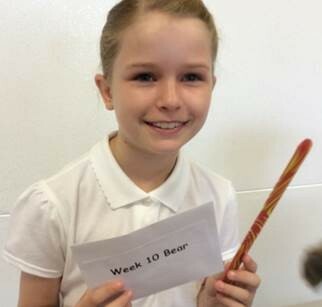 Bella- I won lots of sweets. 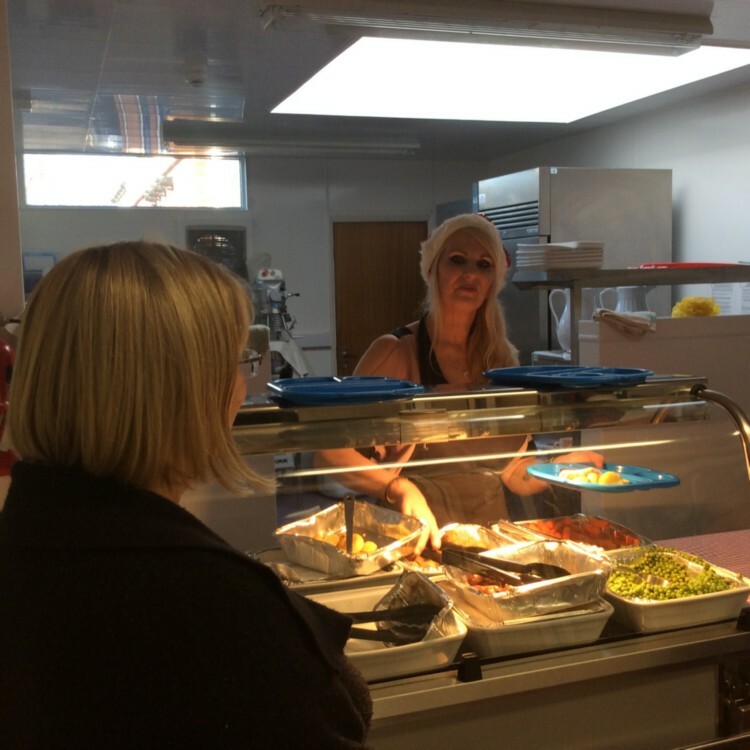 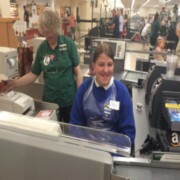 The wonderful Chris – the Community Champion – and some of her fellow staff from Morrison’s, surprised us on Friday 16th April, when they donated some food to our ‘Breakfast Club’! 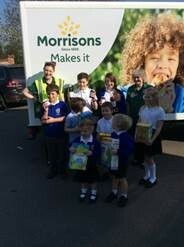 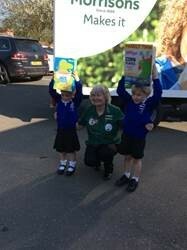 Morrison’s have now begun a home delivery service and we were lucky to be one of the first stops on their list! 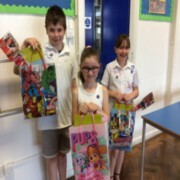 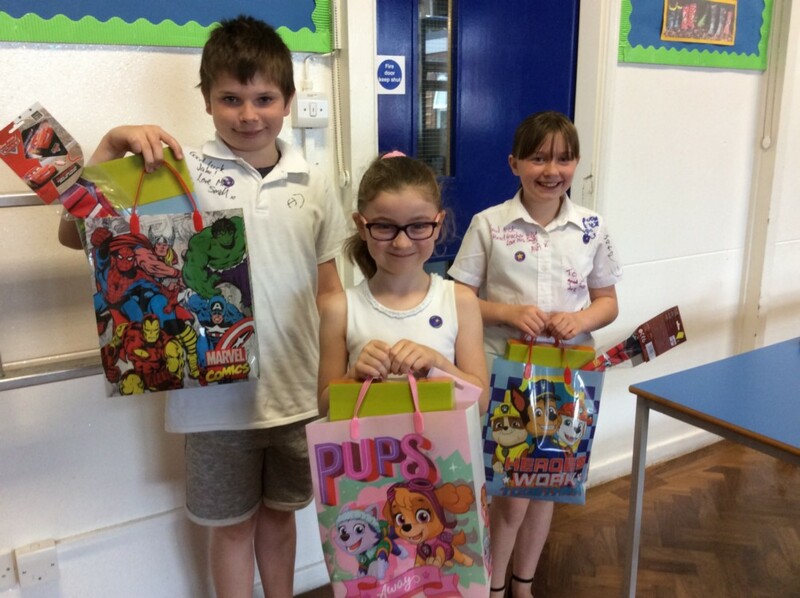 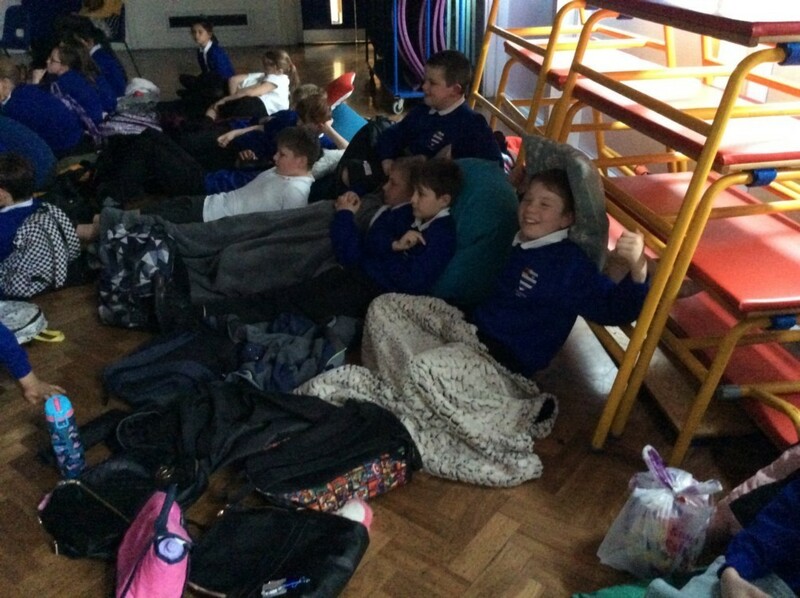 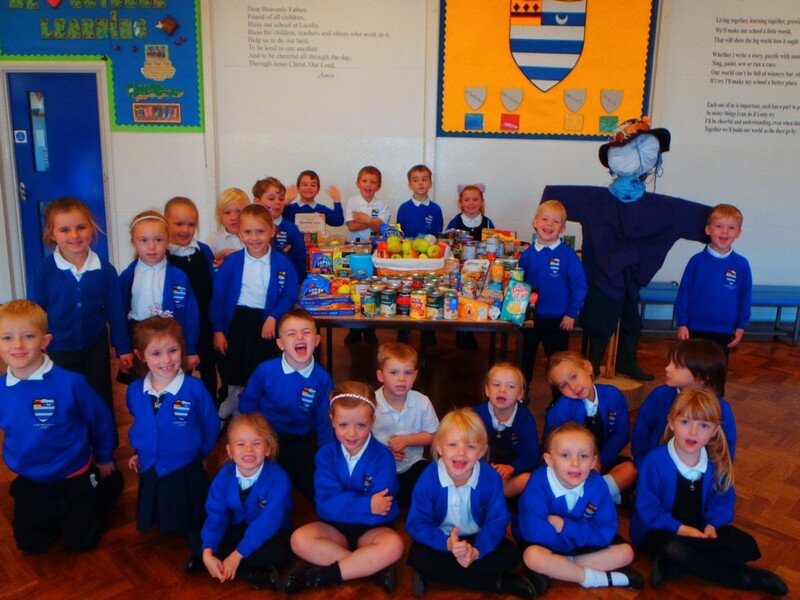 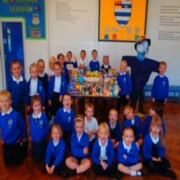 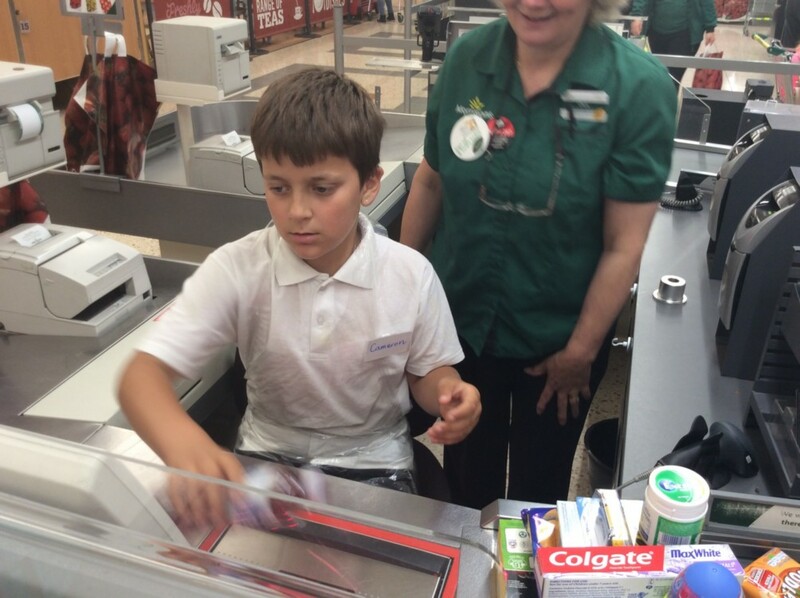 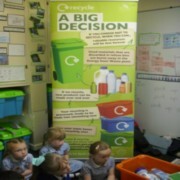 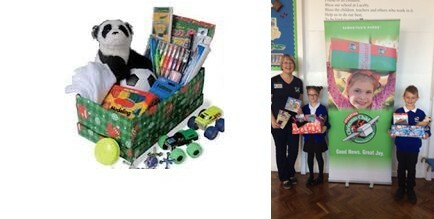 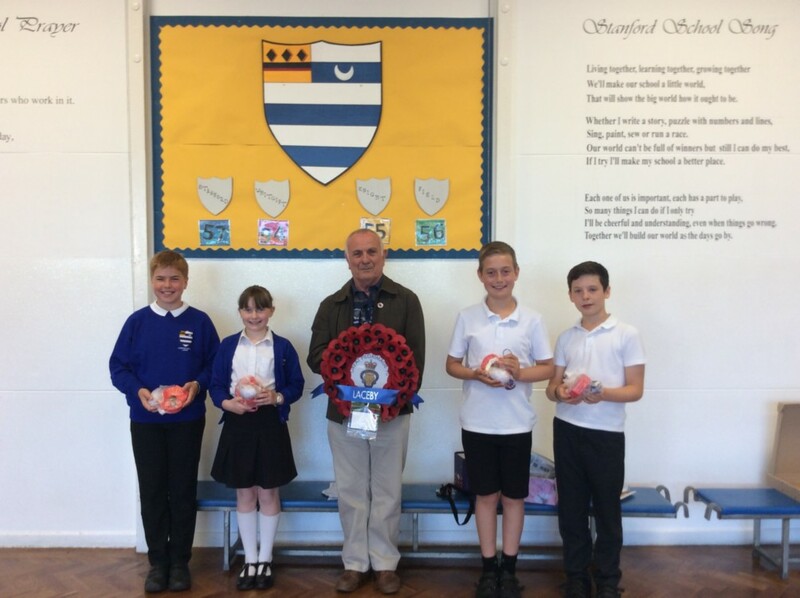 Some children who attend the club, as well as some helpful year 6 pupils, helped collect the delivery. 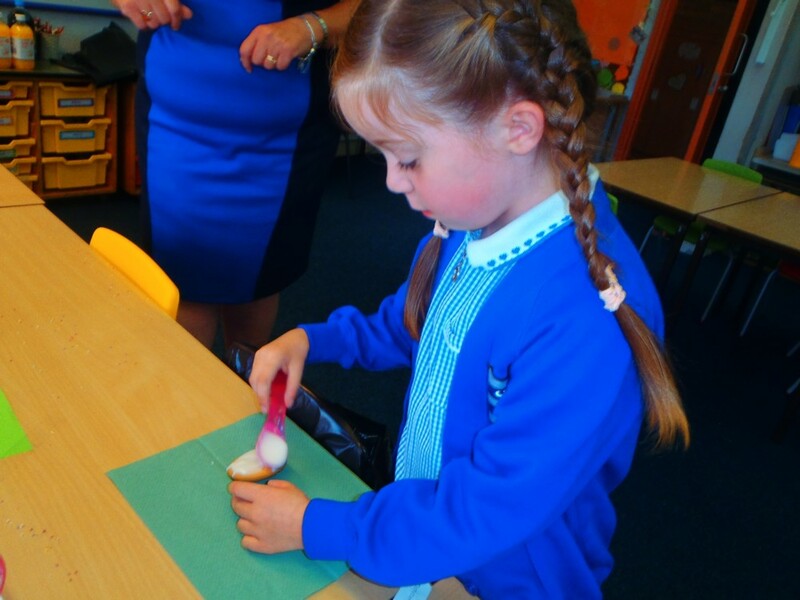 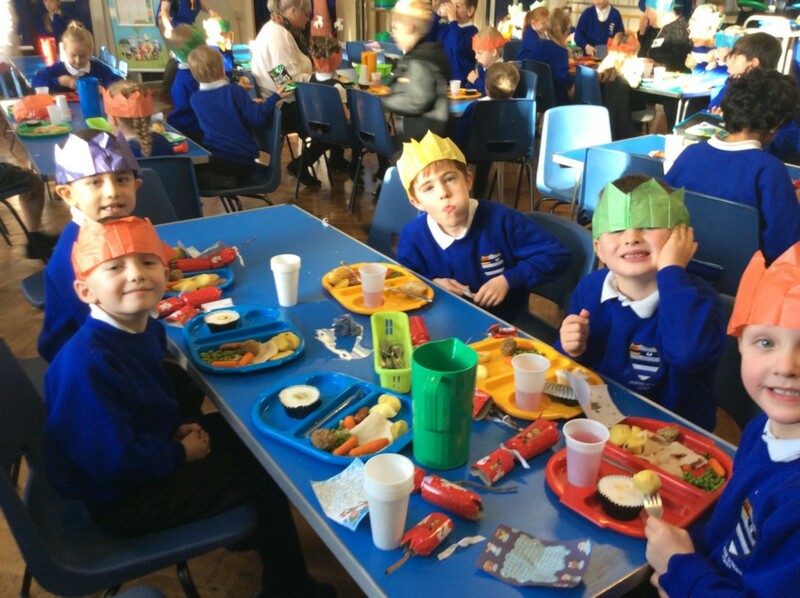 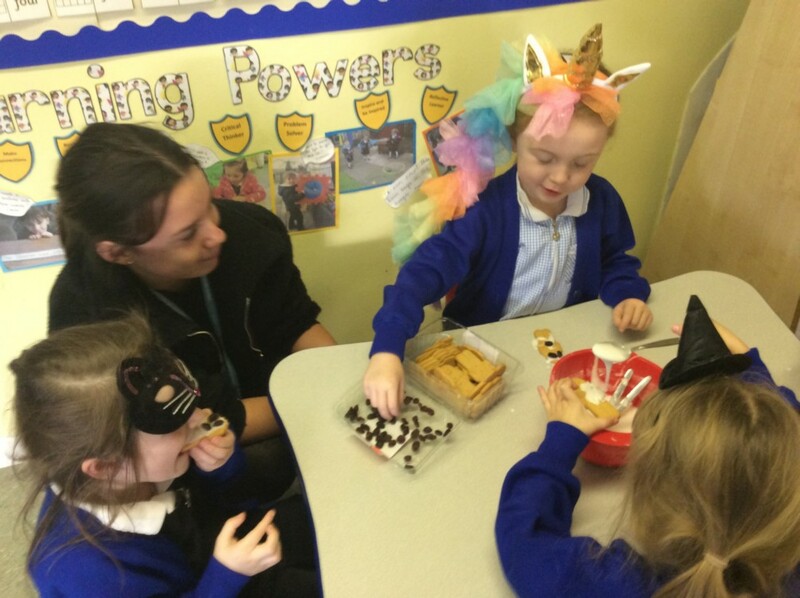 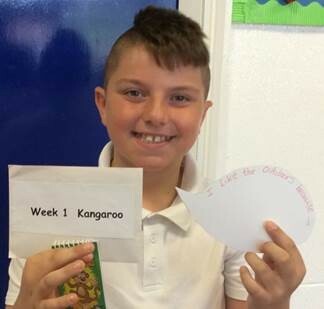 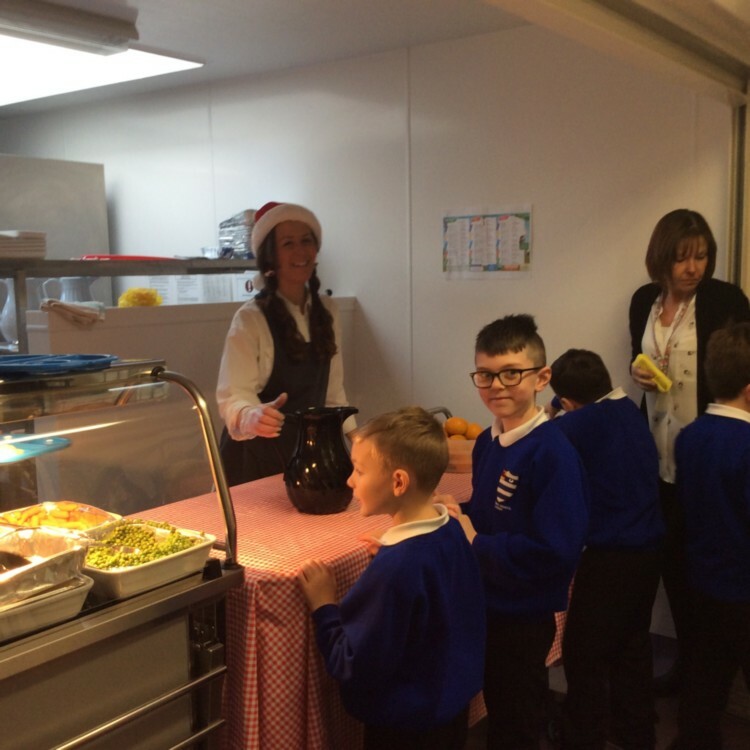 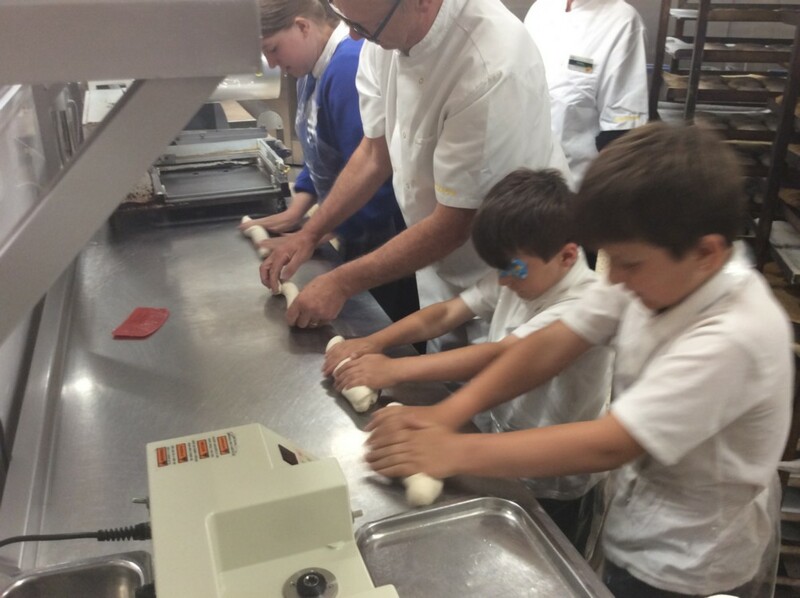 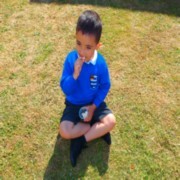 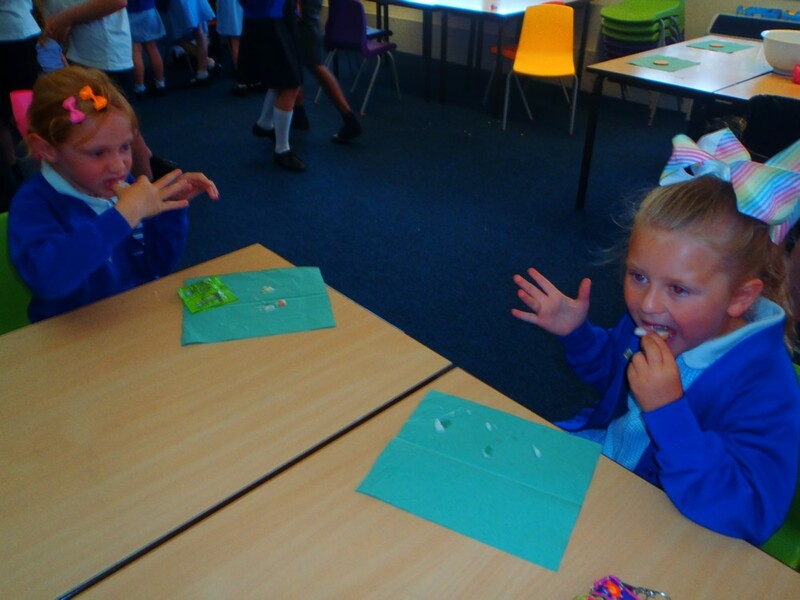 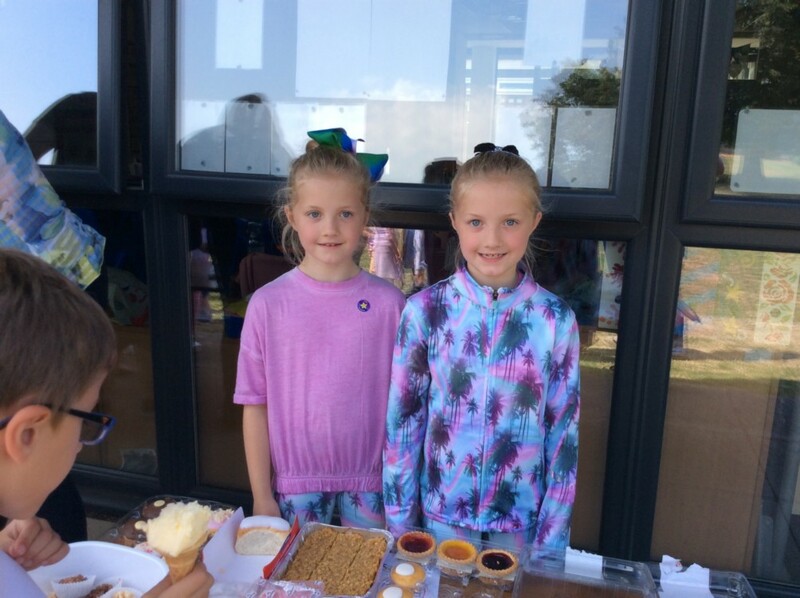 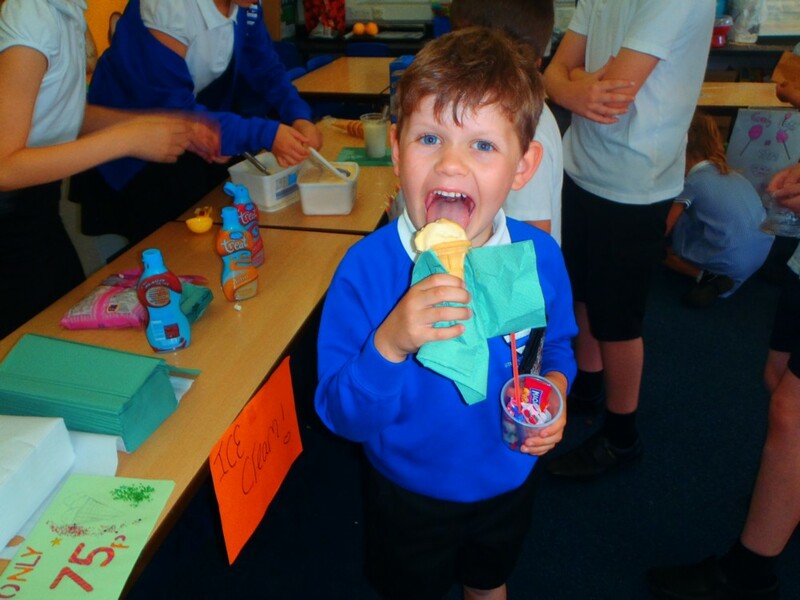 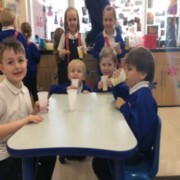 It was a fantastically positive start to the term and our children have enjoyed the food very much!